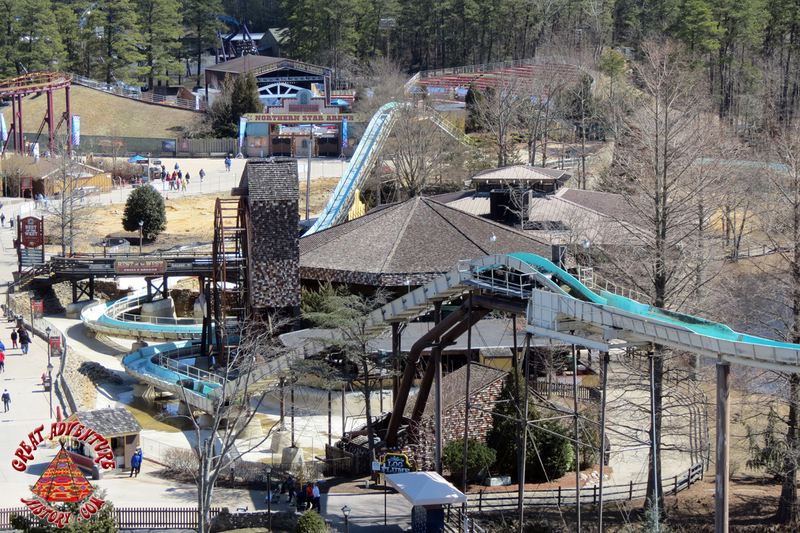 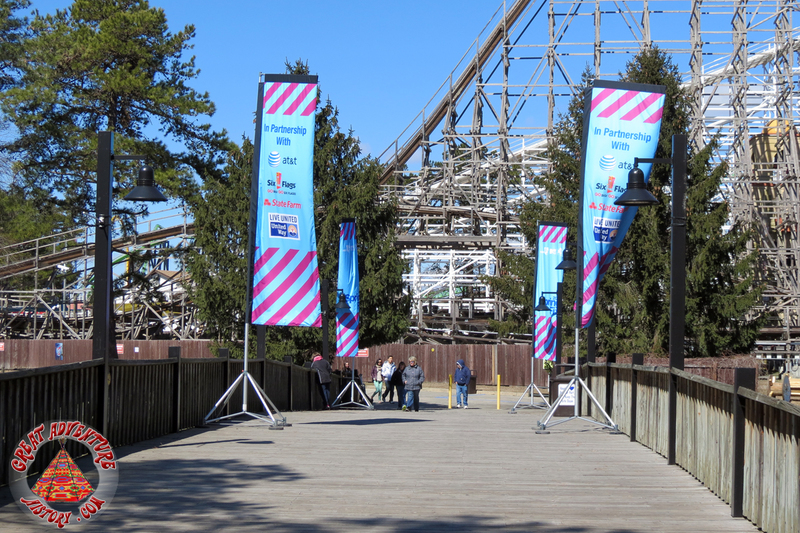 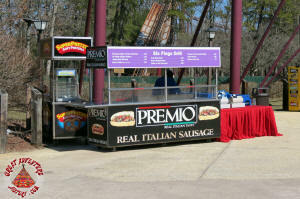 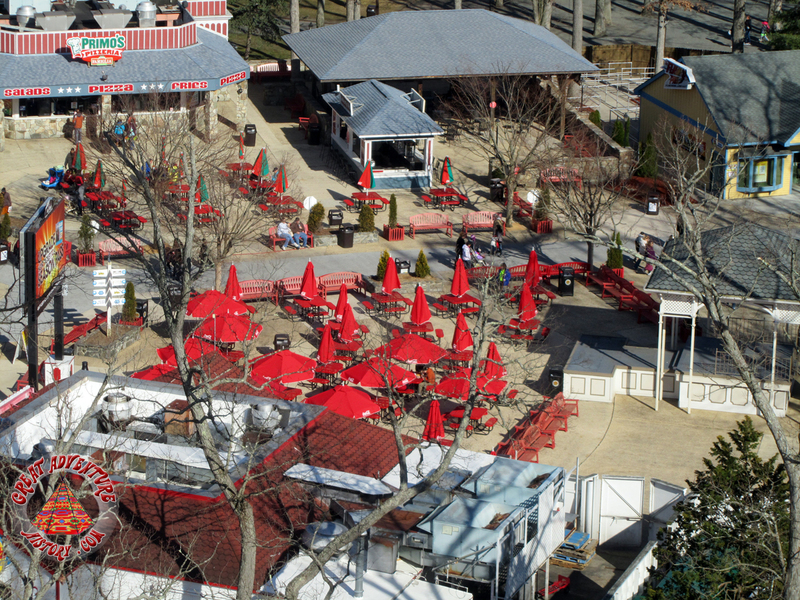 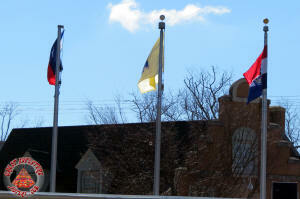 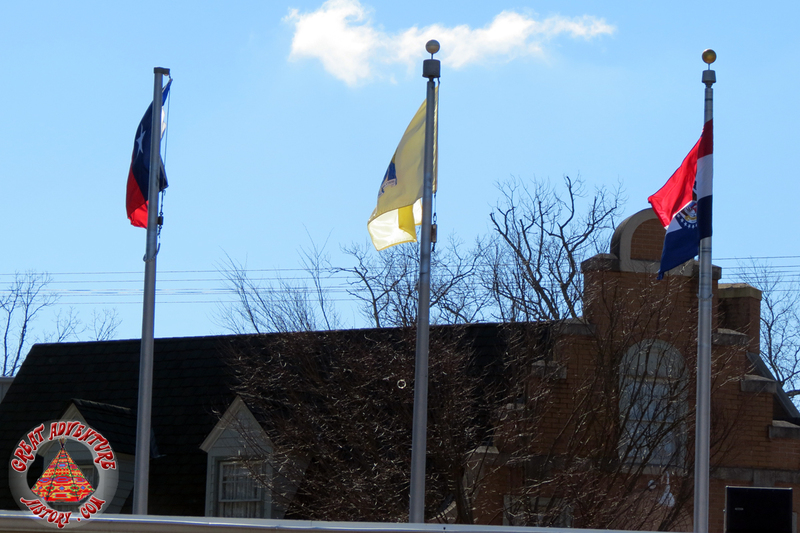 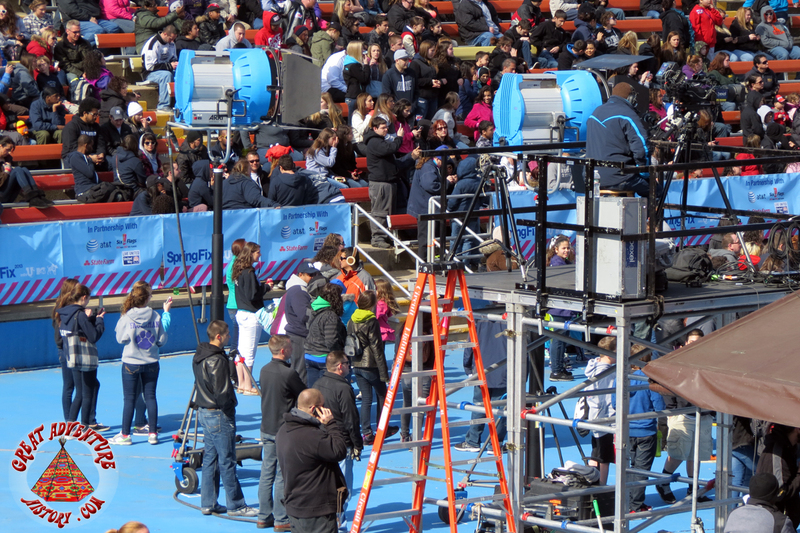 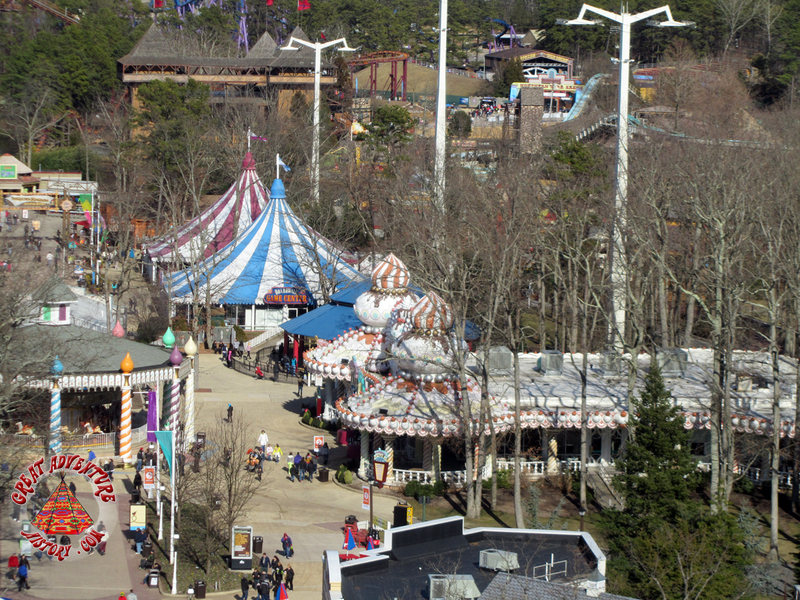 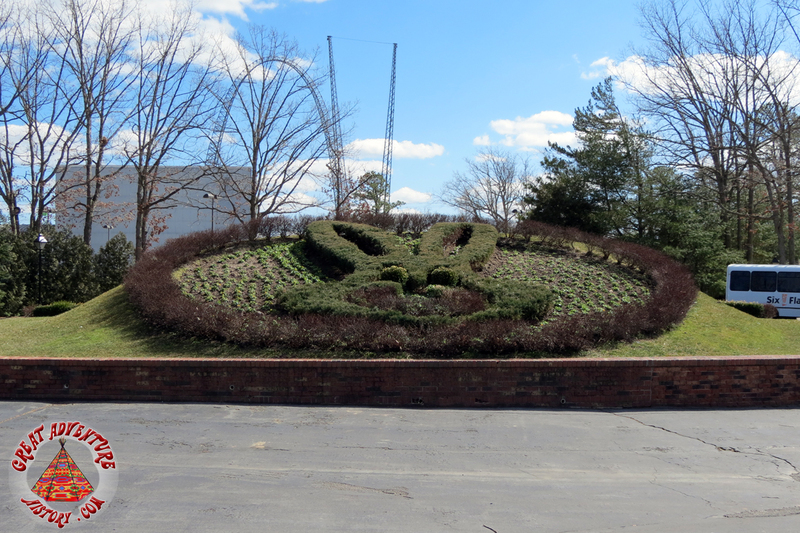 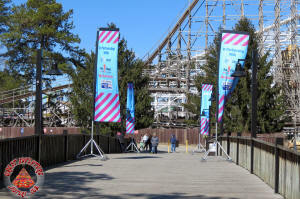 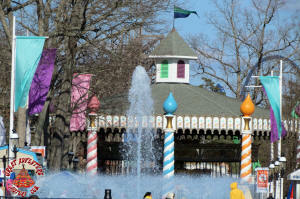 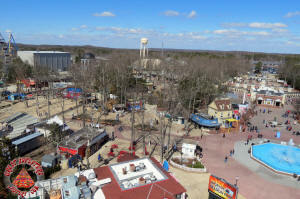 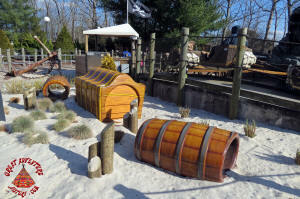 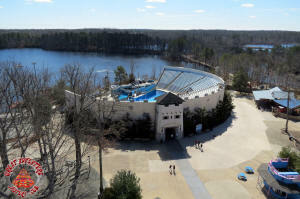 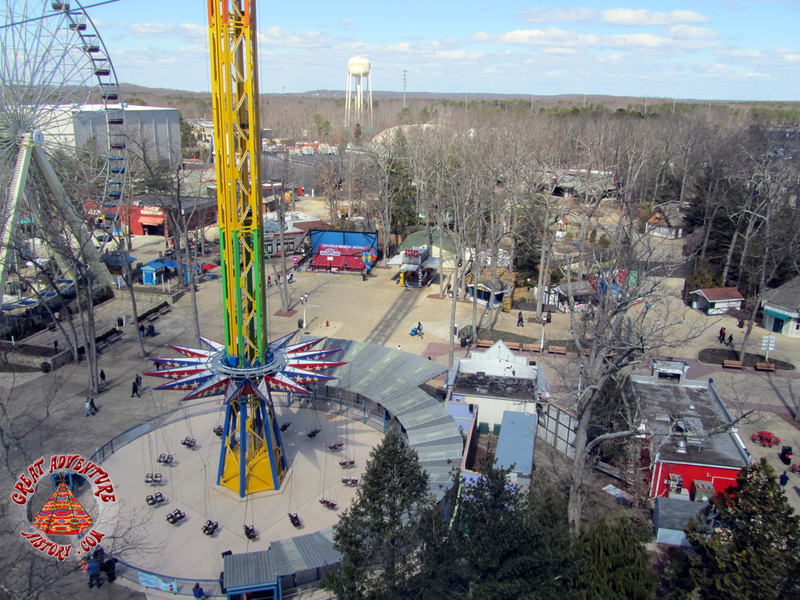 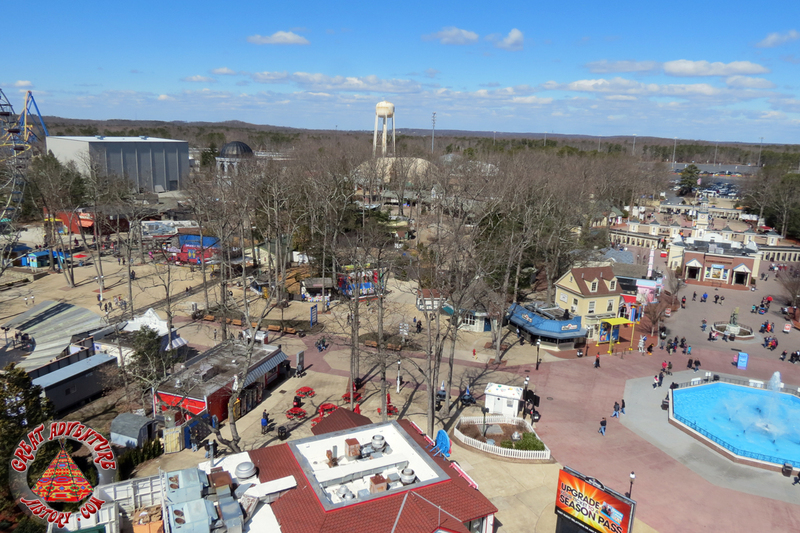 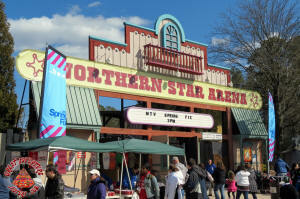 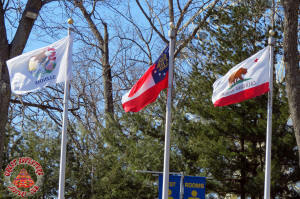 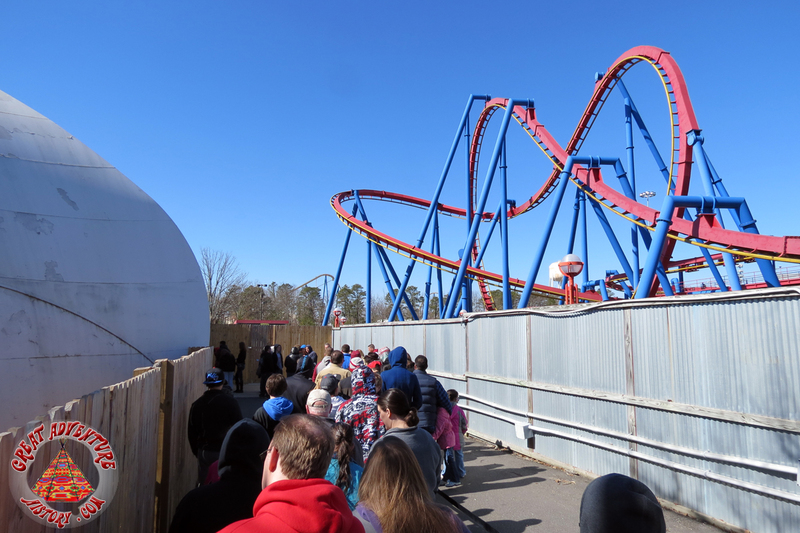 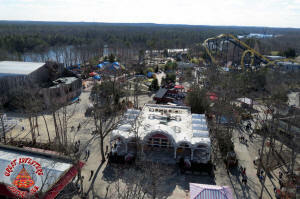 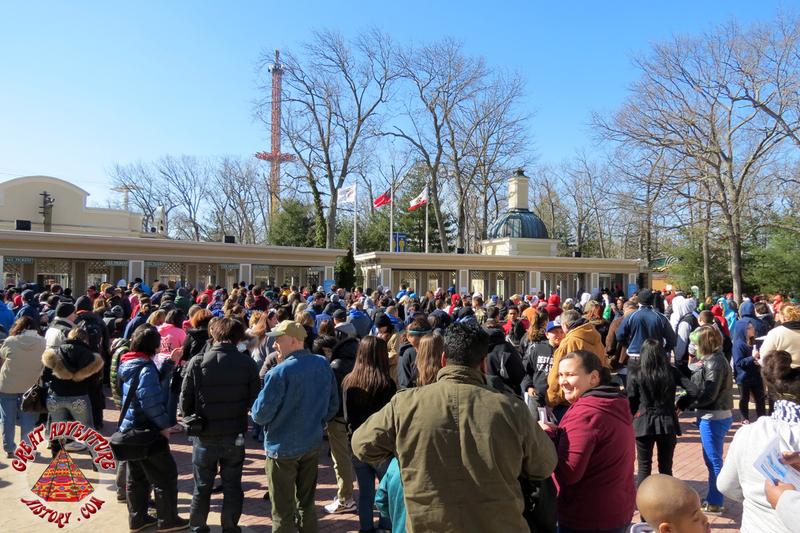 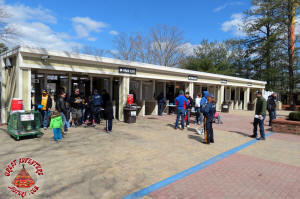 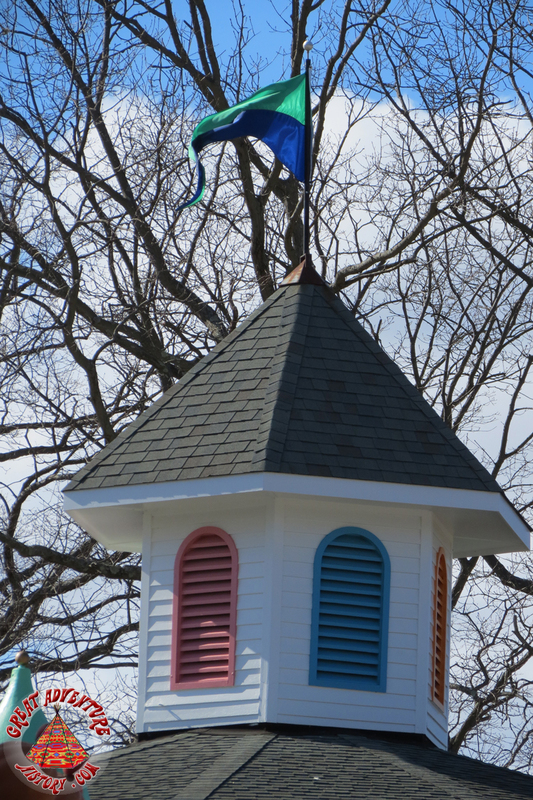 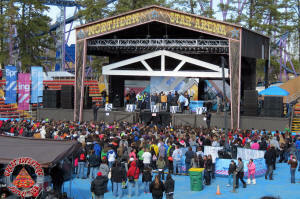 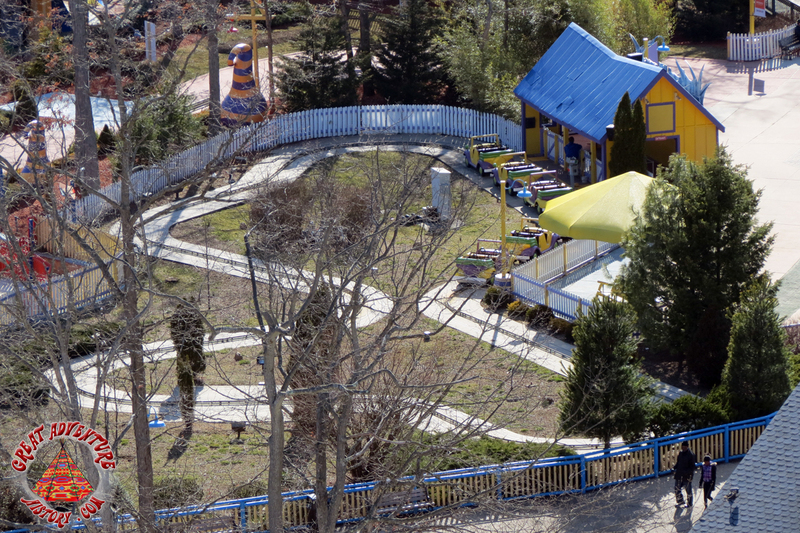 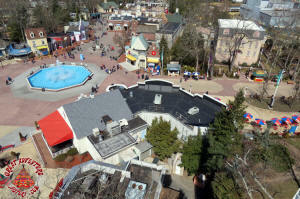 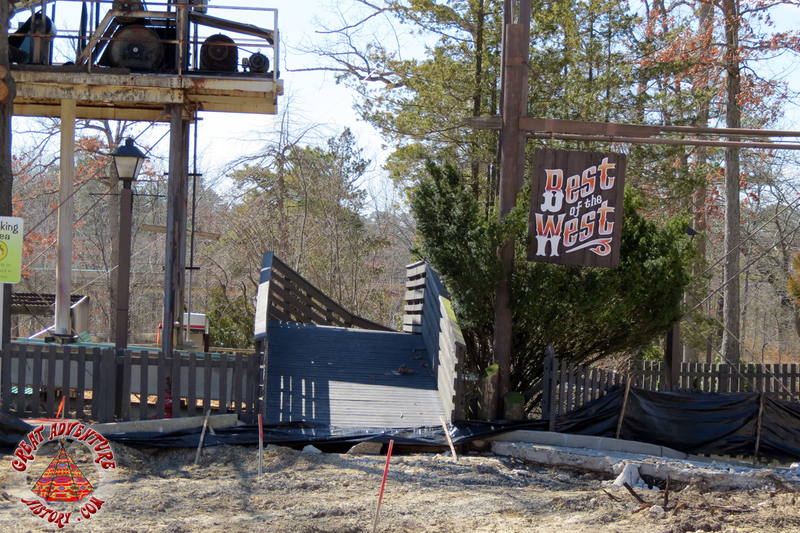 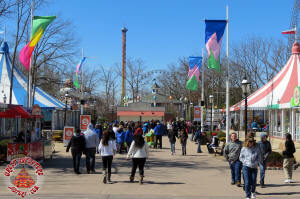 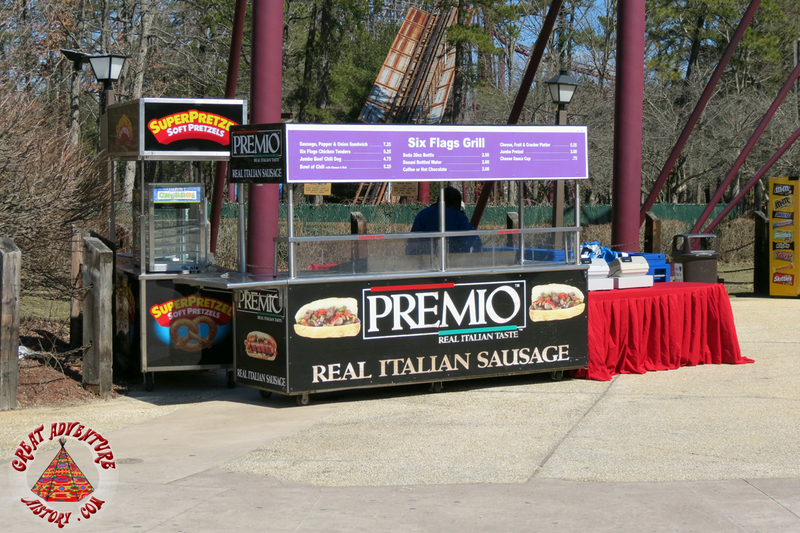 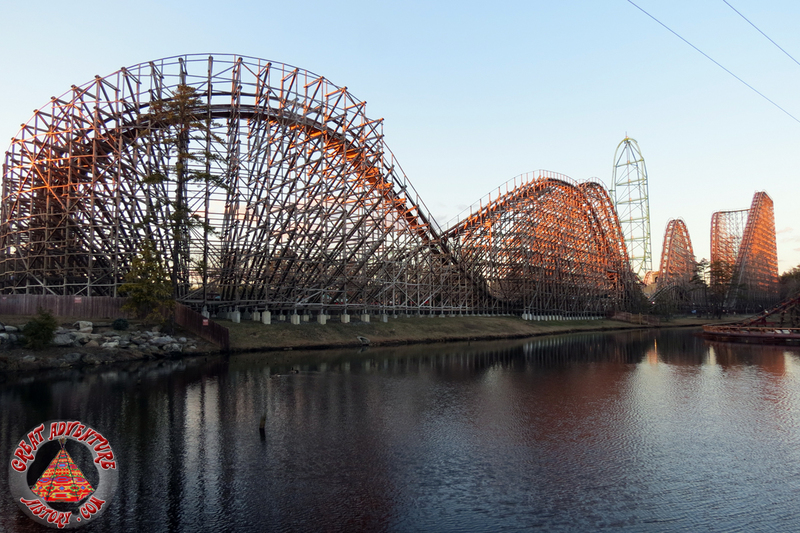 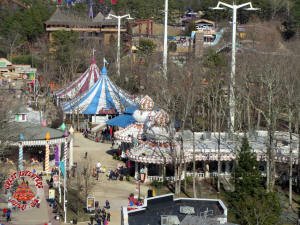 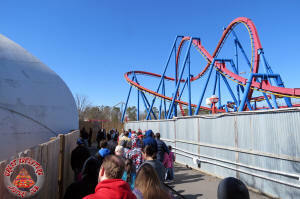 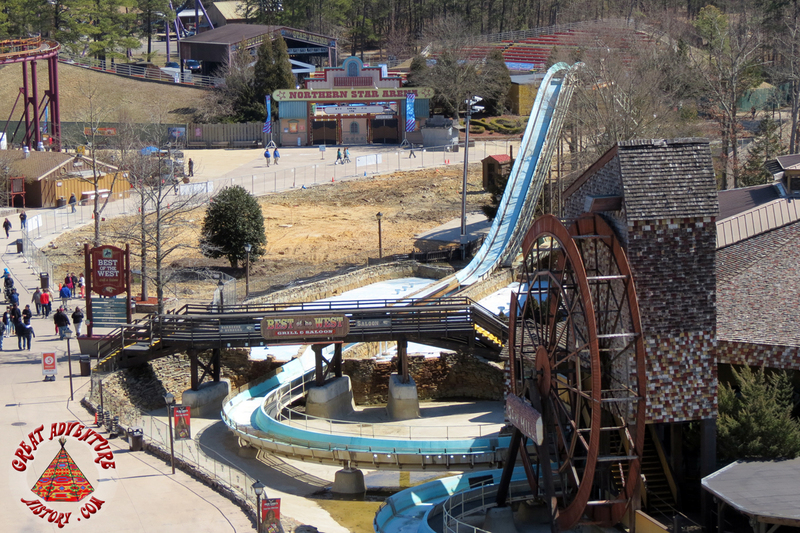 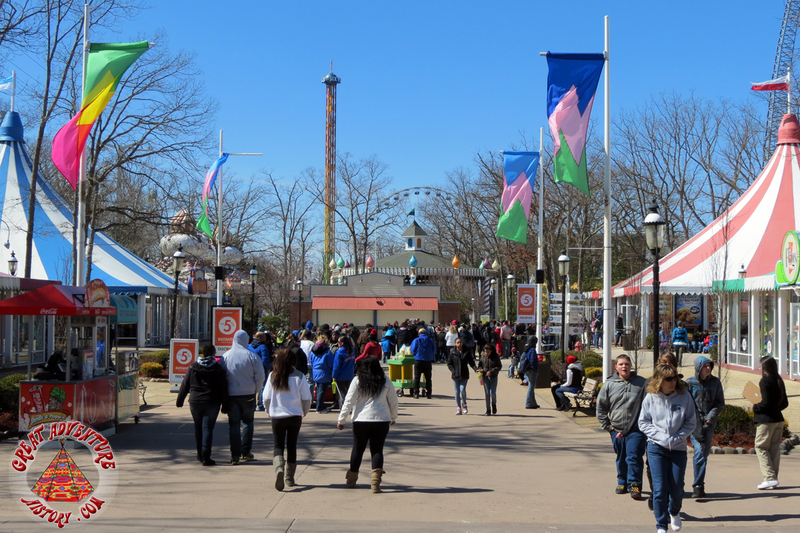 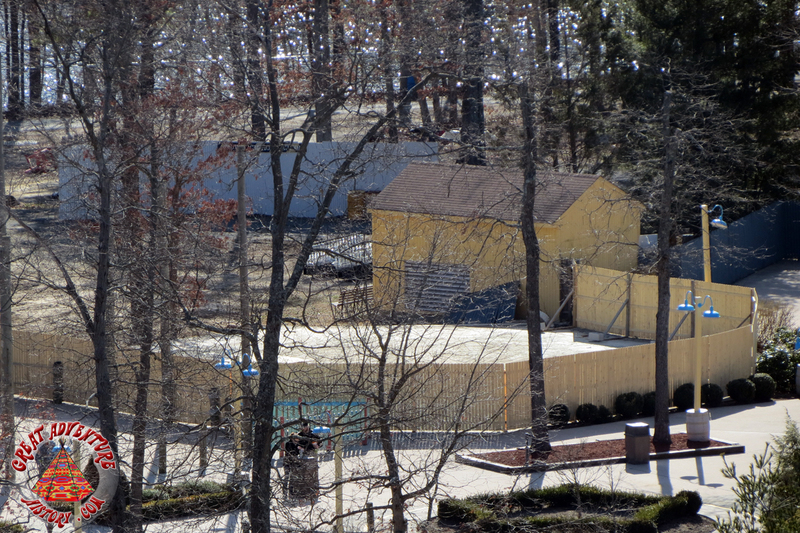 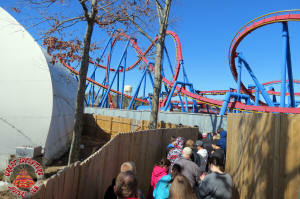 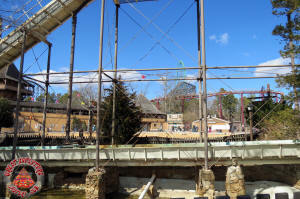 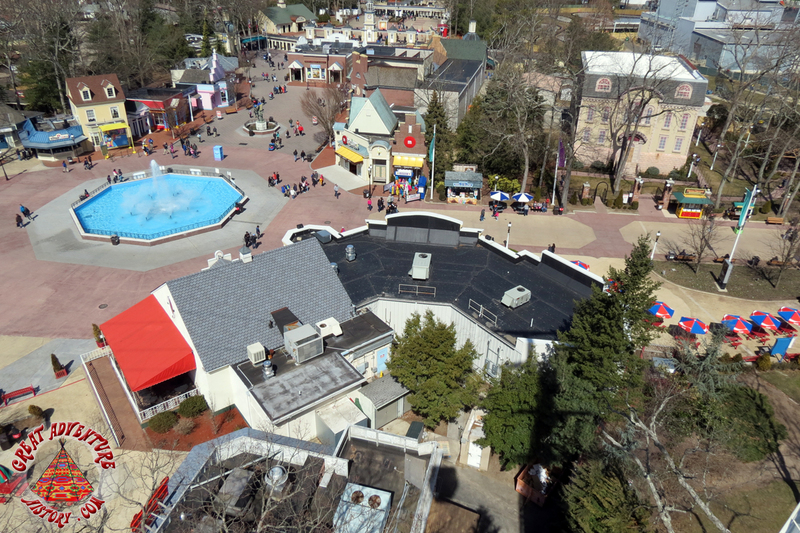 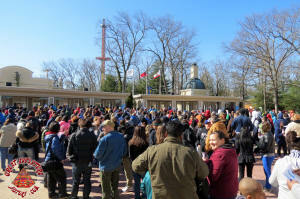 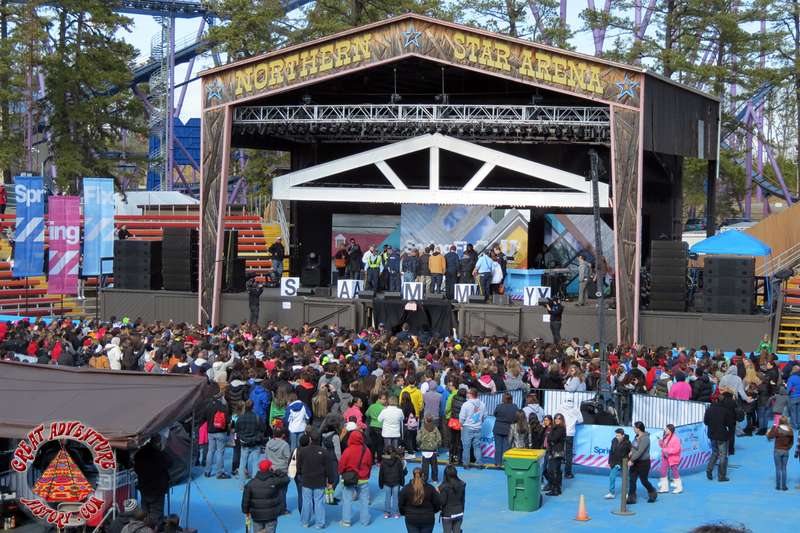 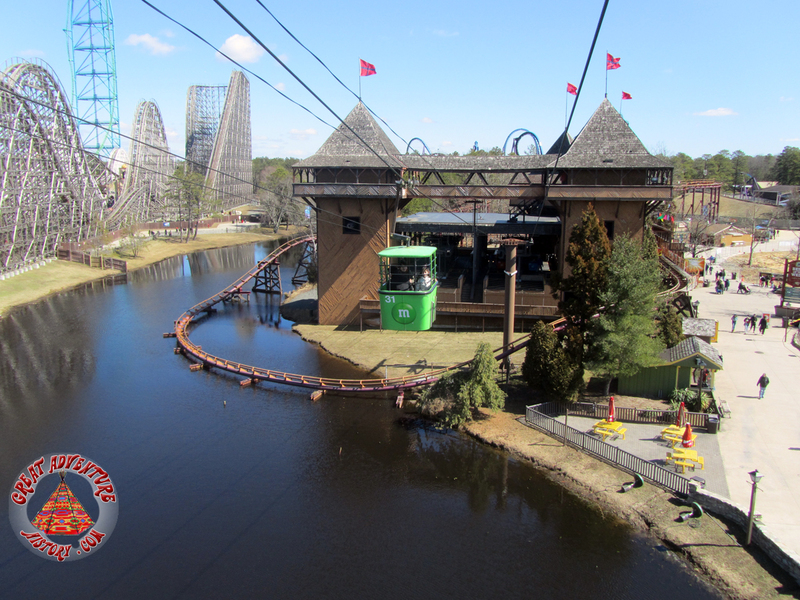 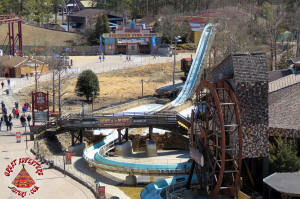 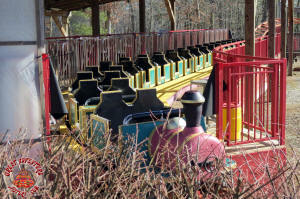 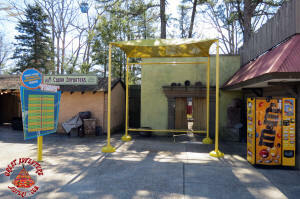 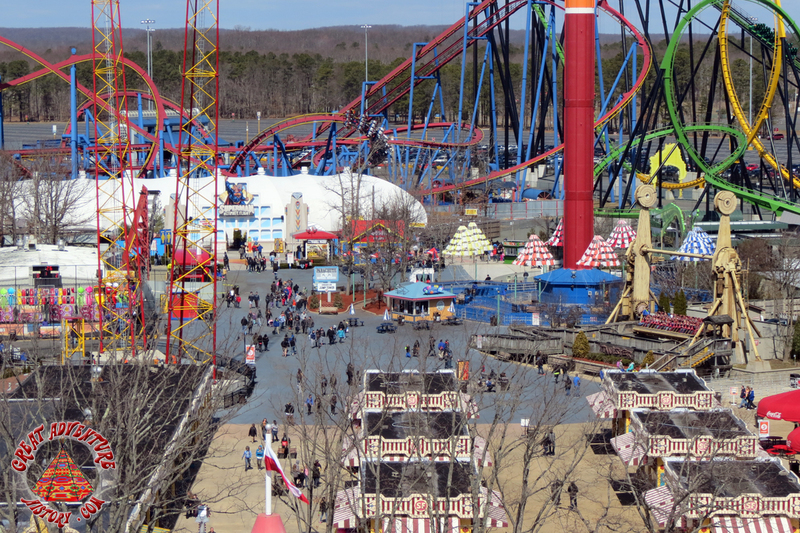 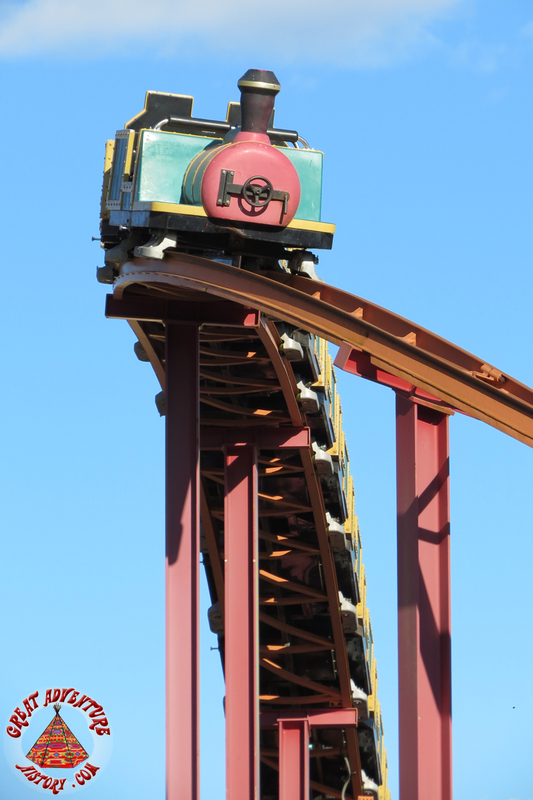 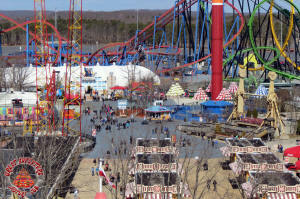 Opening Day 2013 - bright sunshine, cool temps, and a great looking theme park! 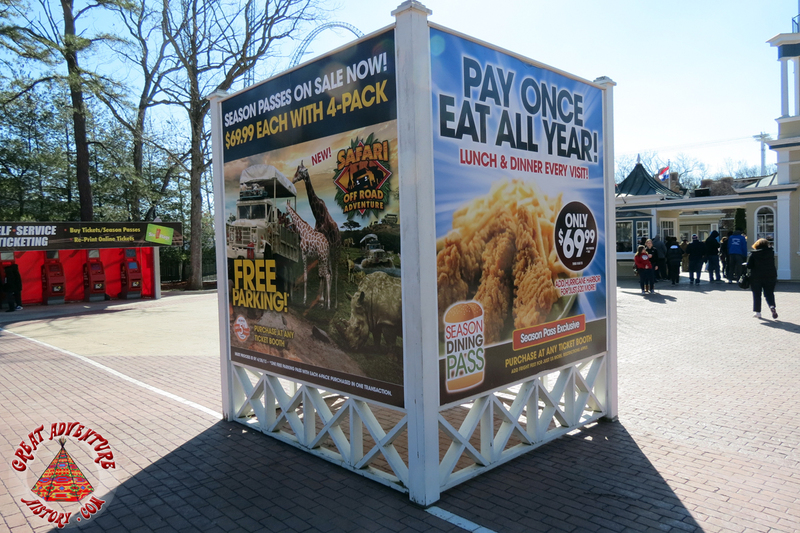 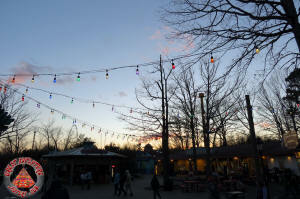 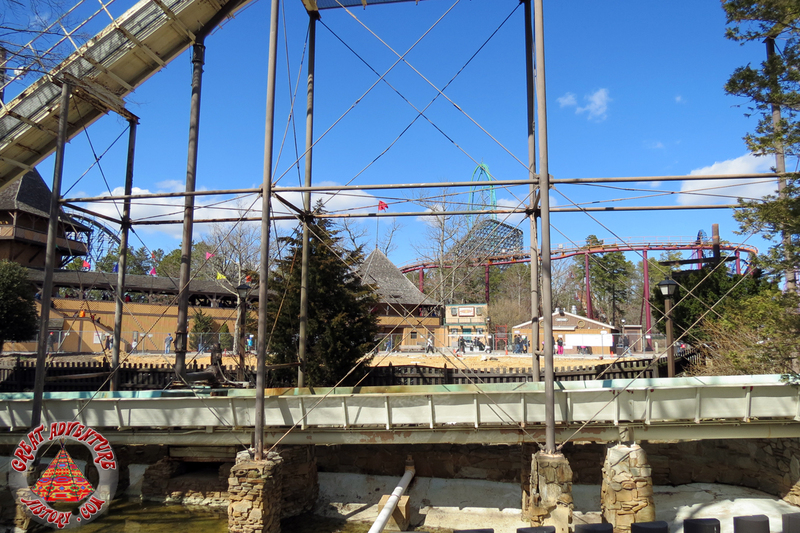 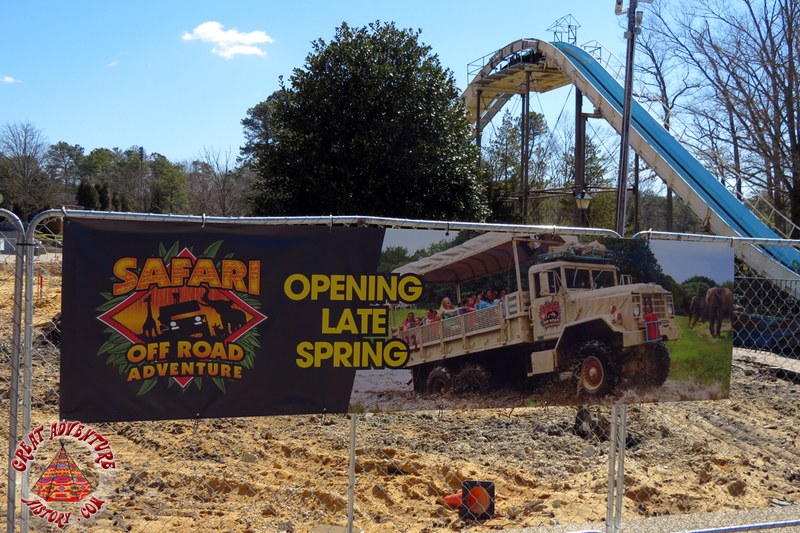 It was kind of odd not stopping off in the Safari first to kick off the new season but the theme park was a welcomed sight for some G.A.-starved eyes after what was a shorter than usual winter season. 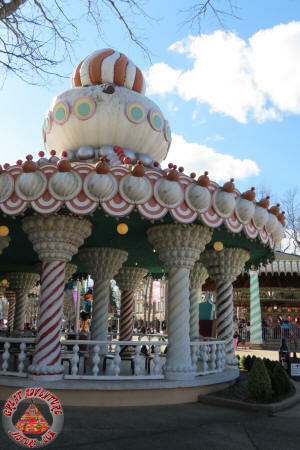 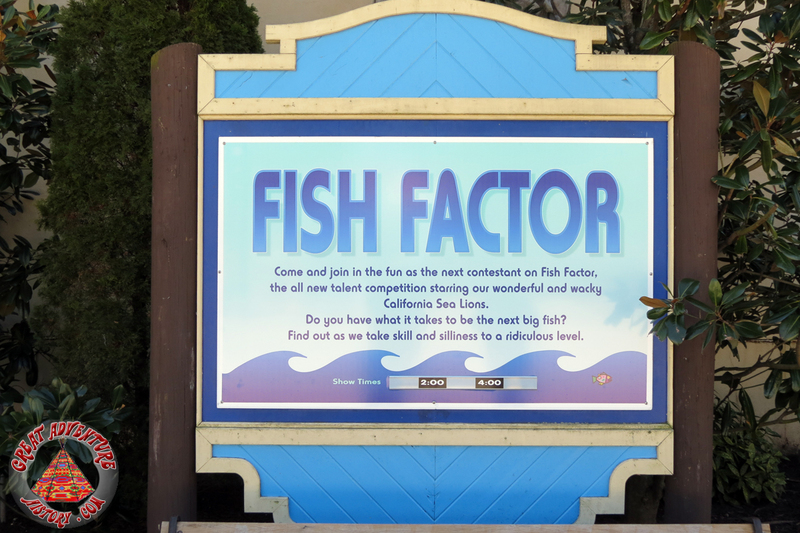 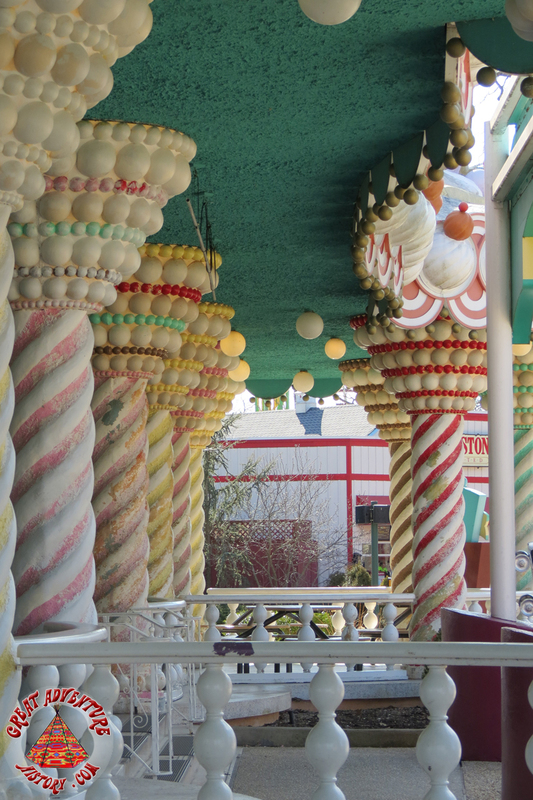 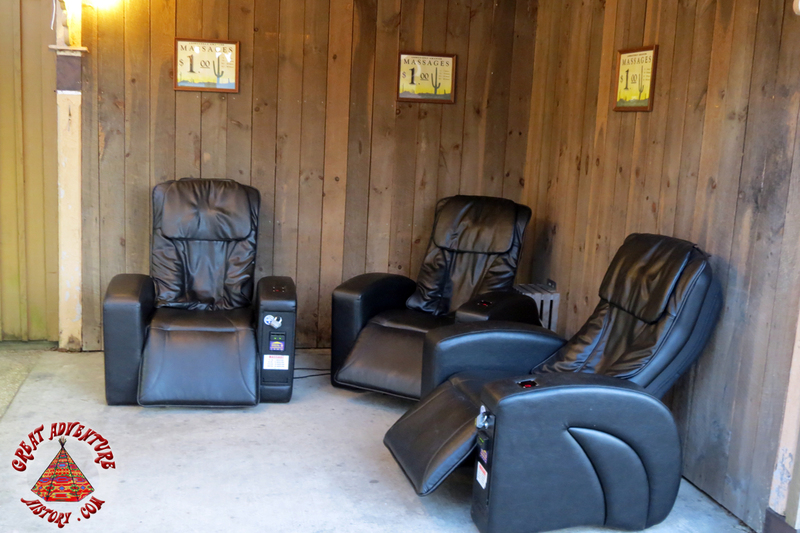 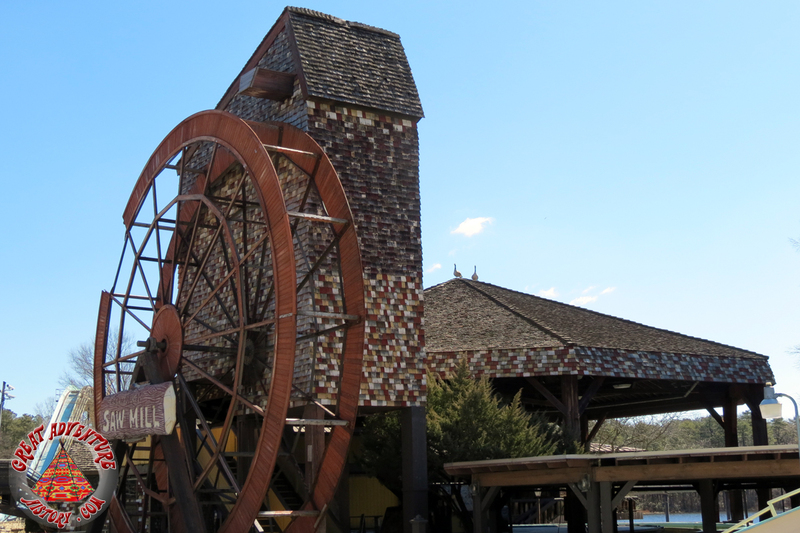 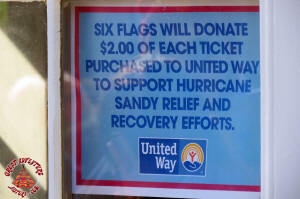 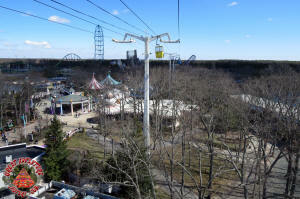 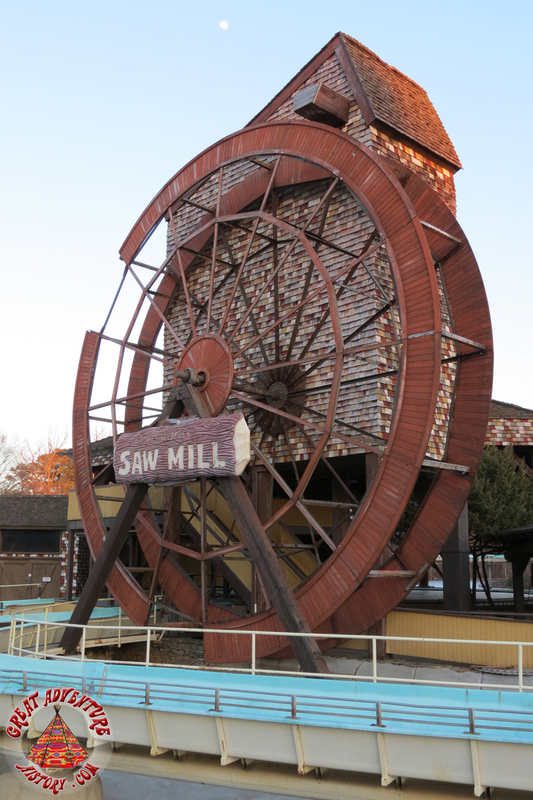 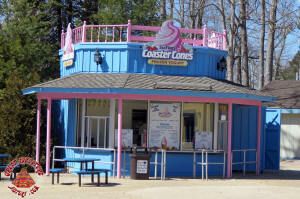 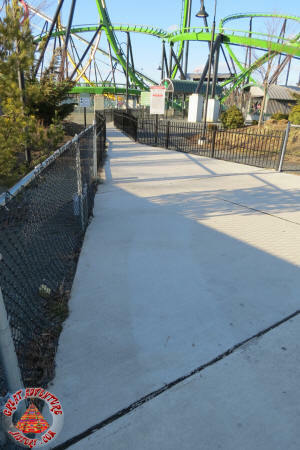 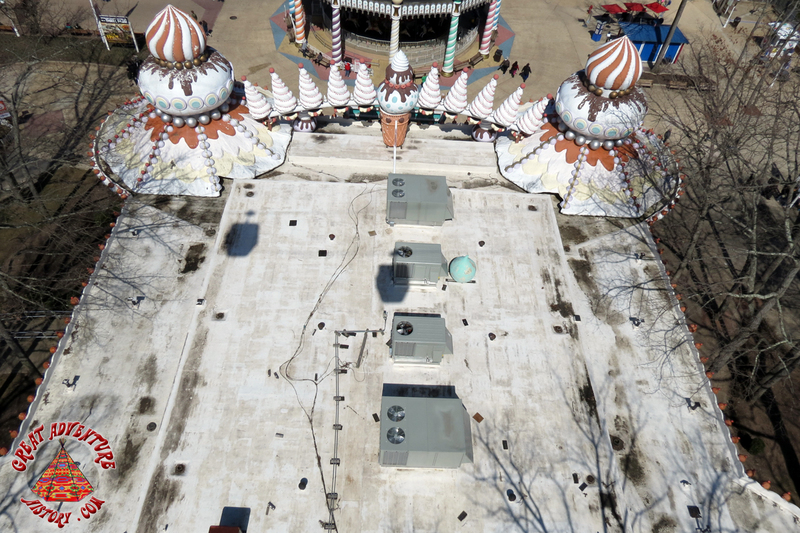 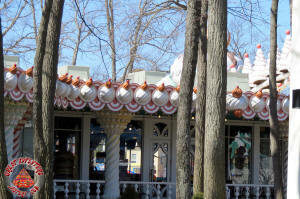 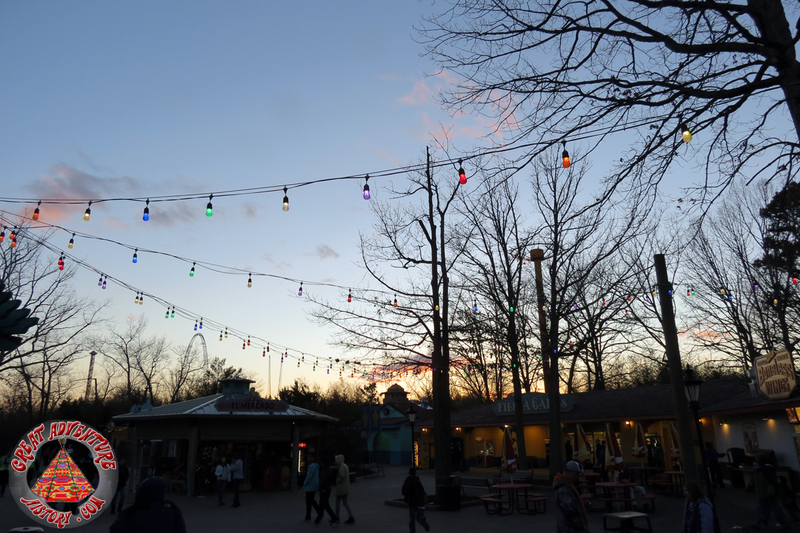 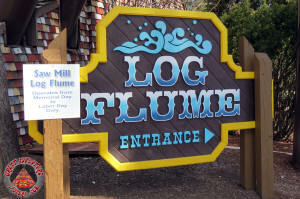 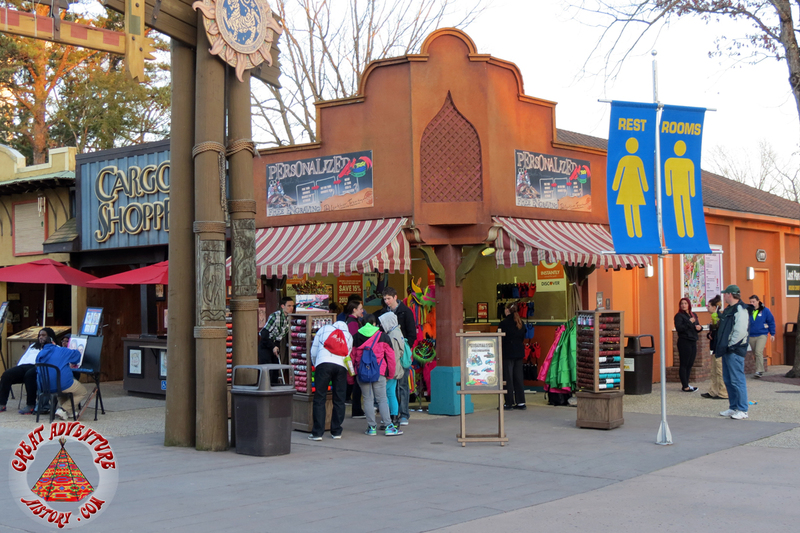 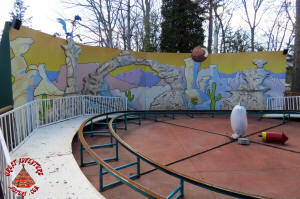 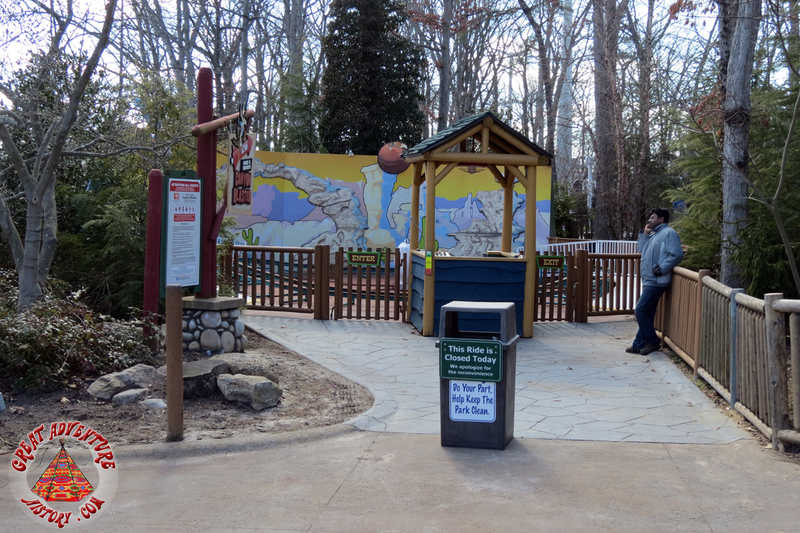 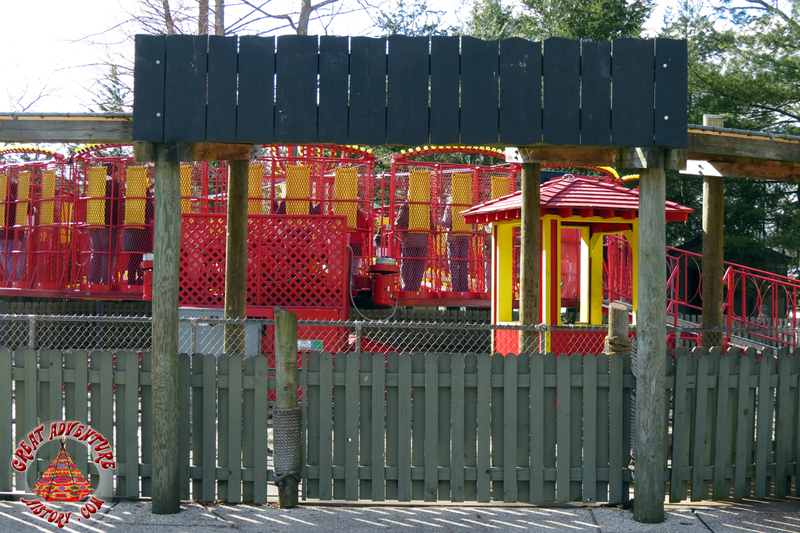 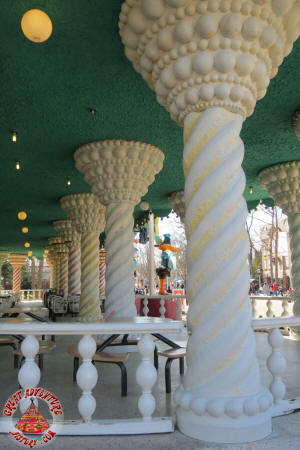 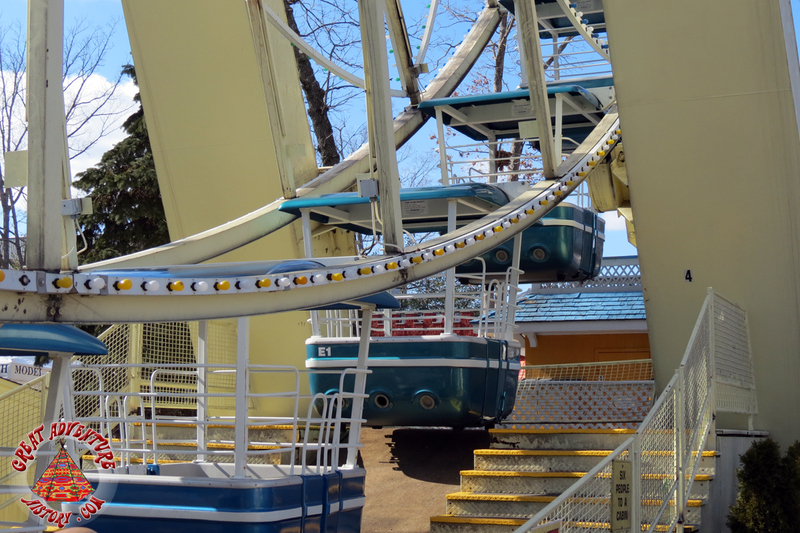 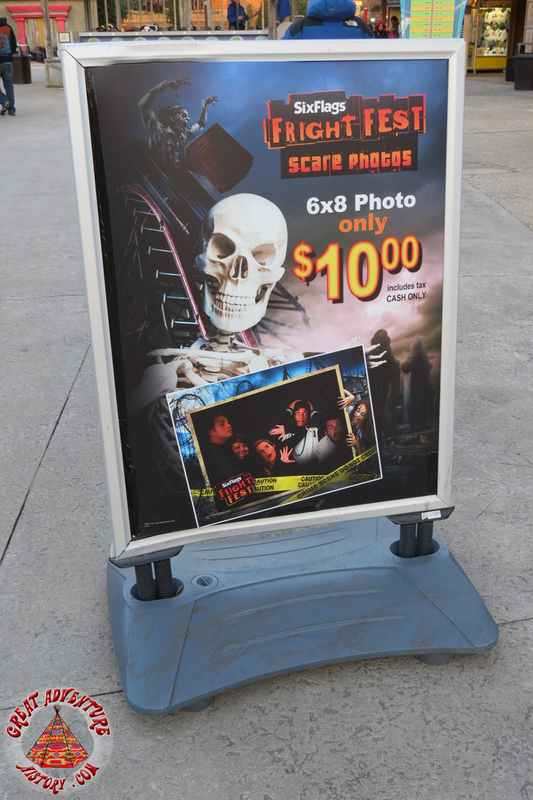 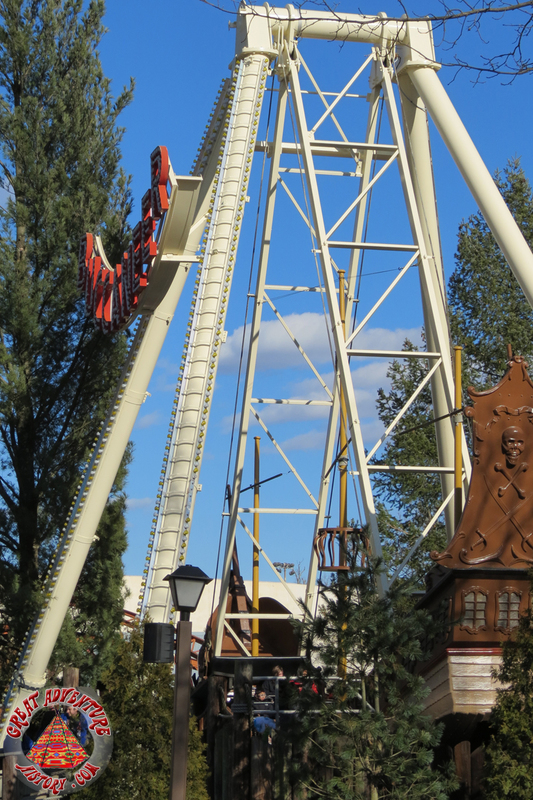 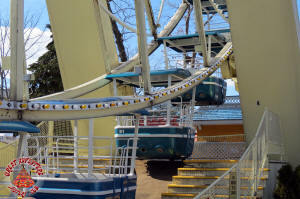 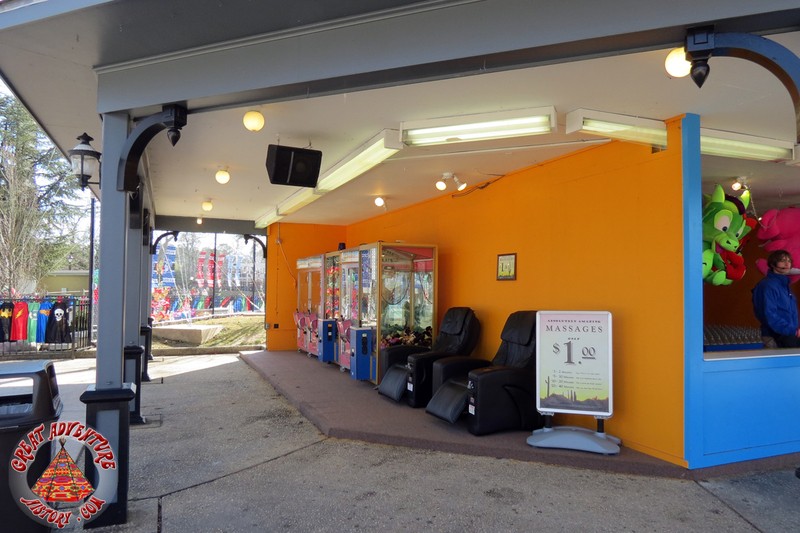 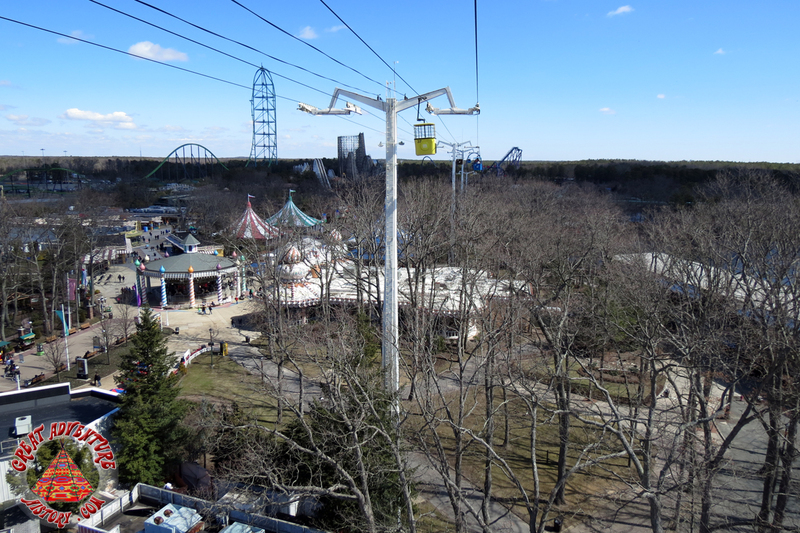 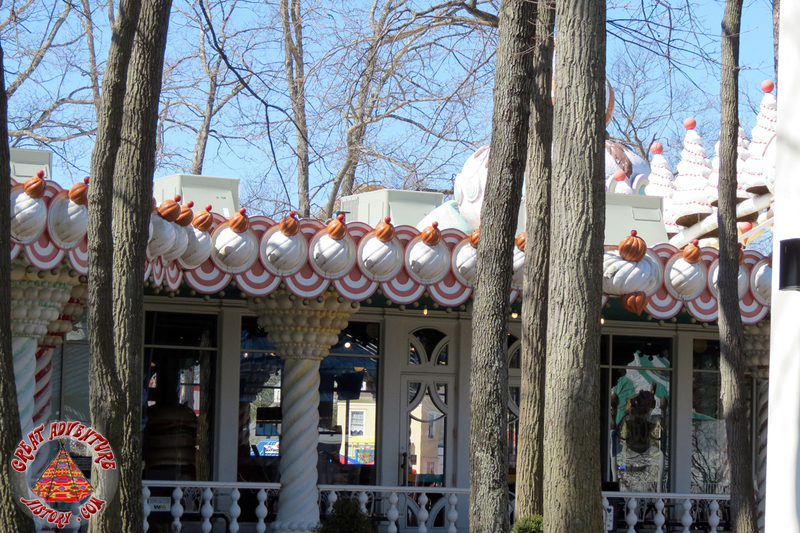 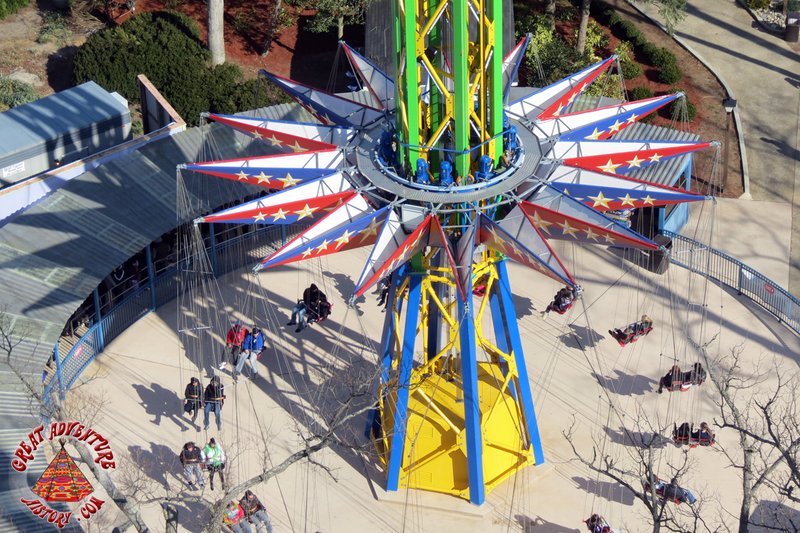 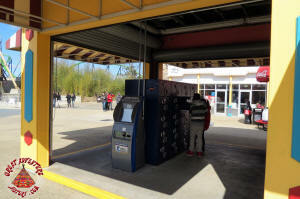 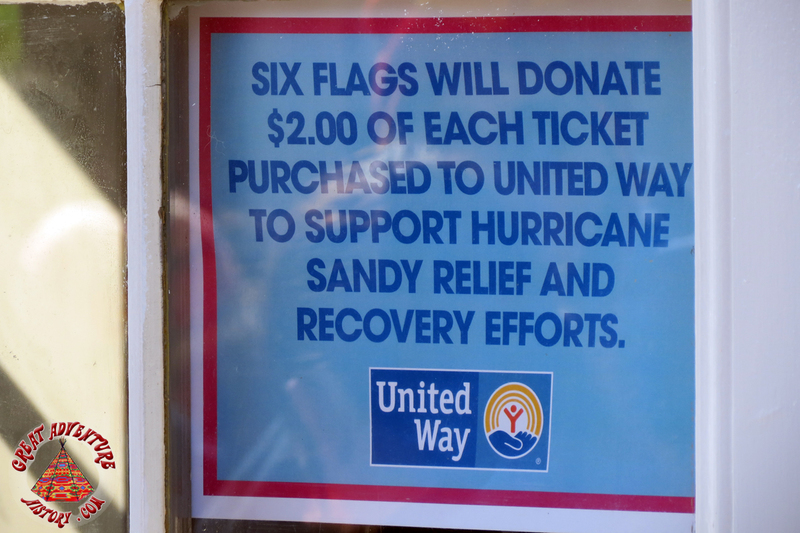 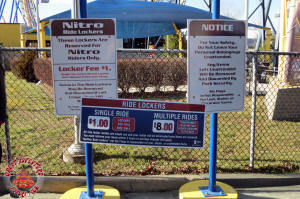 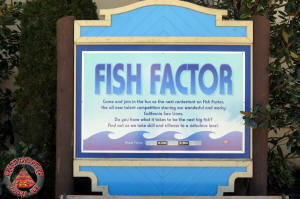 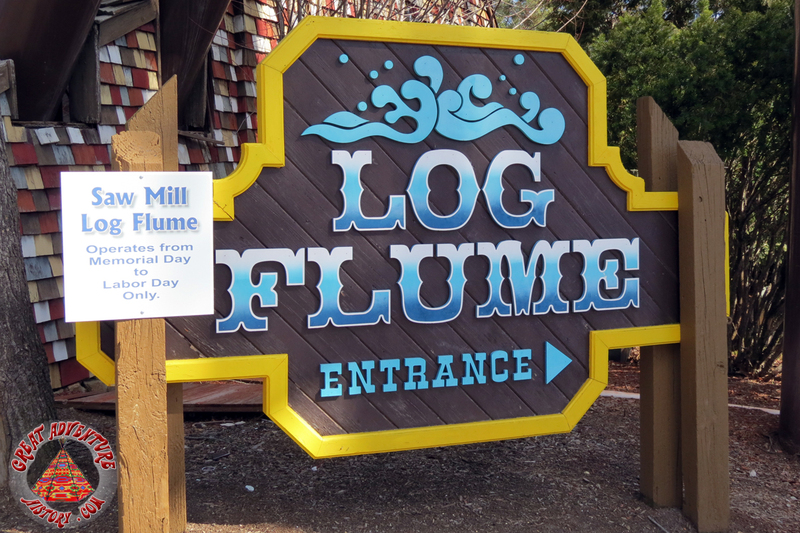 The park was sparkling clean, the staff was really friendly, and the rides were humming (once they warmed up!). 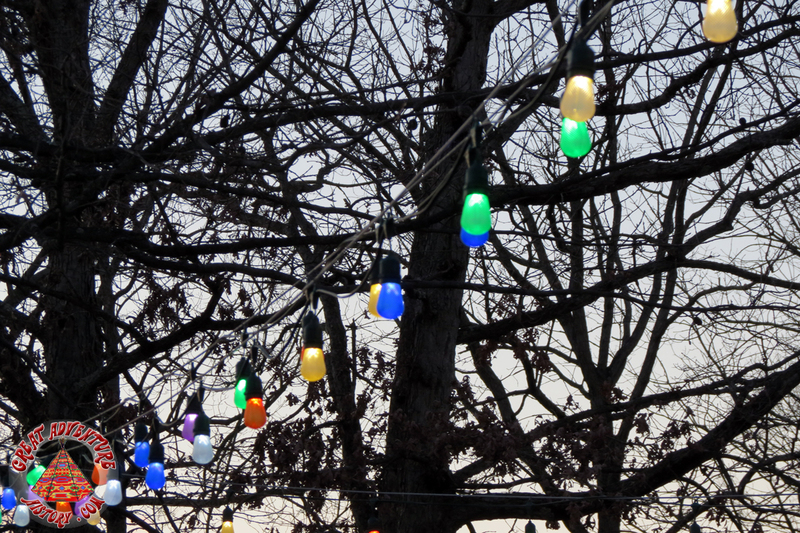 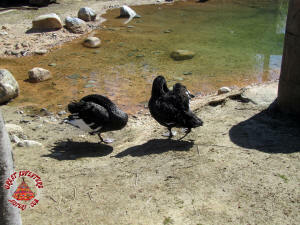 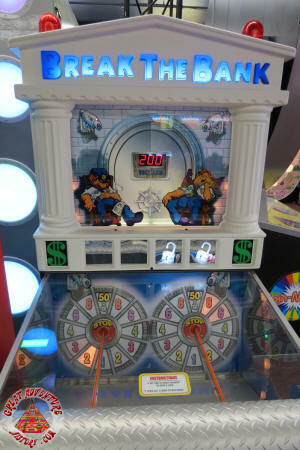 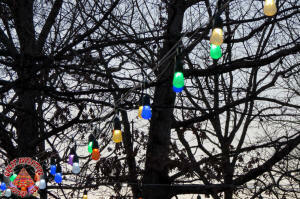 Here are some photos of a wonderful day at the park. 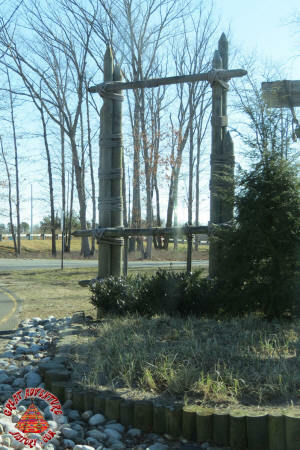 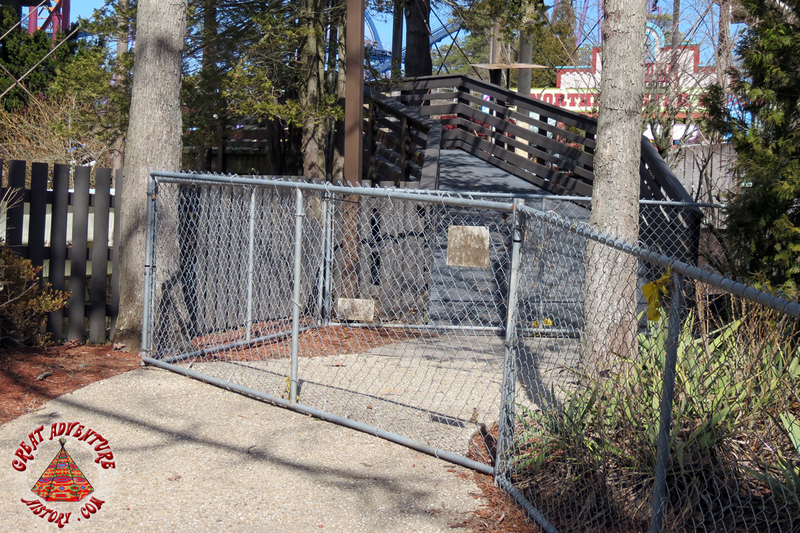 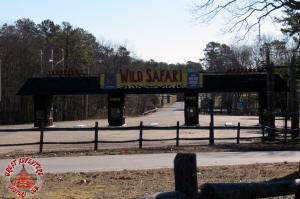 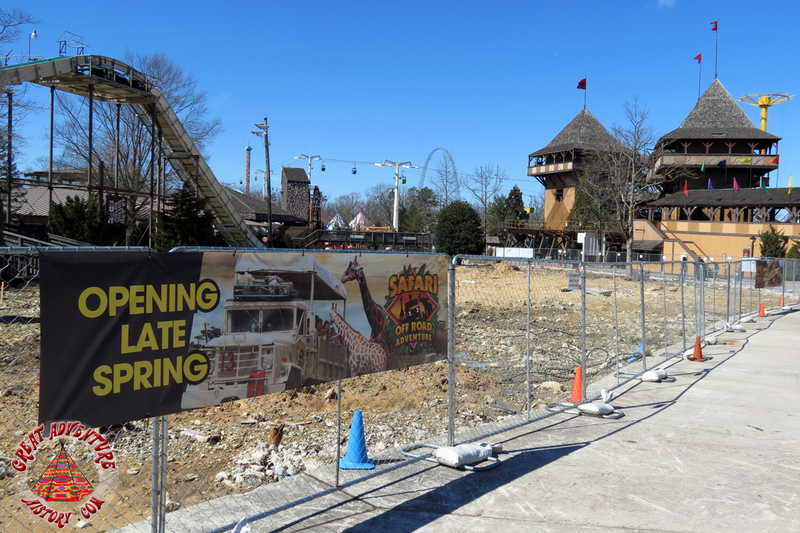 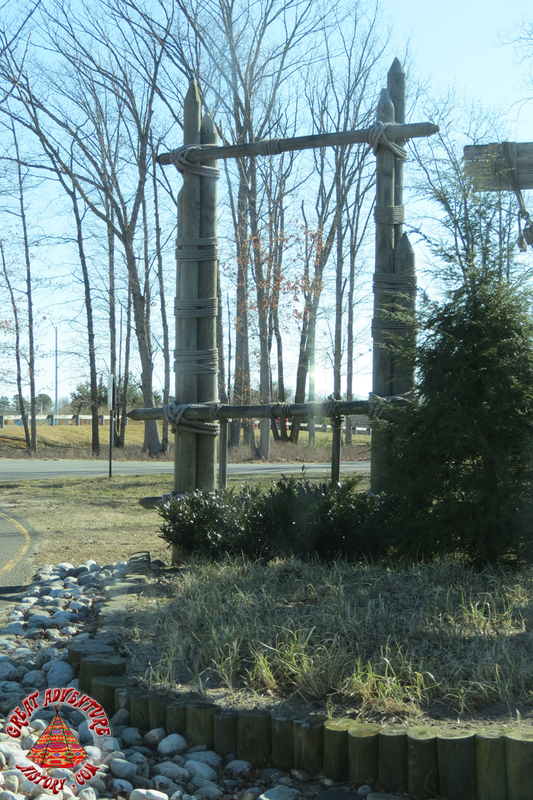 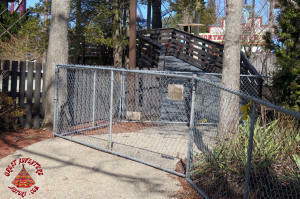 The Safari entrance still stands. 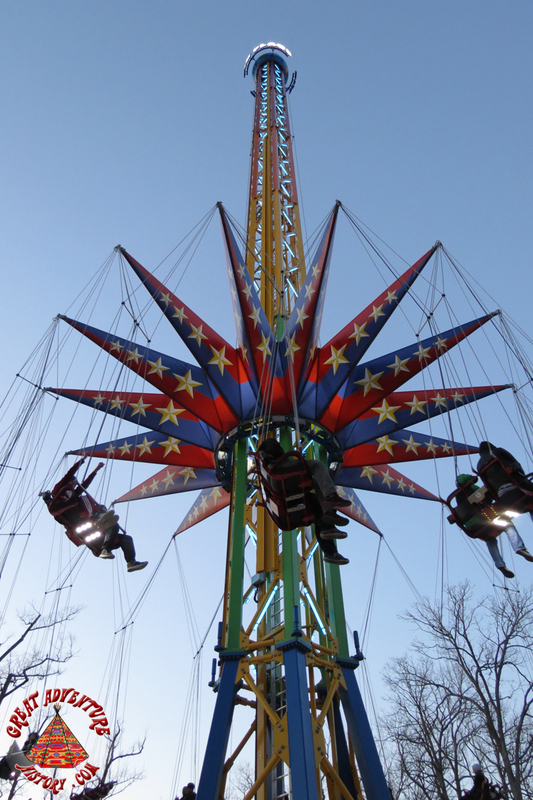 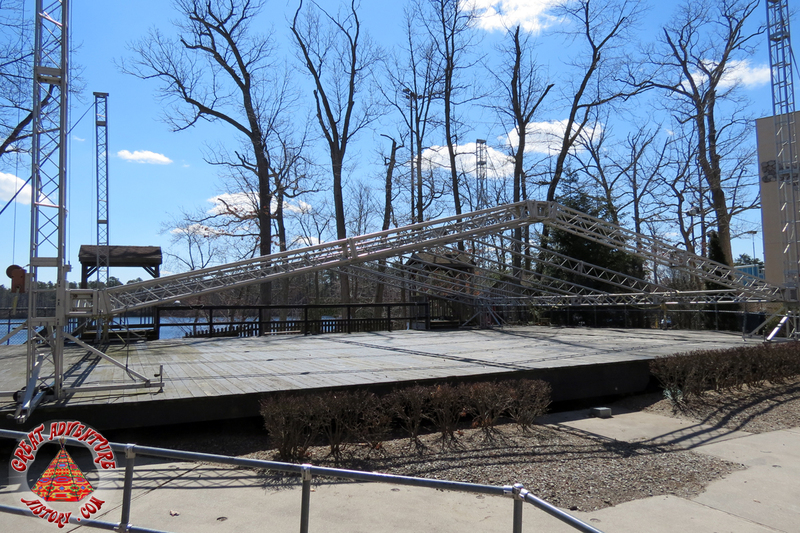 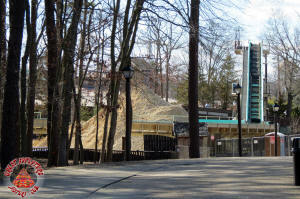 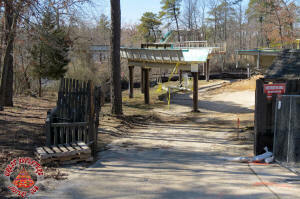 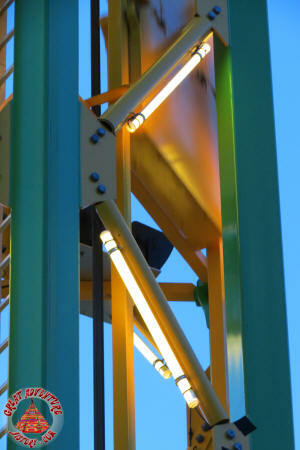 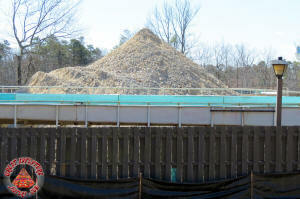 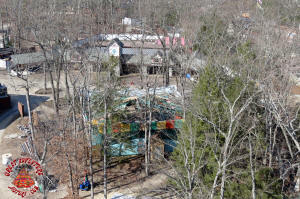 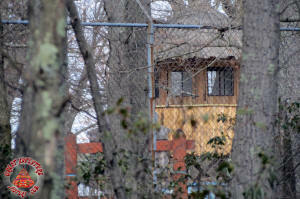 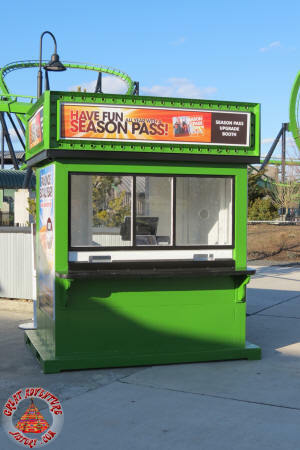 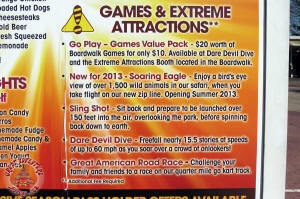 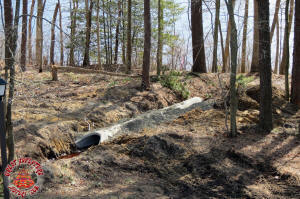 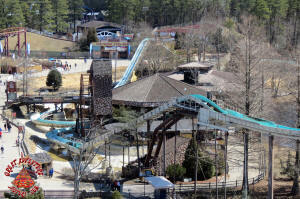 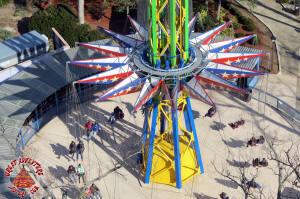 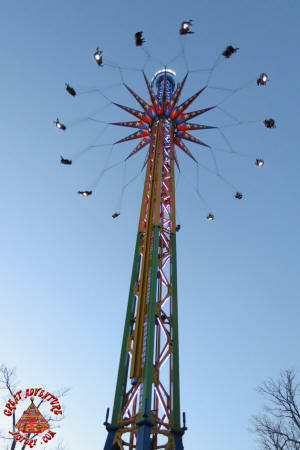 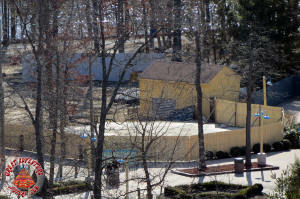 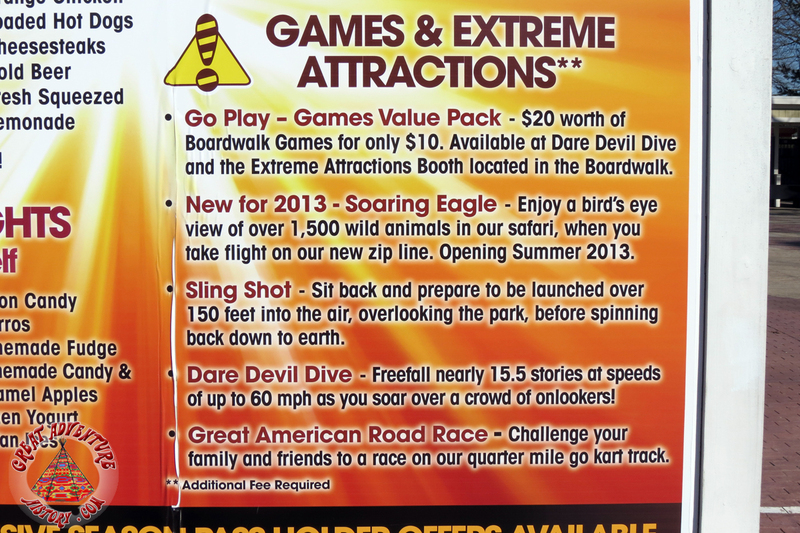 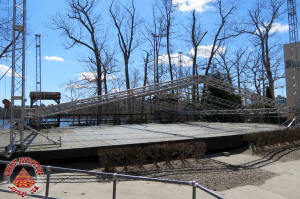 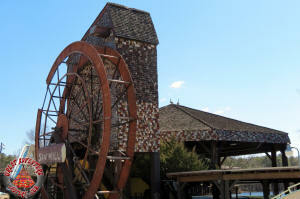 Soaring Eagle - another new ride for 2013! 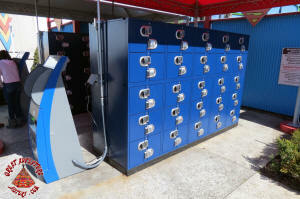 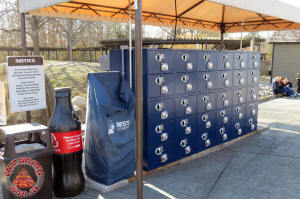 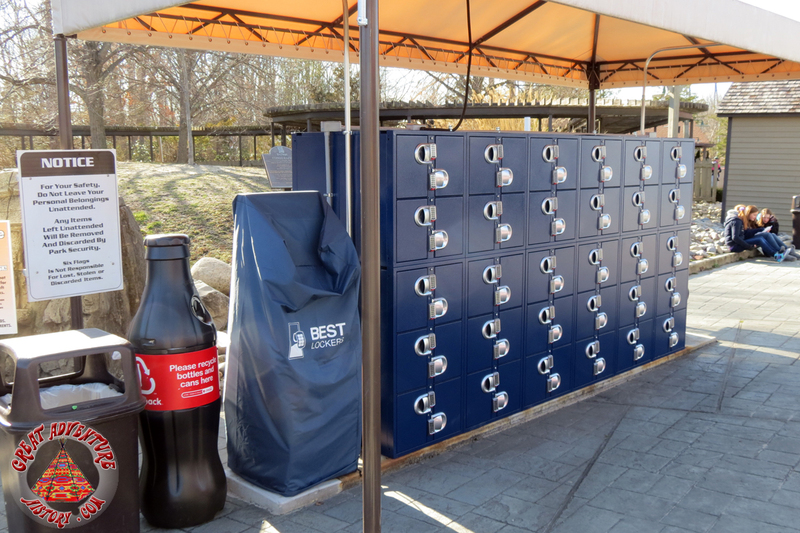 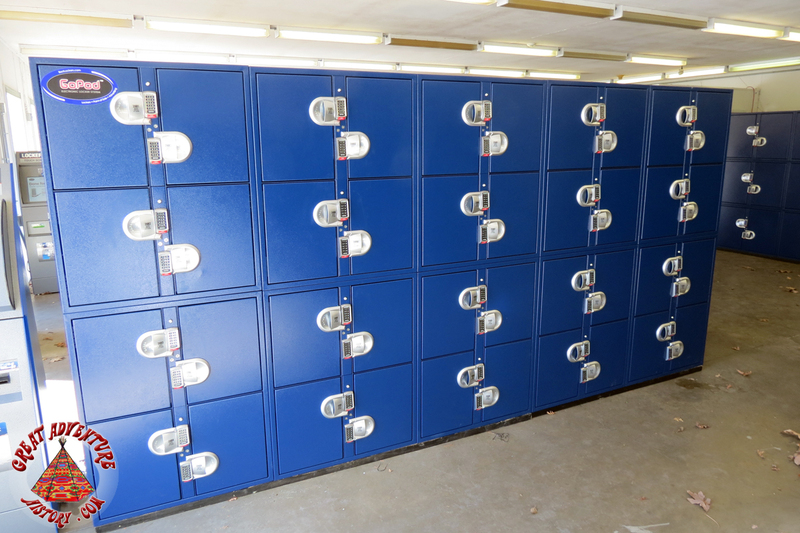 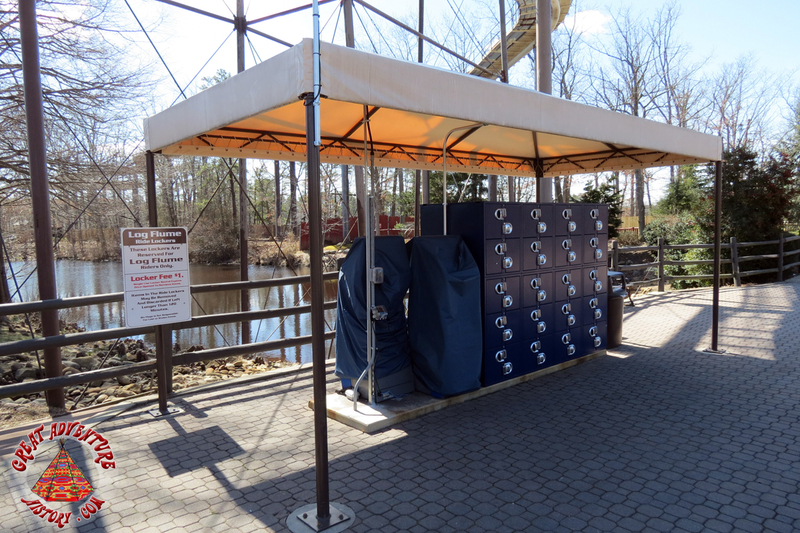 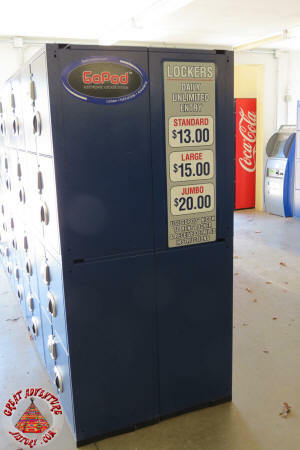 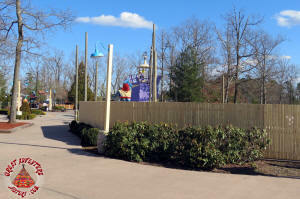 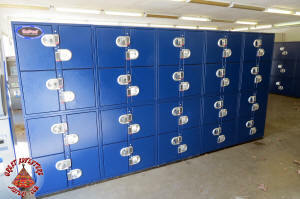 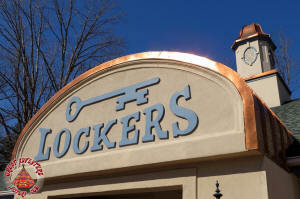 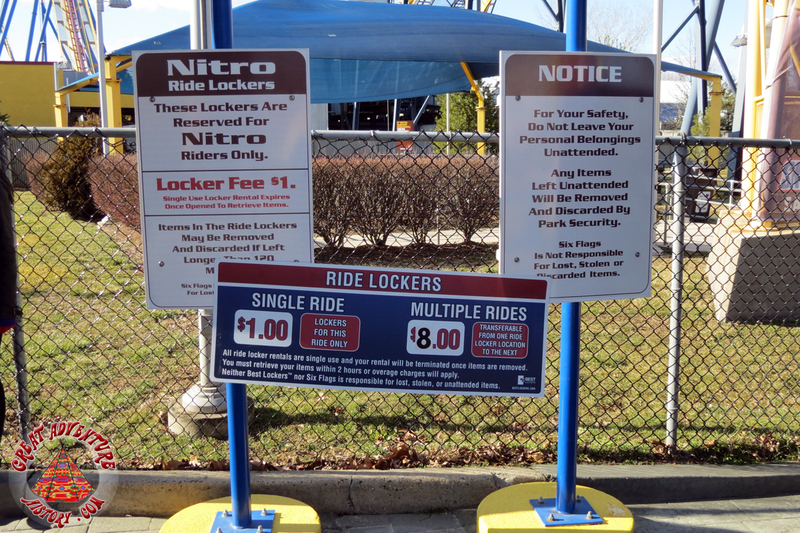 New lockers can be found around the park. 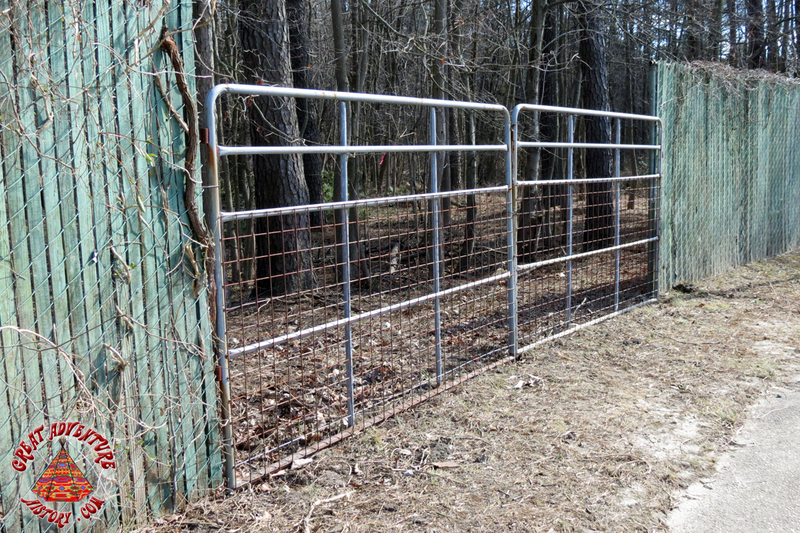 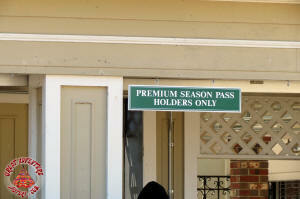 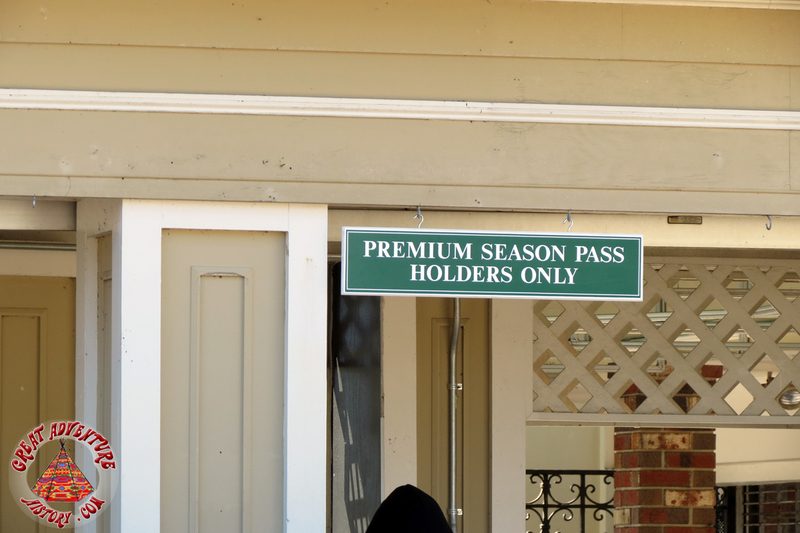 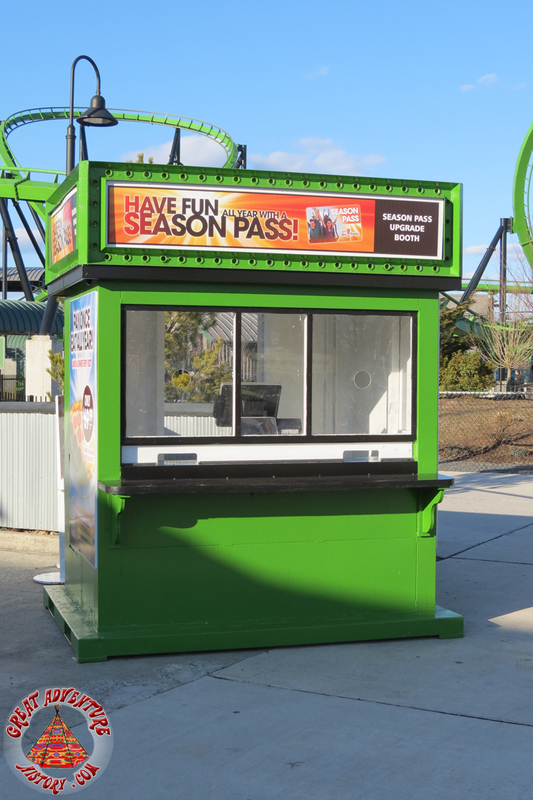 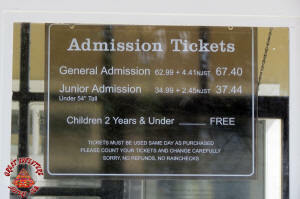 The gates for Premium Pass holders open before the general ticket holder gates! Kind of odd not seeing the Safari listed. 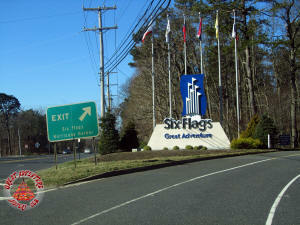 Six flags for Six Flags mark the entrance. 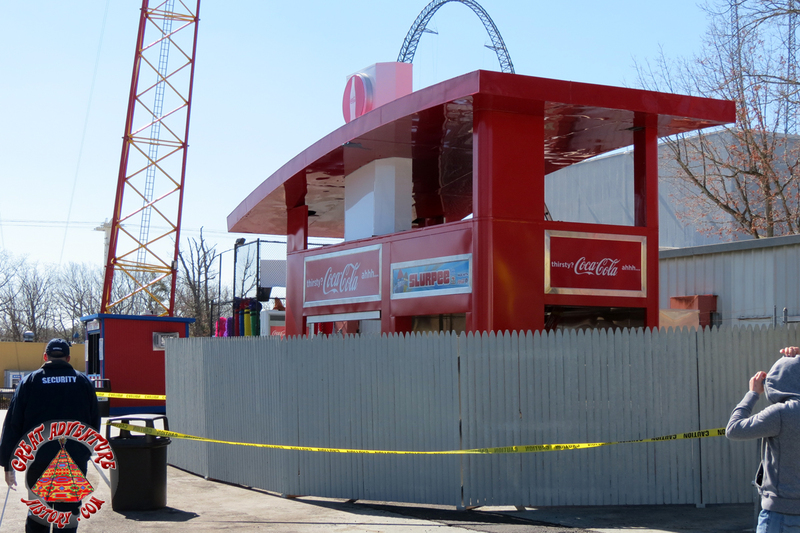 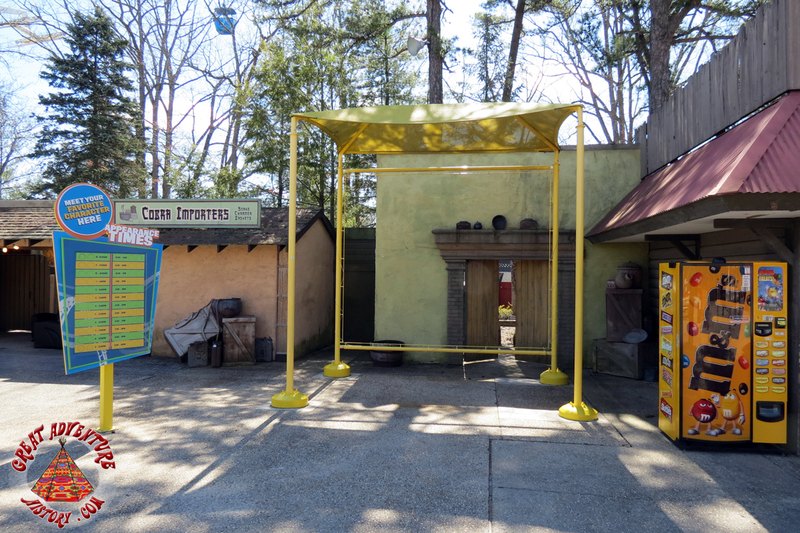 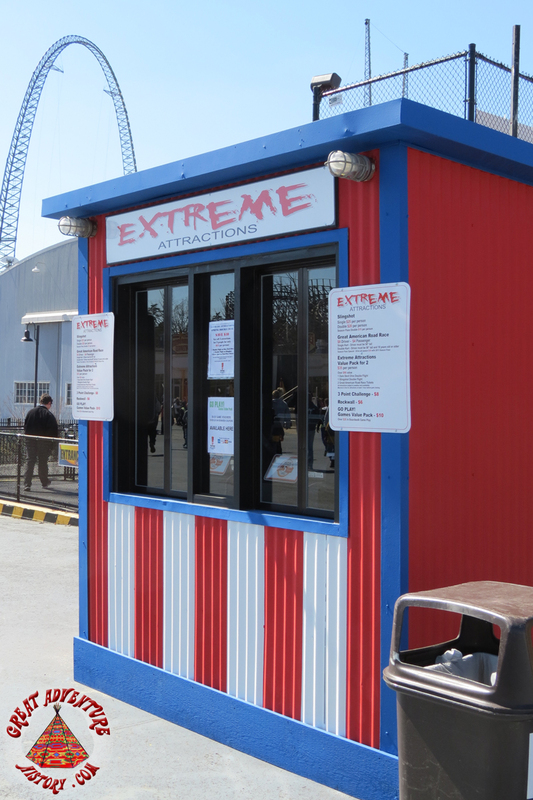 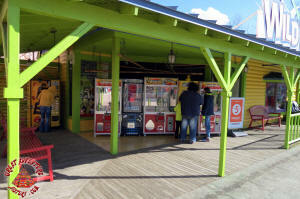 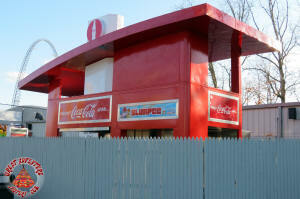 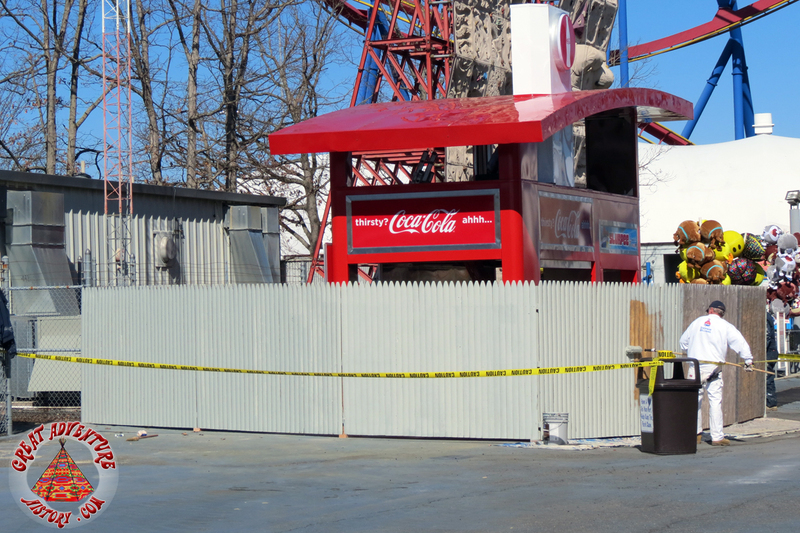 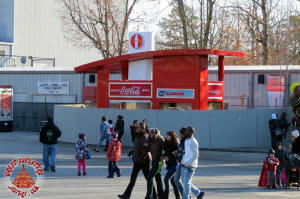 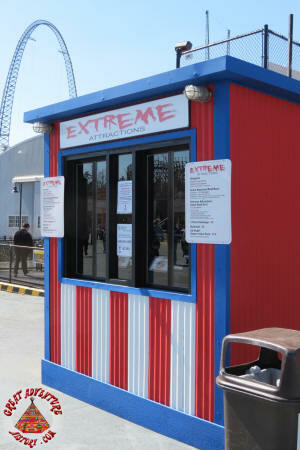 A new Coke/Slurpee stand rises near the Parachutes. 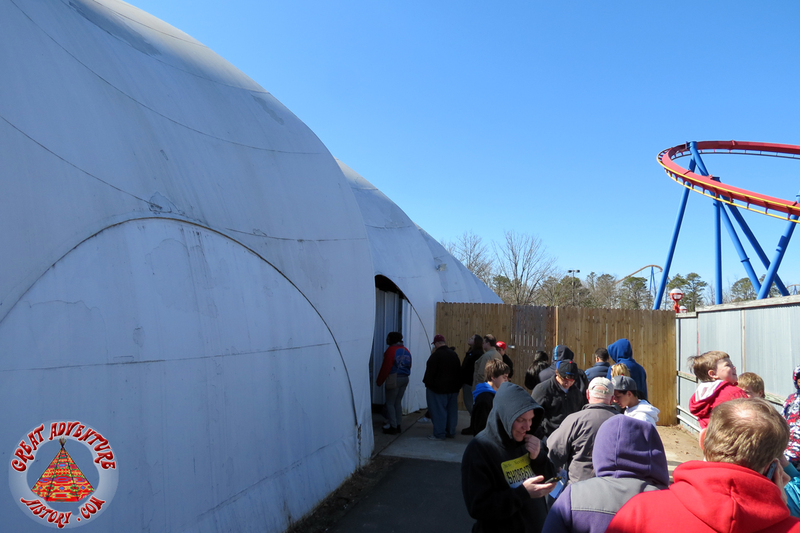 The season pass line enters the old admin building from the rear. 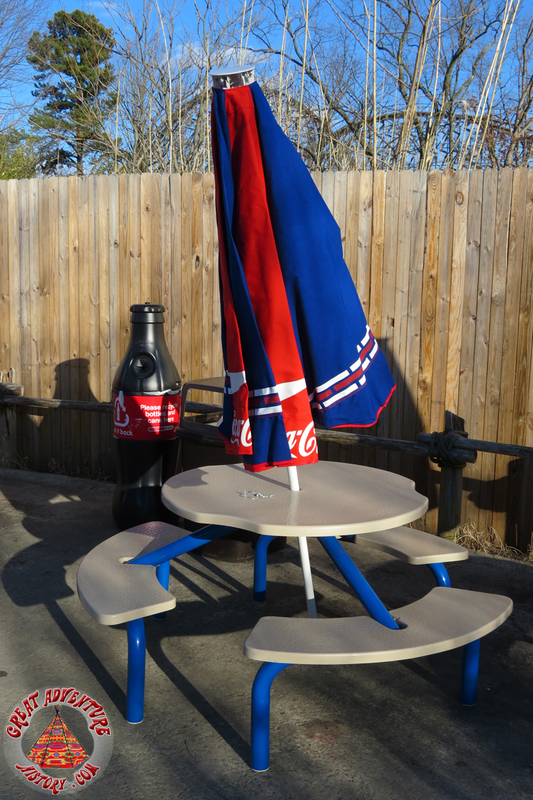 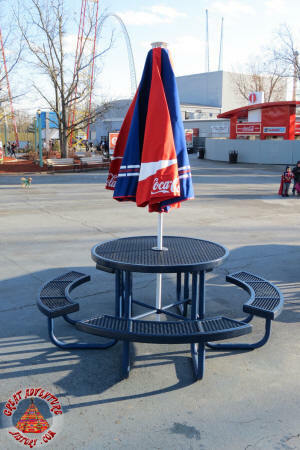 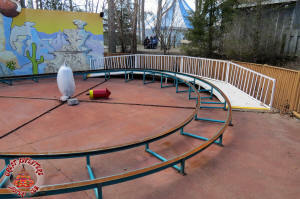 New tables can be found throughout the park. 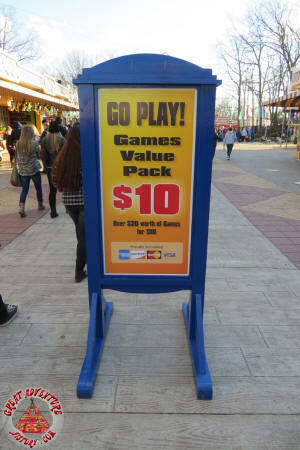 This is either a leftover from 2012 or some really advanced advertising! 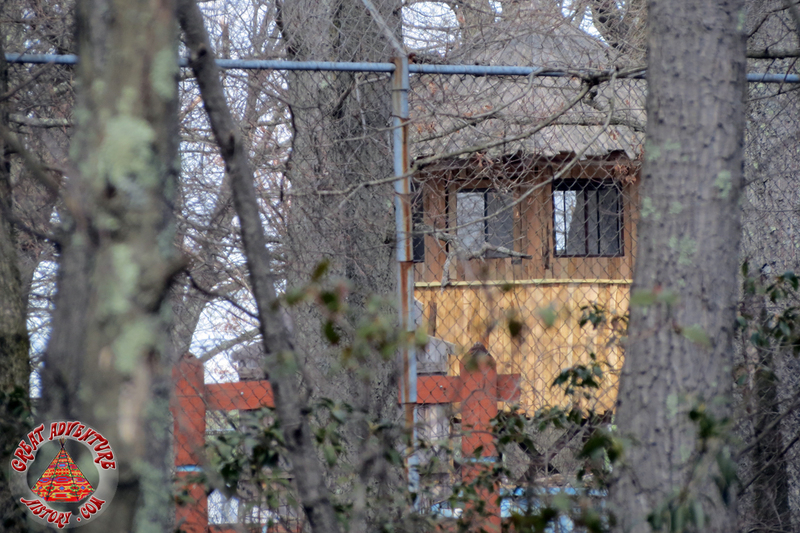 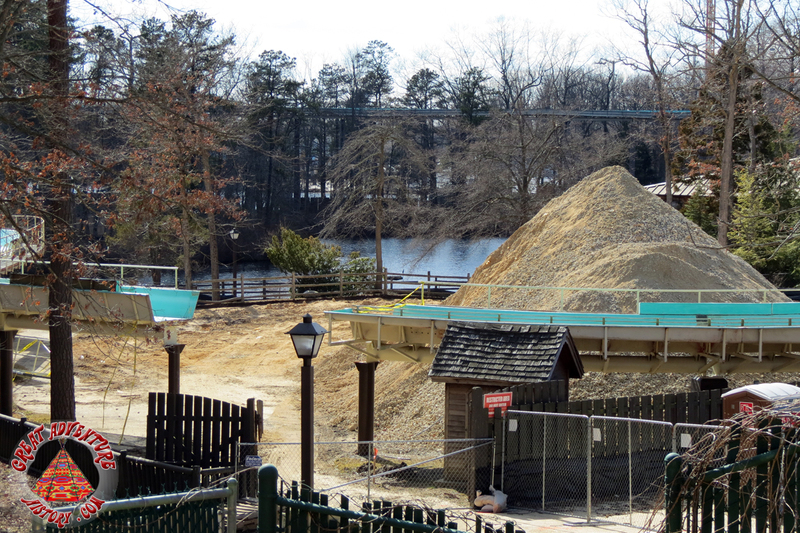 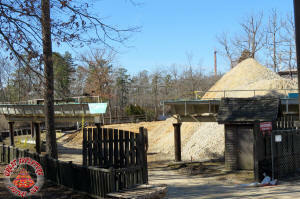 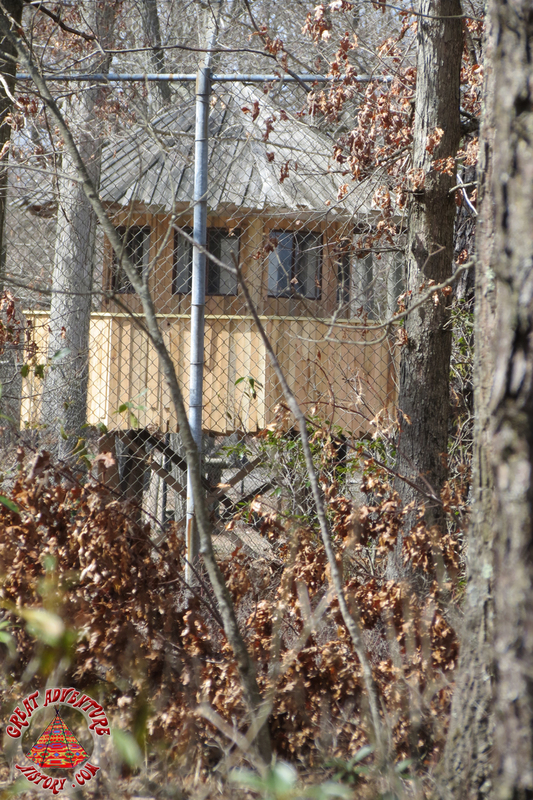 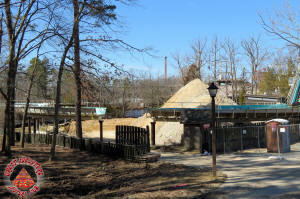 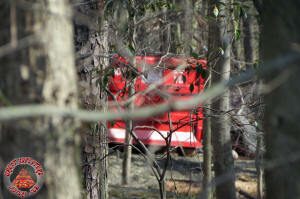 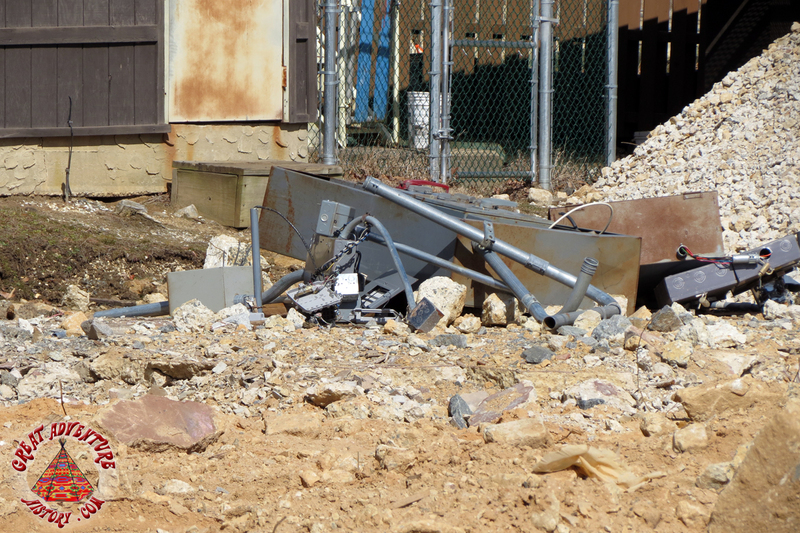 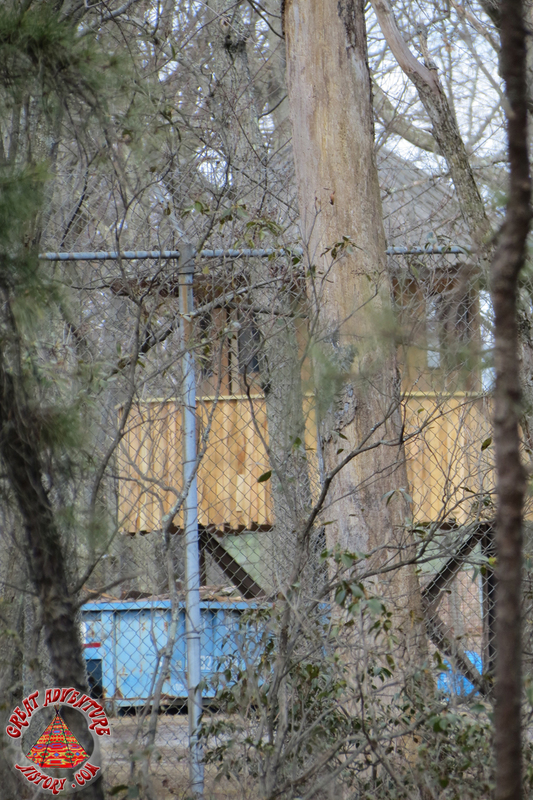 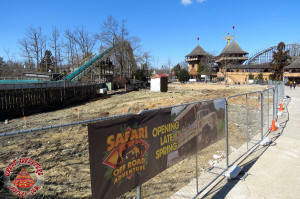 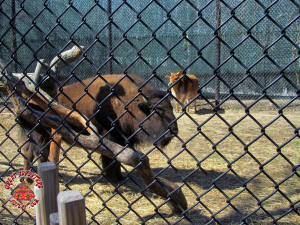 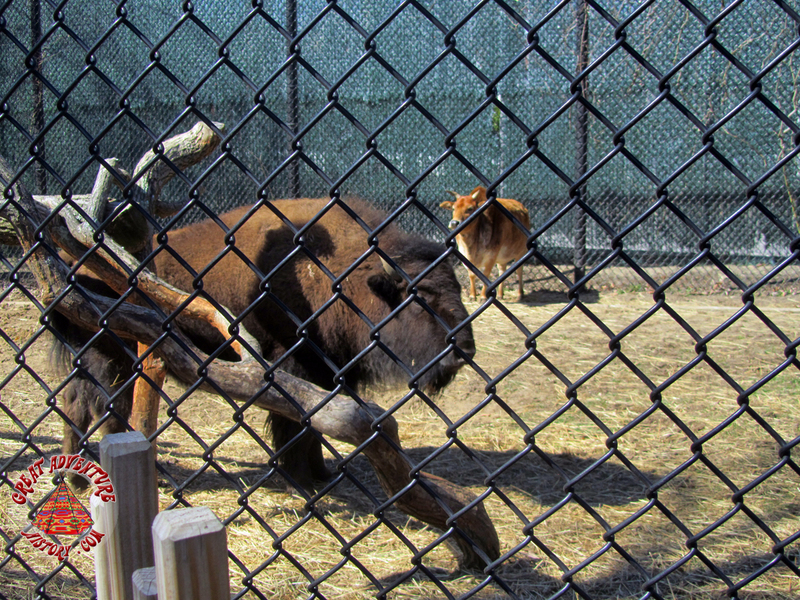 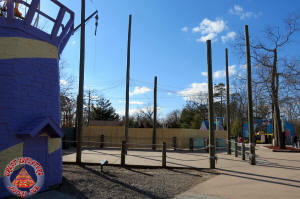 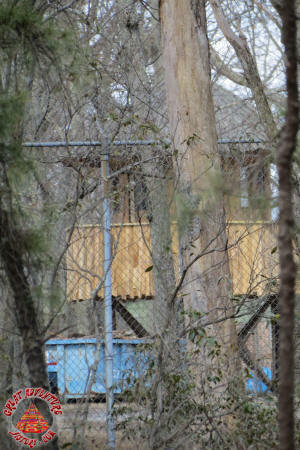 Safari Discoveries is still open - at least until the Safari Off Road Adventure/Camp Aventura opens. 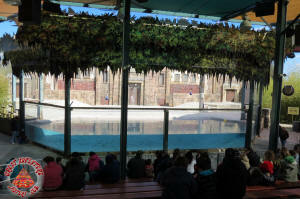 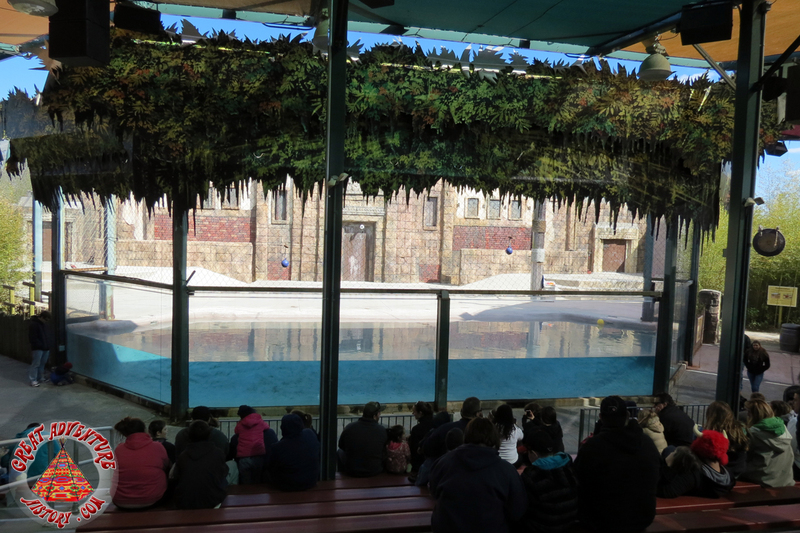 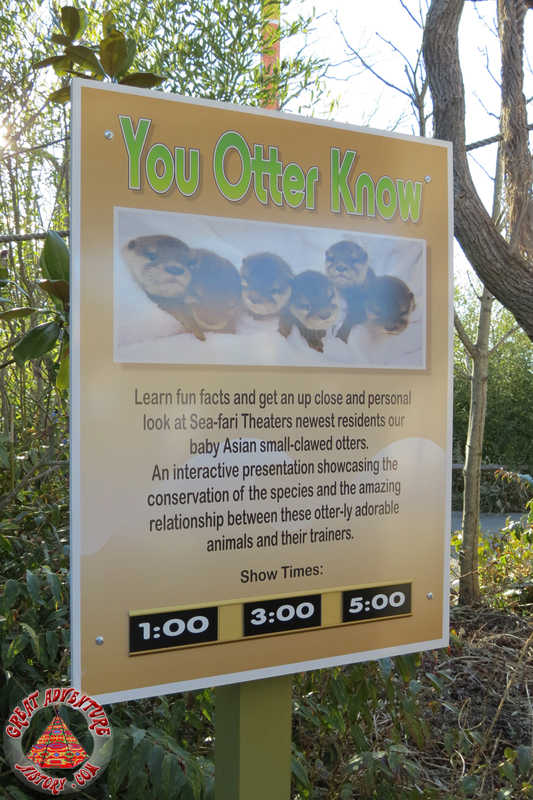 The Otter Show is cute and hopefully once the otters get accustomed to their pool, the show will be a little longer. 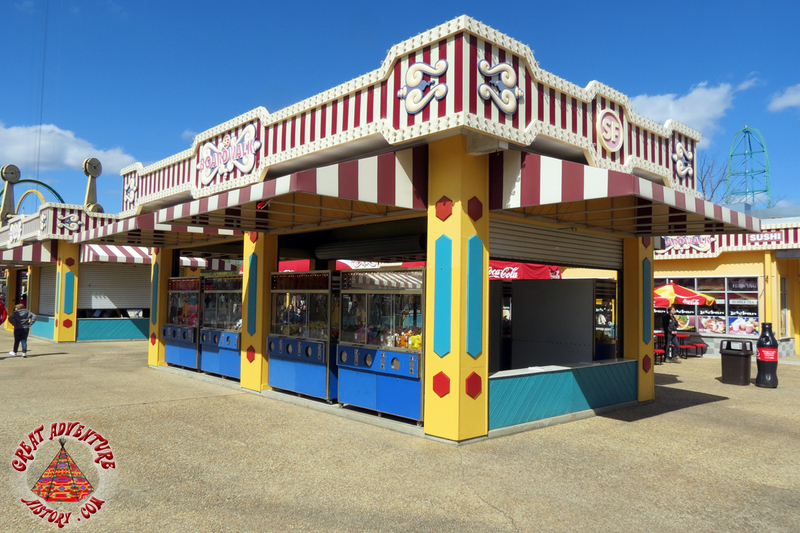 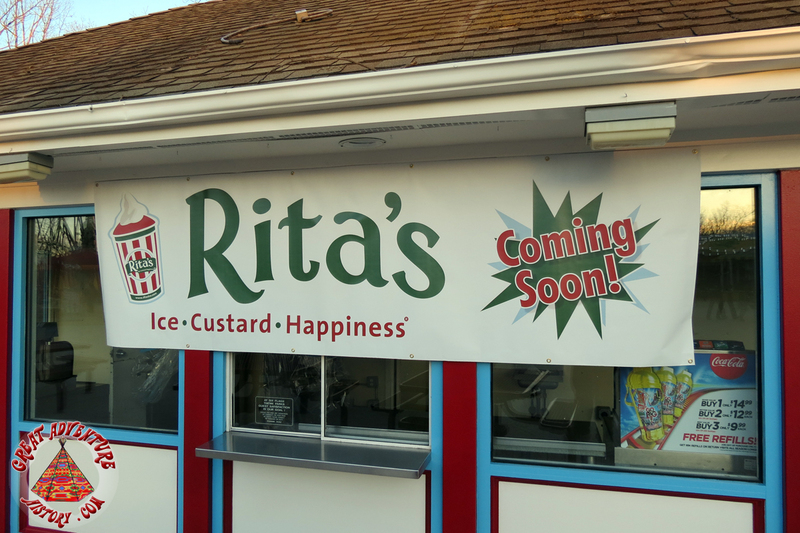 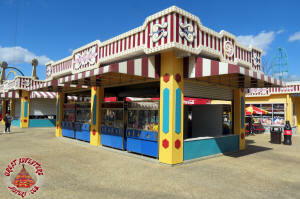 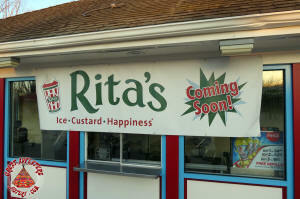 Rita's has taken over the Ben & Jerry's location in the Boardwalk. 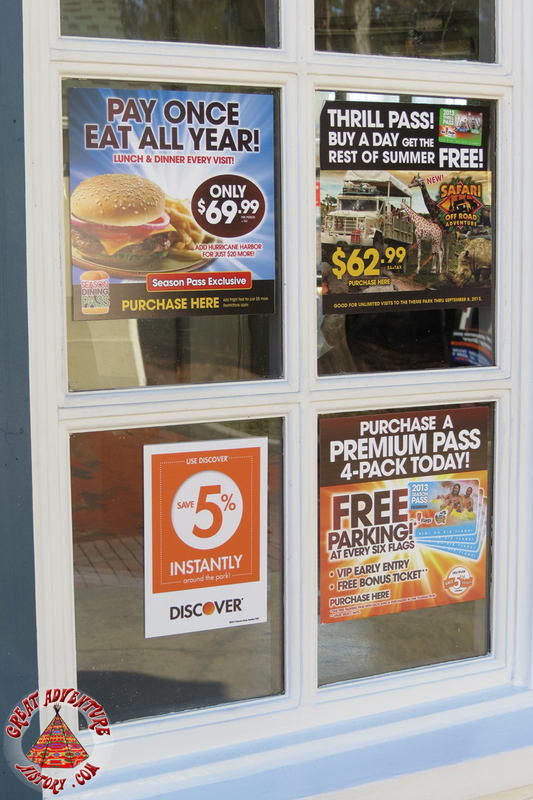 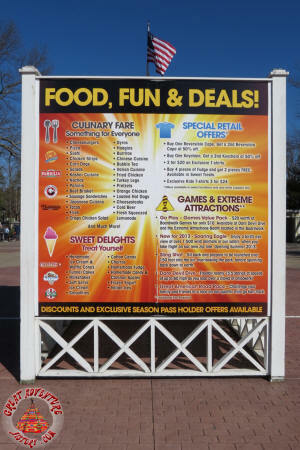 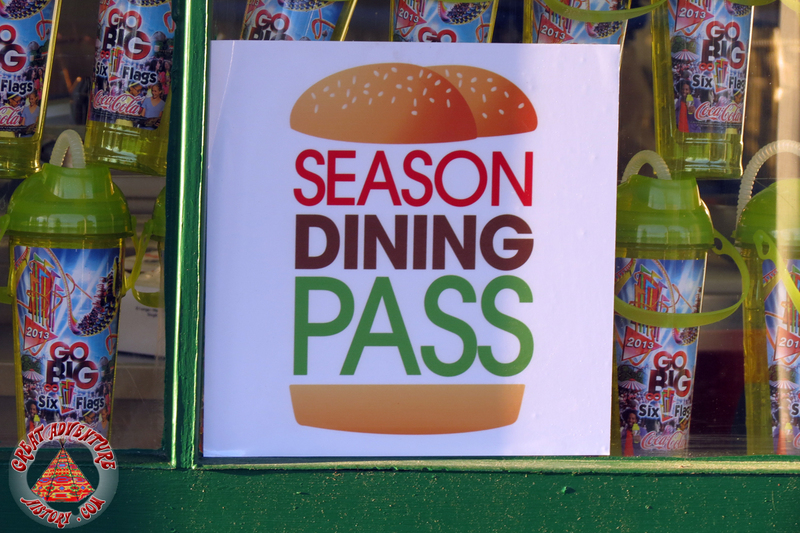 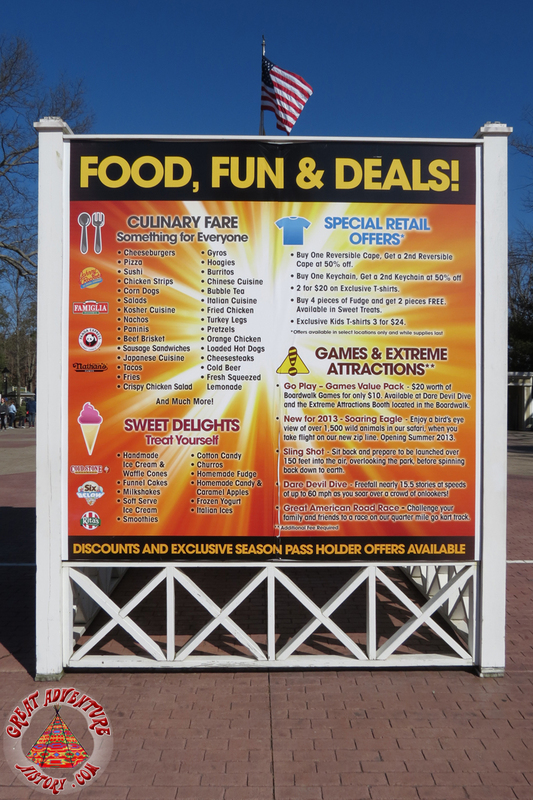 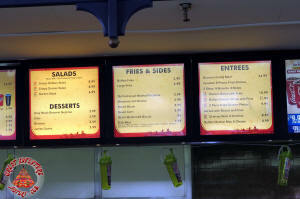 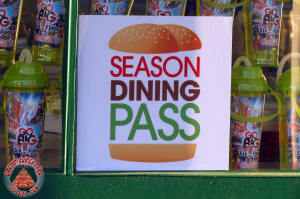 Season Pass dining allows guest to order most entrees throughout the park and really is a great bargain. 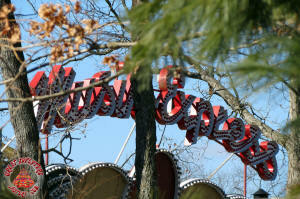 The Musik Express still stands! 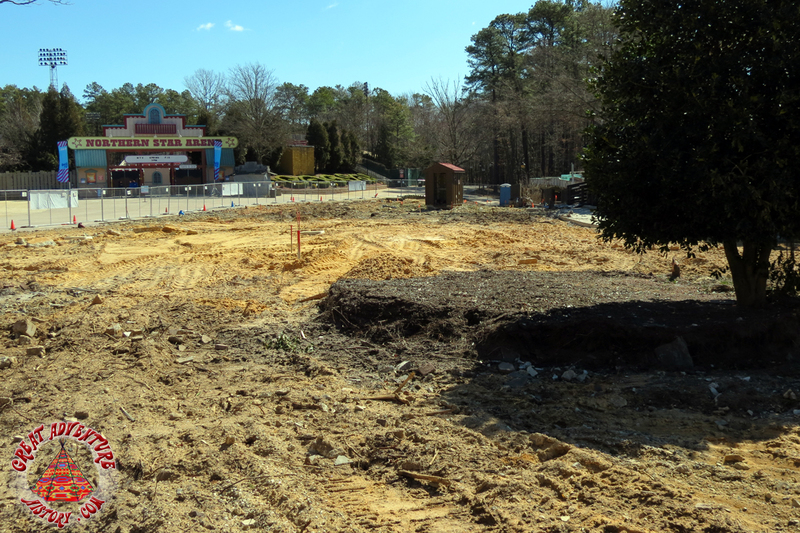 The Western Shootout building is now just a pile of concrete rubble. Soon it will be a dining patio for the Best of the West BBQ. 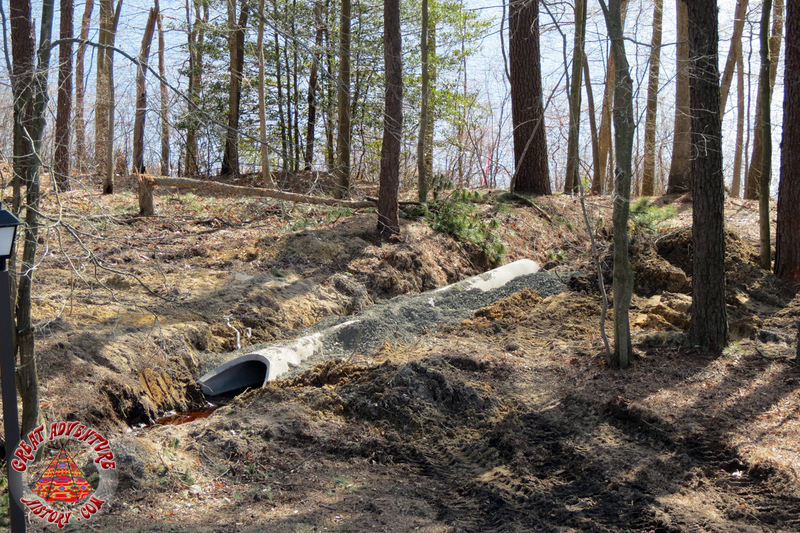 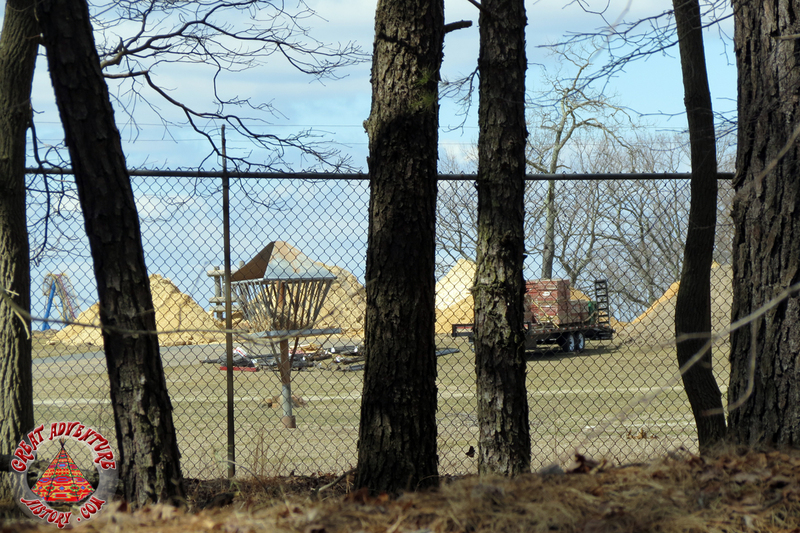 Site prep continues for the Safari Off Road Adventure on the former site of the Super Teepee, Conestoga Wagon, and into the woods behind the Northern Star Arena. 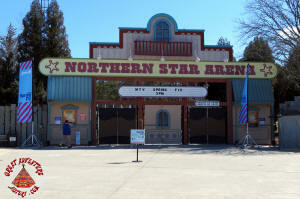 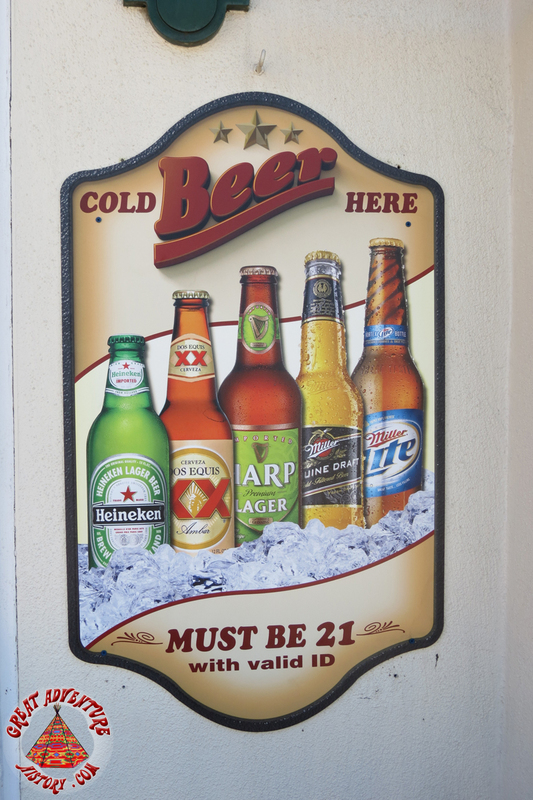 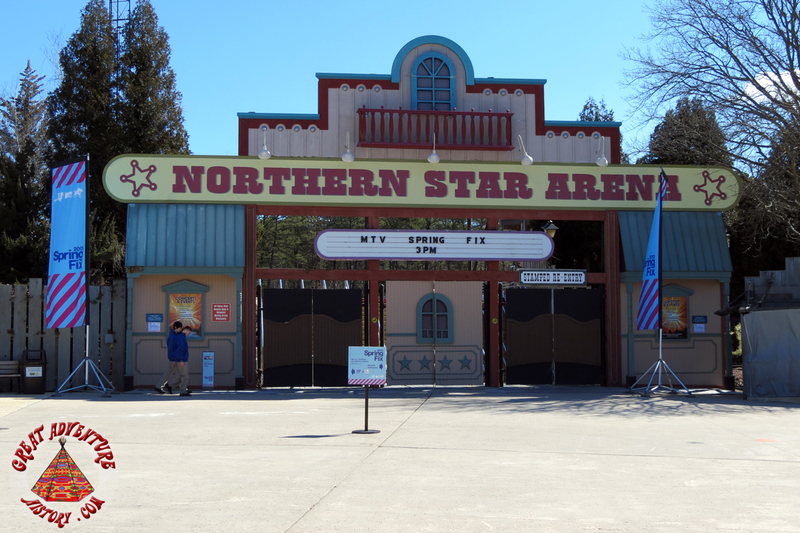 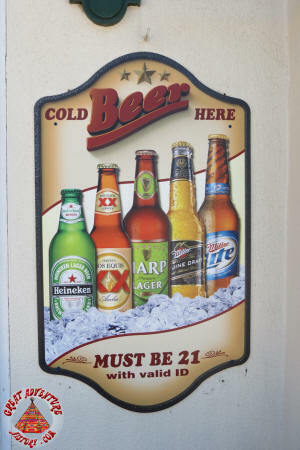 Northern Star has a new temporary sign. 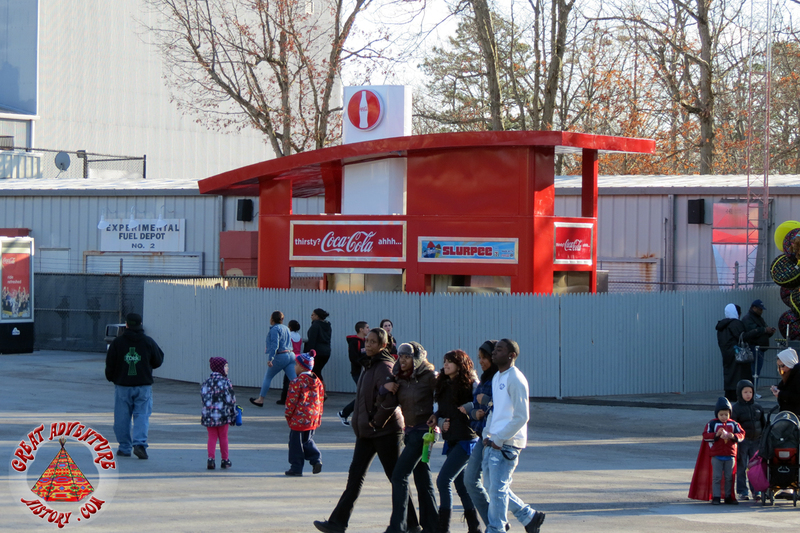 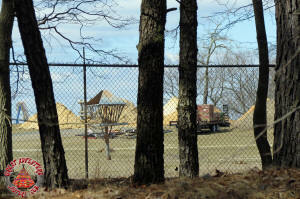 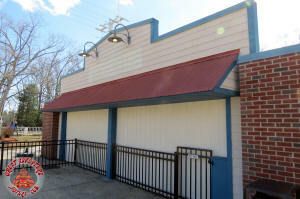 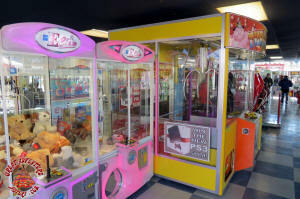 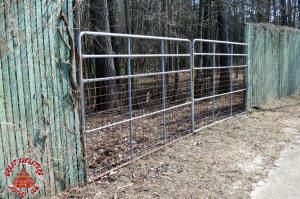 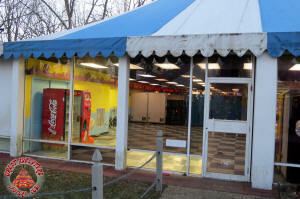 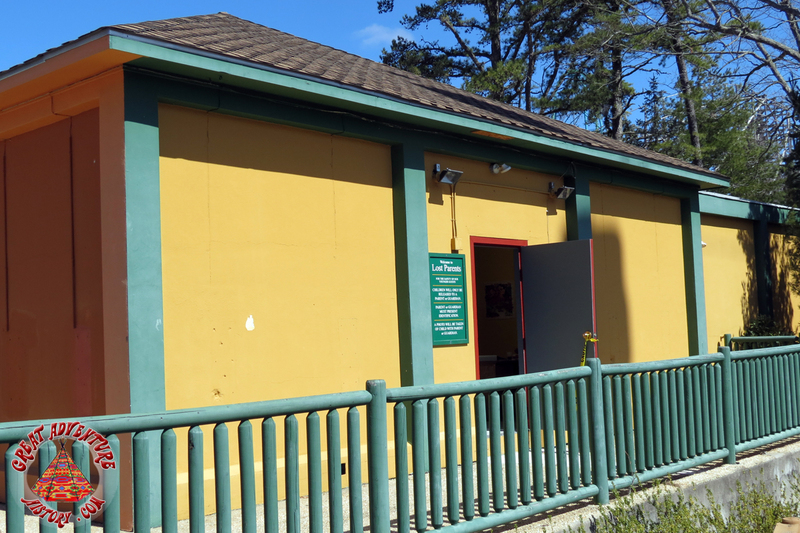 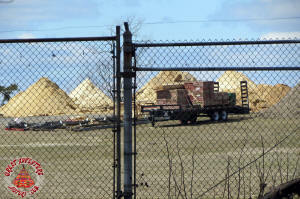 Without Conestoga, the area is in need of a new food stand for the Arena. 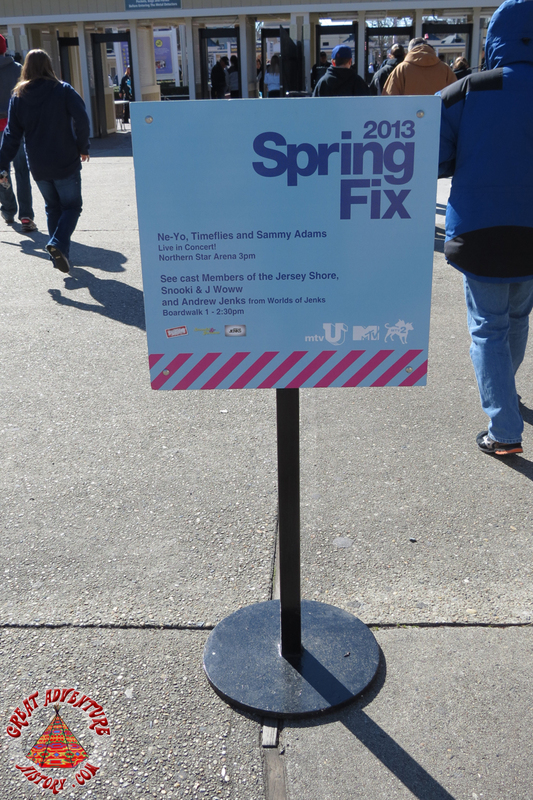 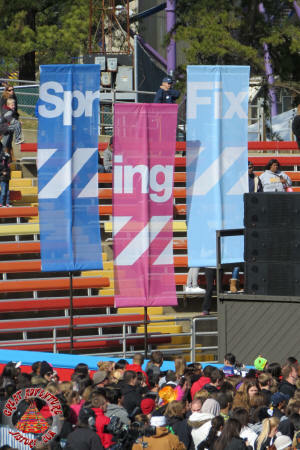 The Spring Fix was a popular concert especially for March. 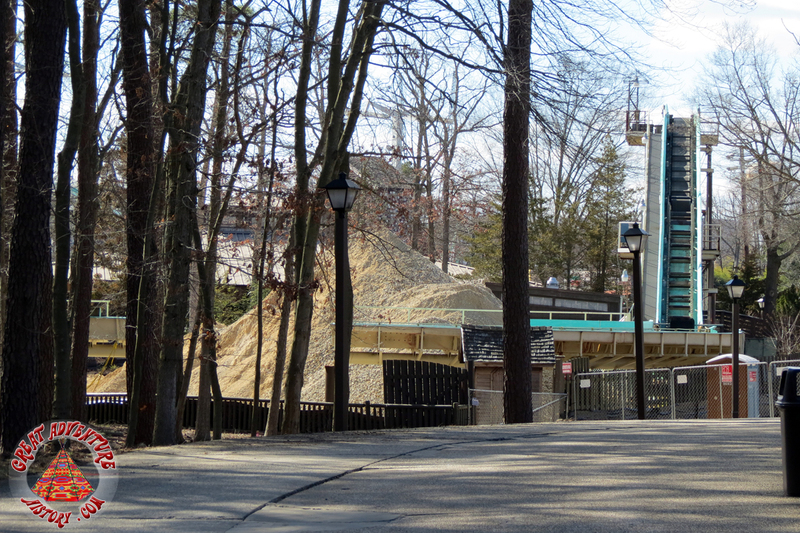 A quick side trip to Reed Road afforded some views of the new construction. 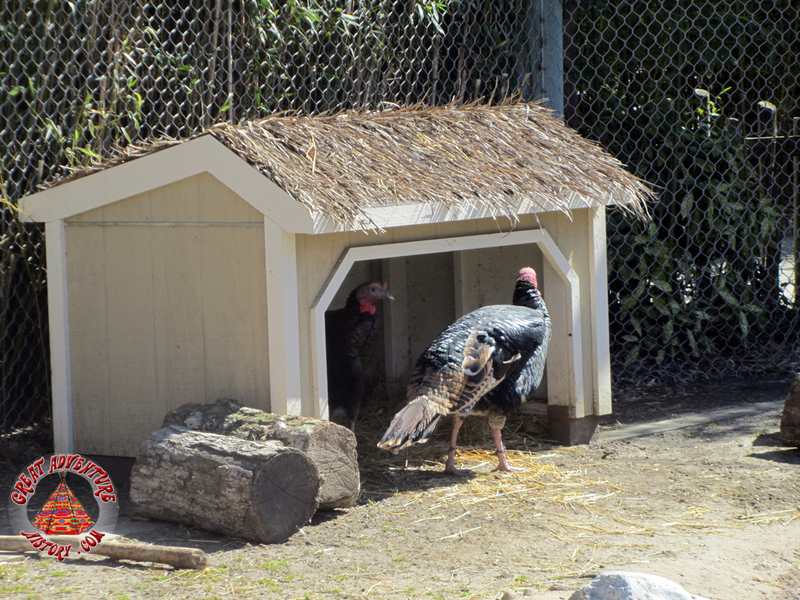 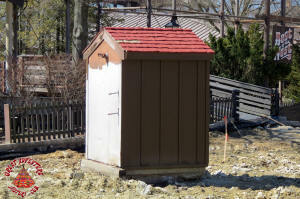 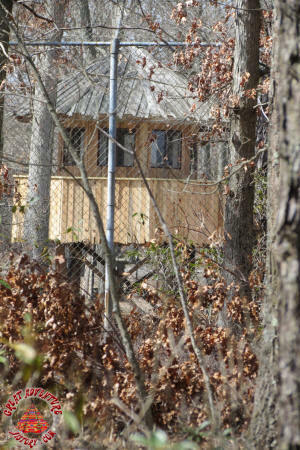 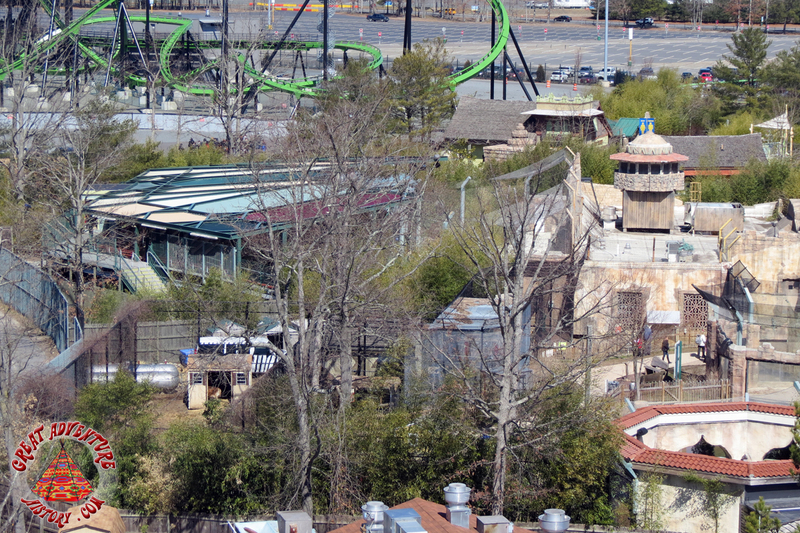 The Safari hut in the lion section has been refurbished. 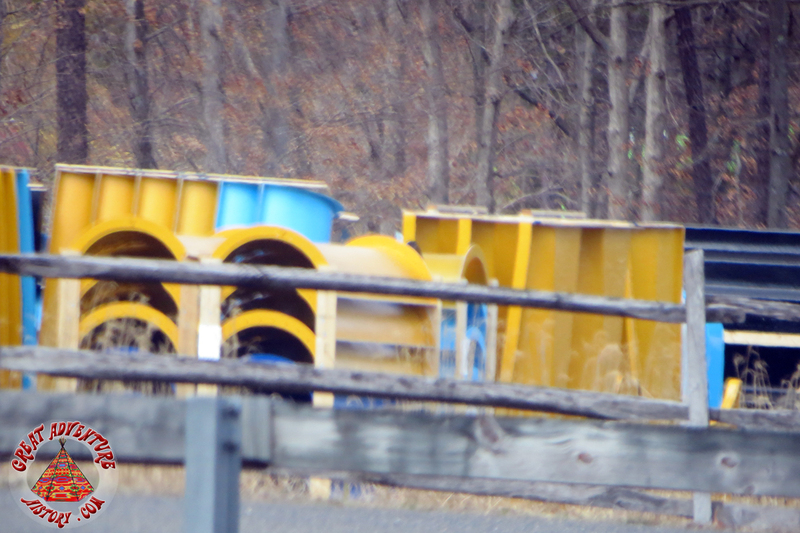 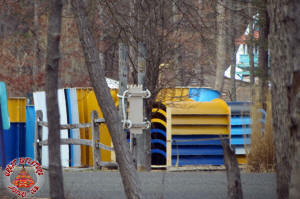 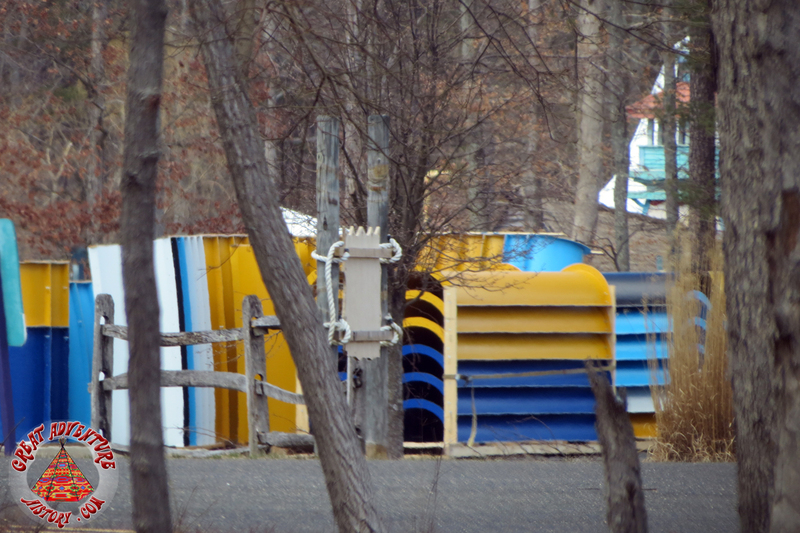 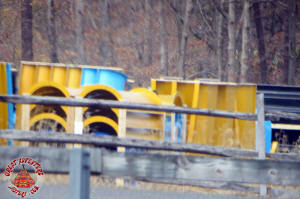 Parts for the Big Wave Racer are being stored in the Hurricane Harbor parking lot. 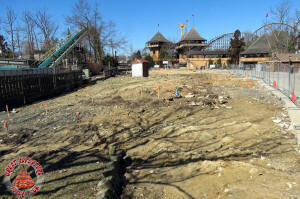 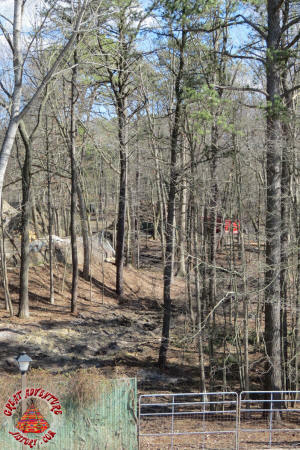 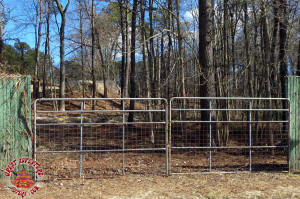 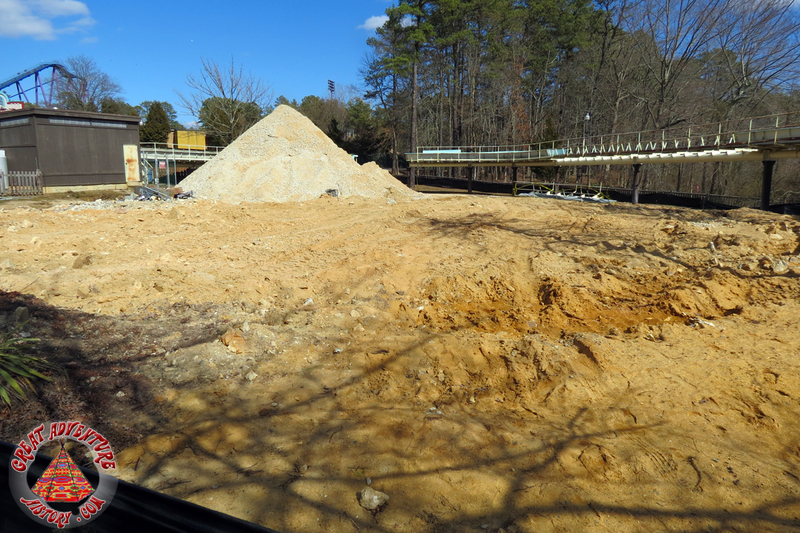 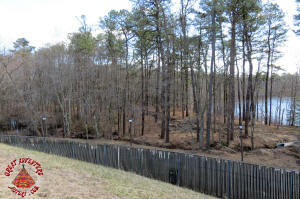 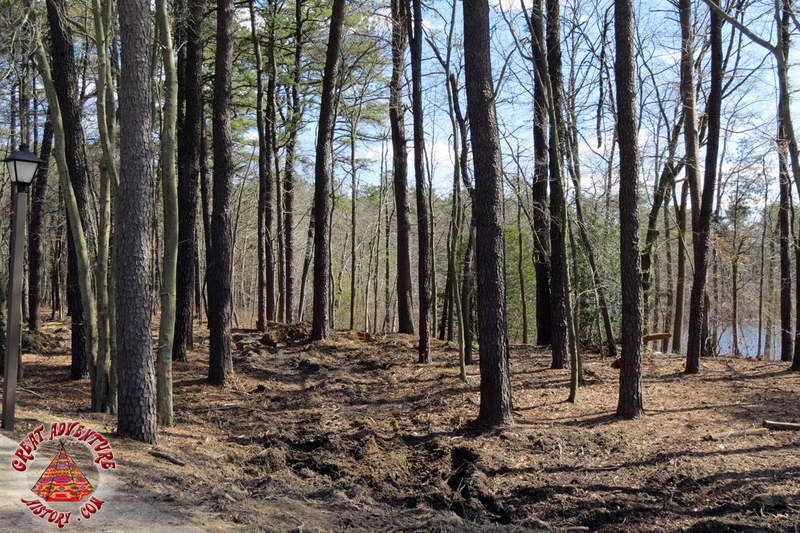 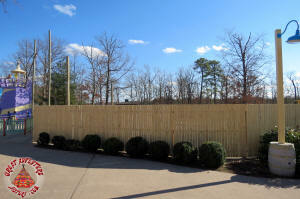 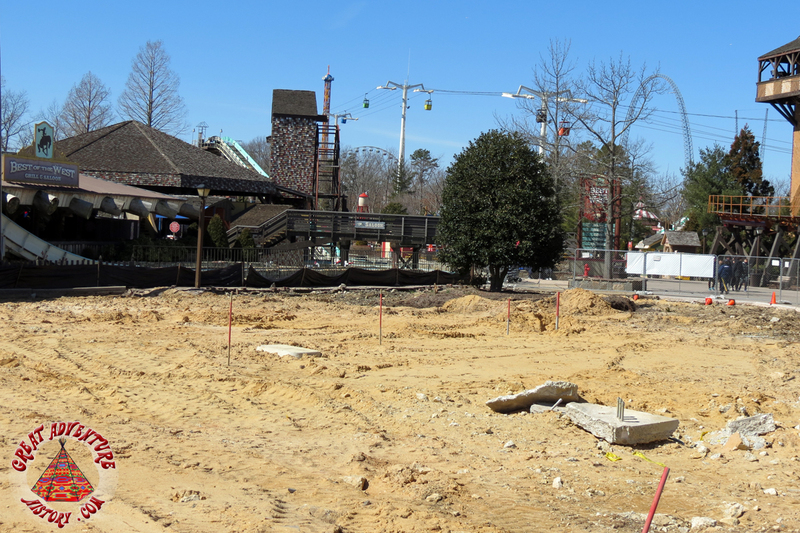 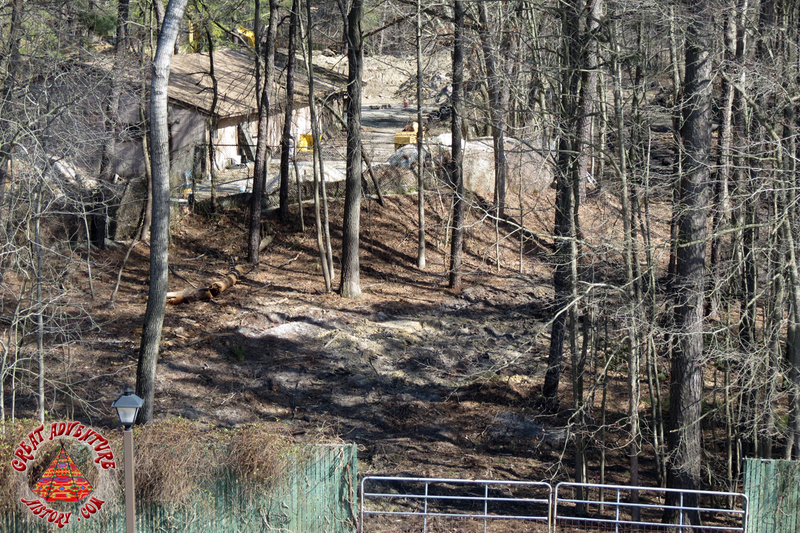 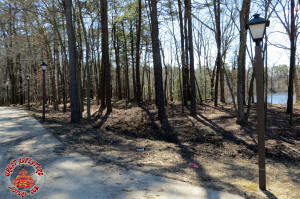 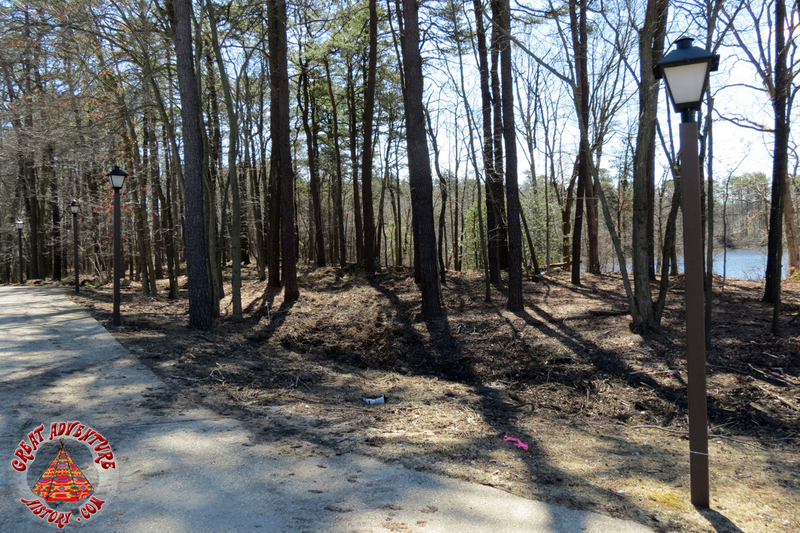 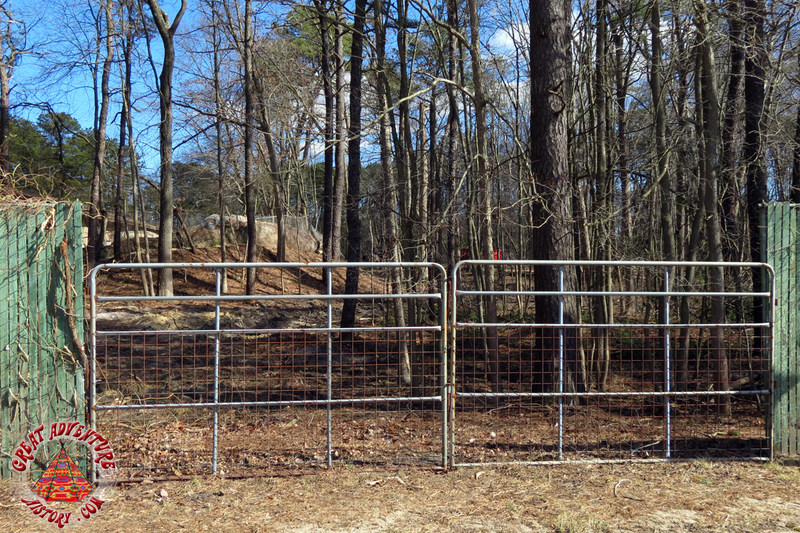 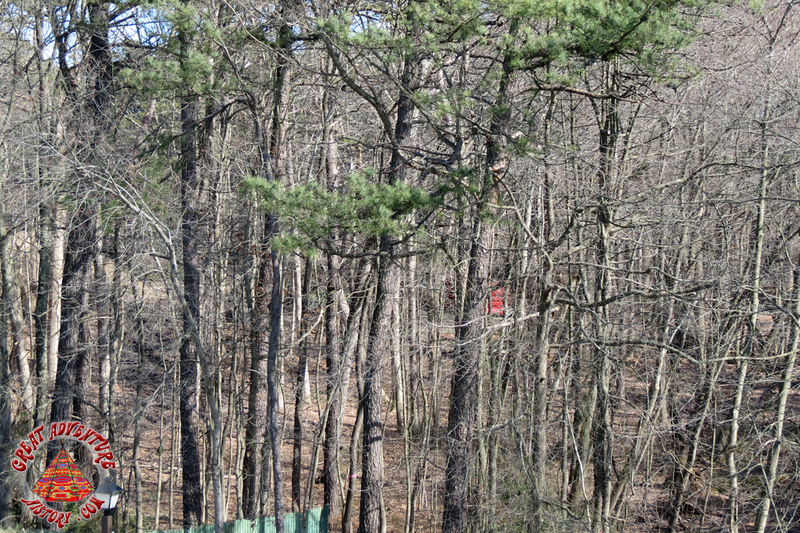 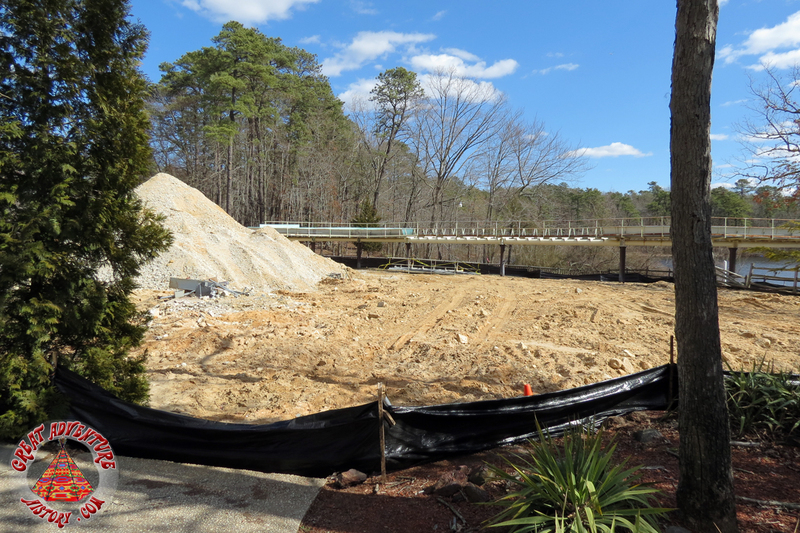 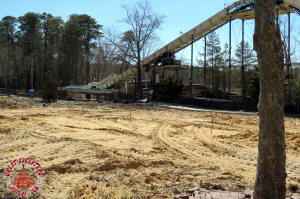 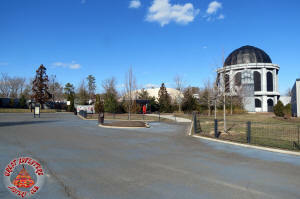 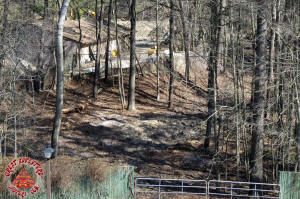 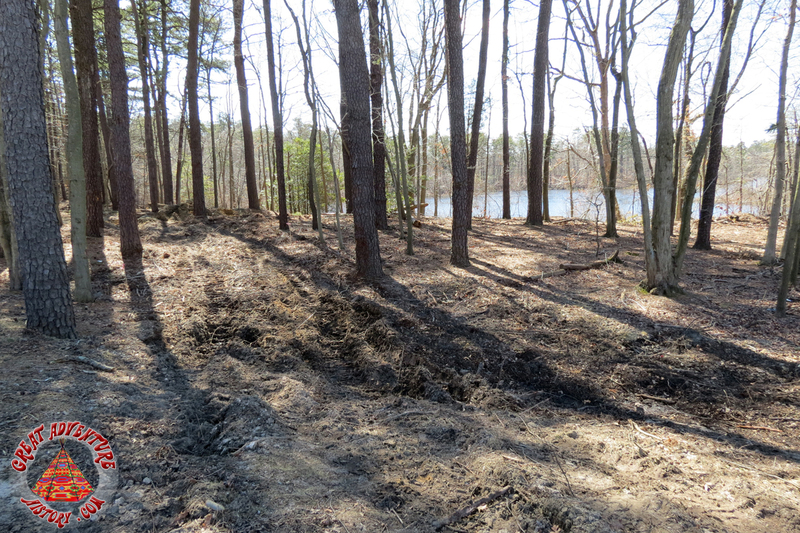 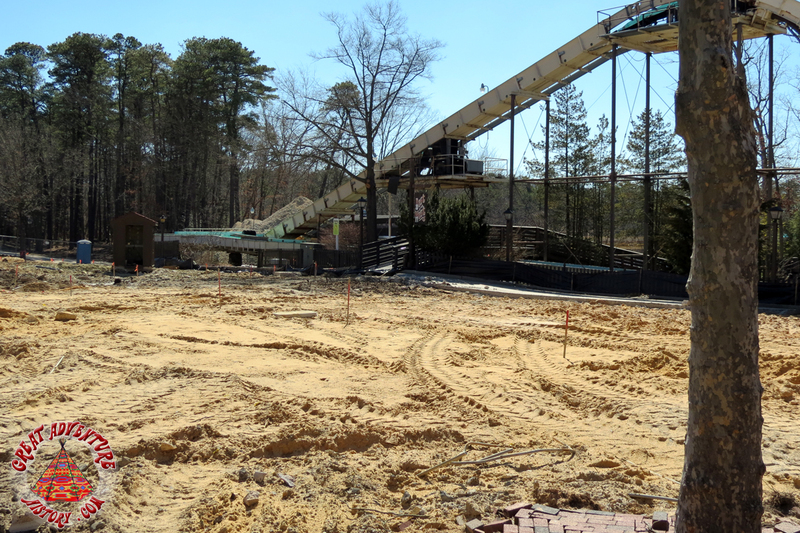 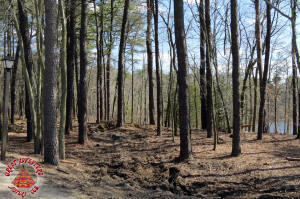 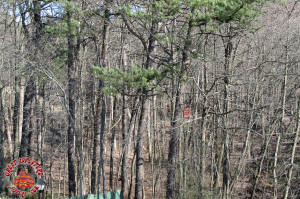 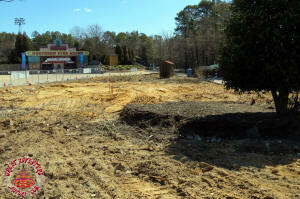 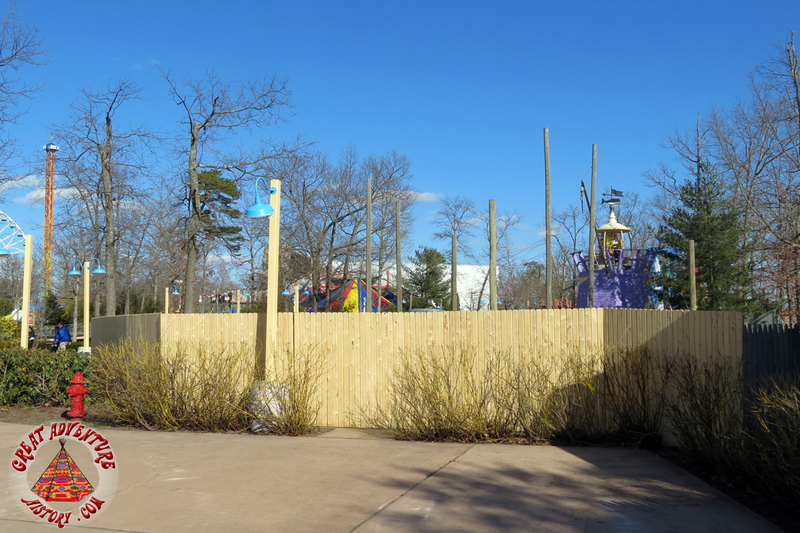 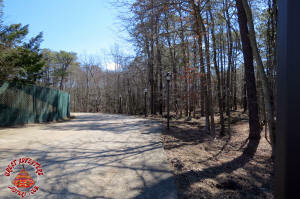 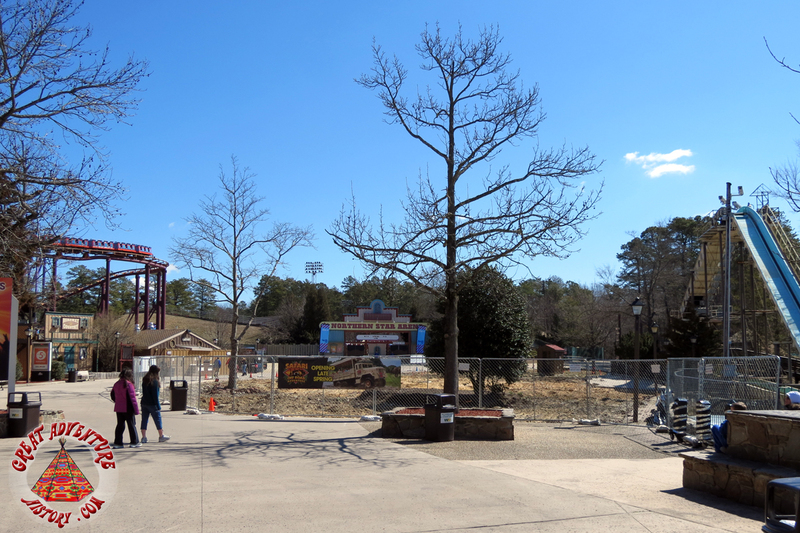 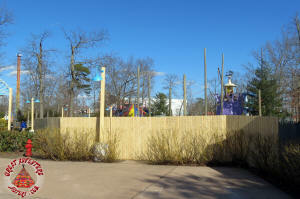 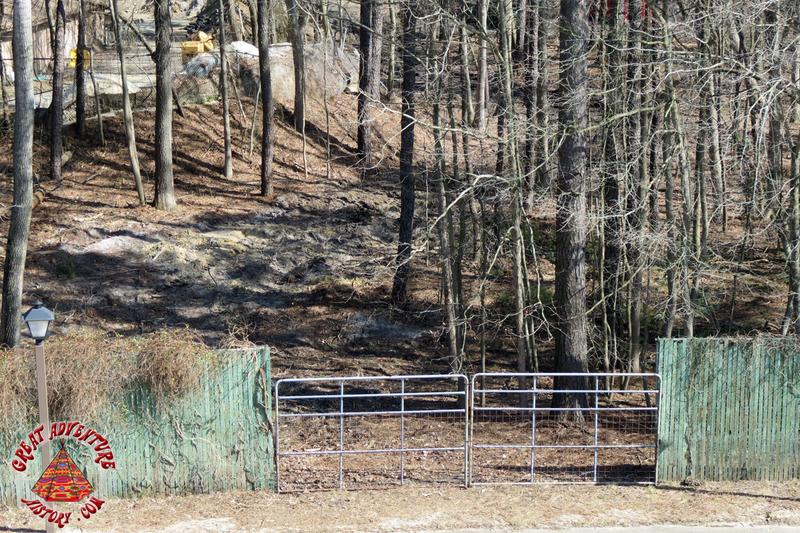 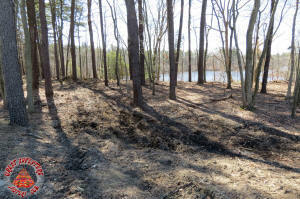 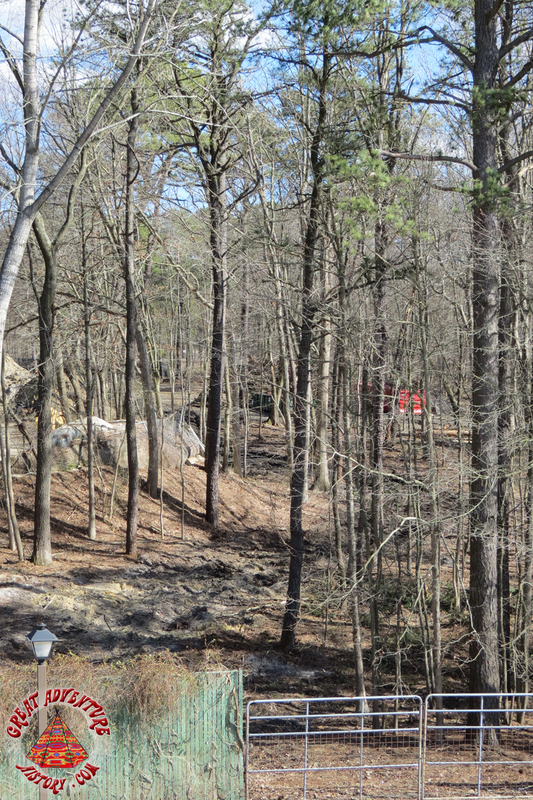 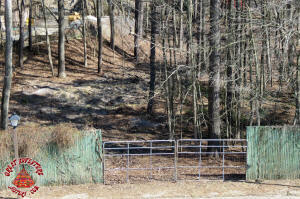 The future ride site has been cleared of trees for construction. 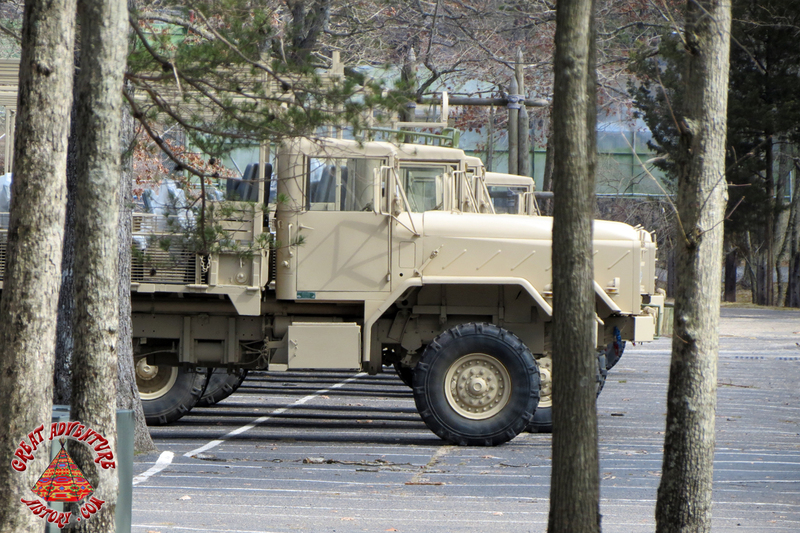 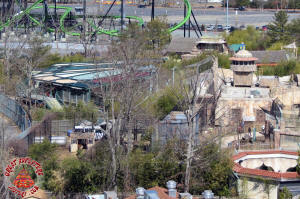 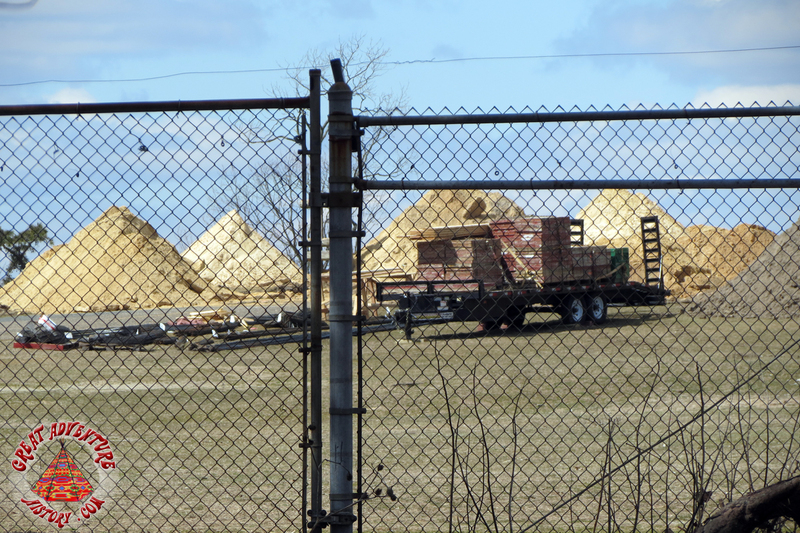 Some of the fleet of Safari trucks are in the former Exploration Station lot. 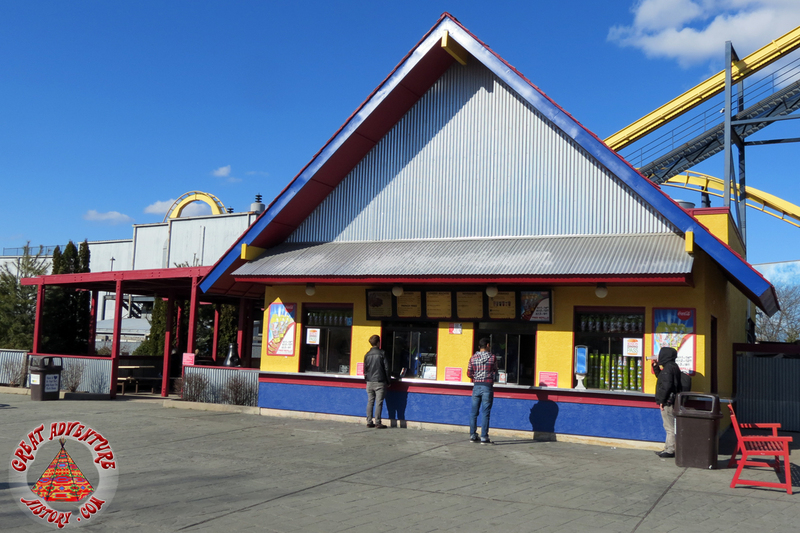 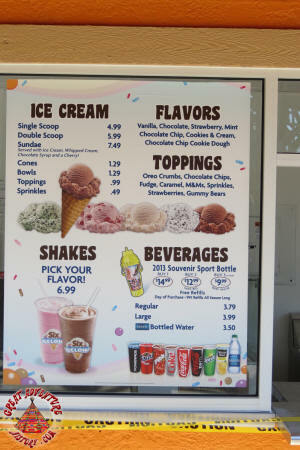 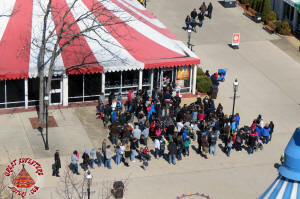 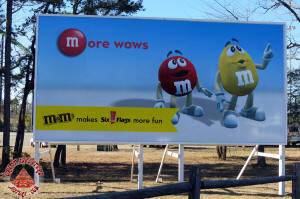 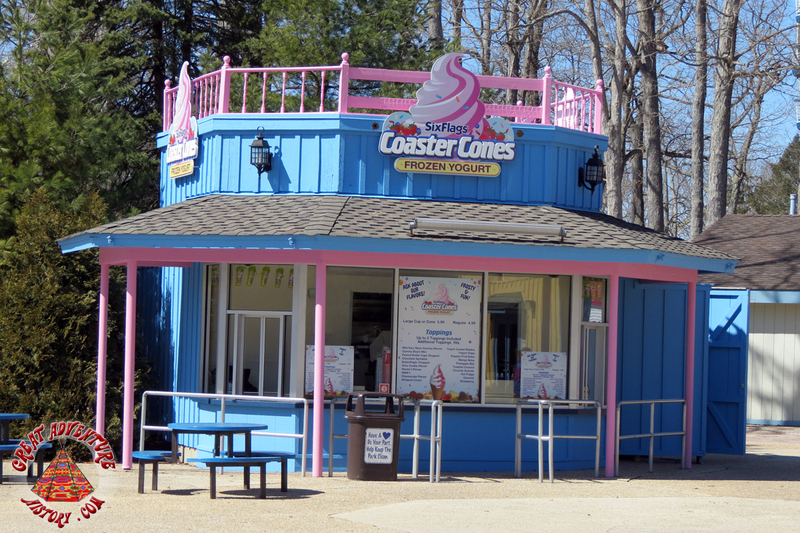 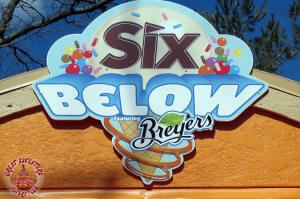 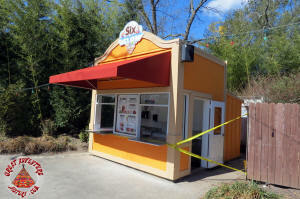 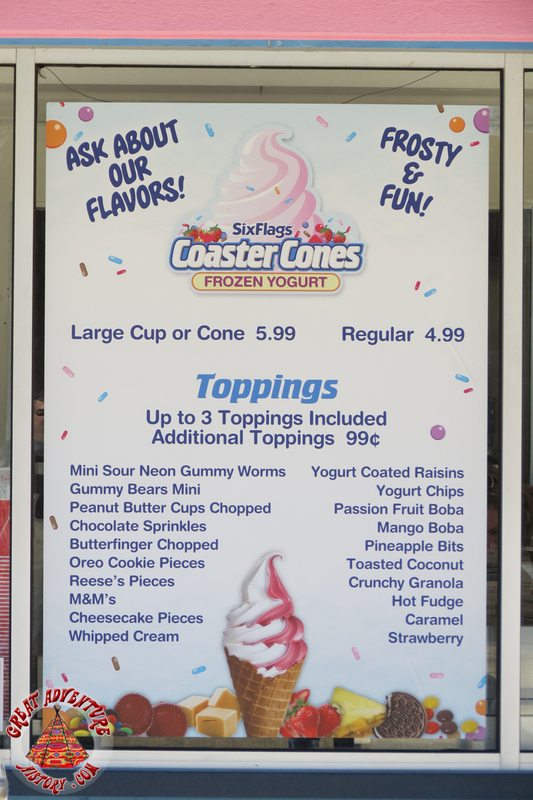 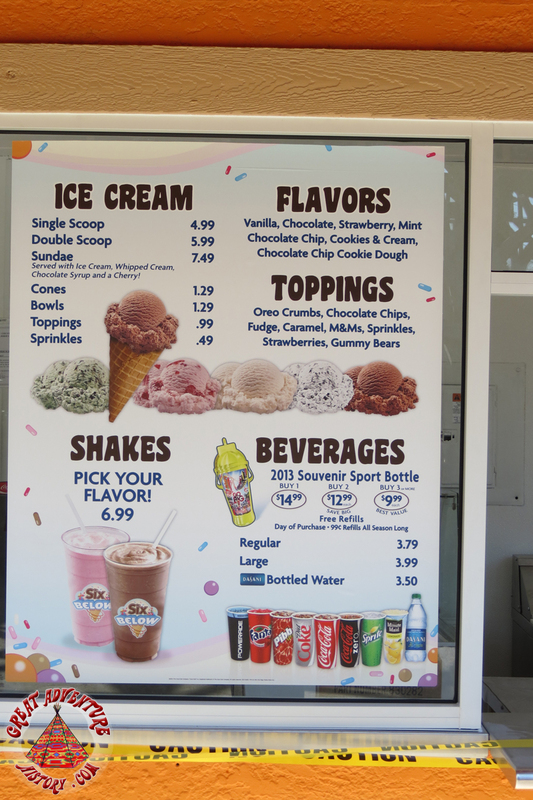 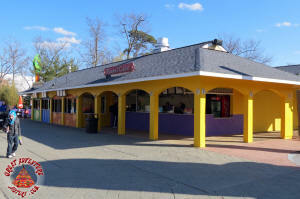 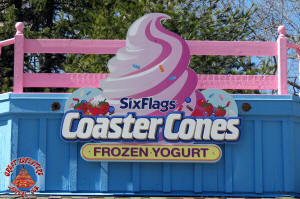 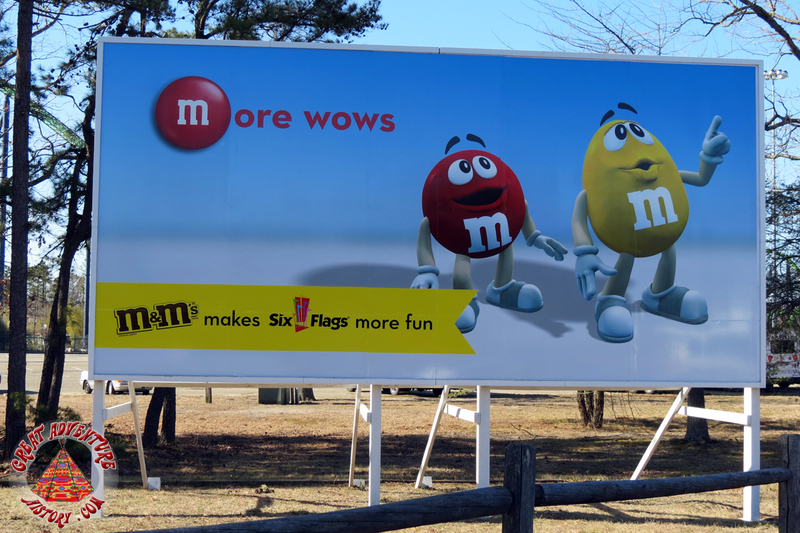 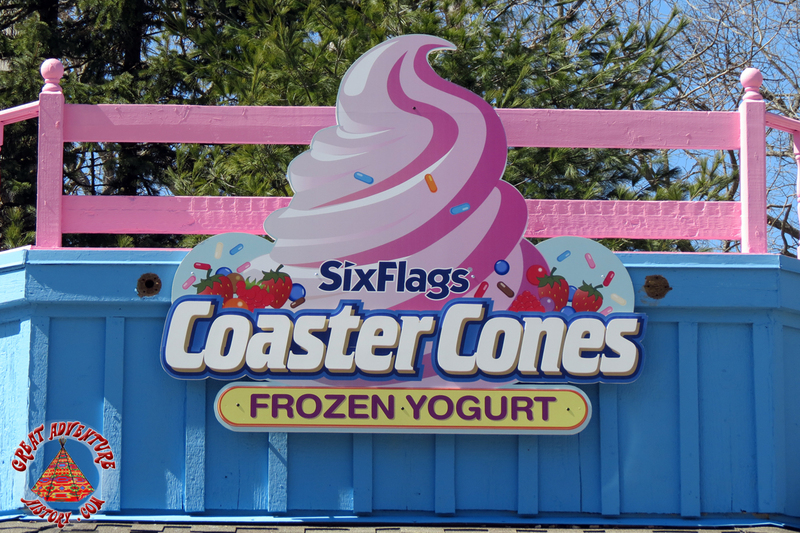 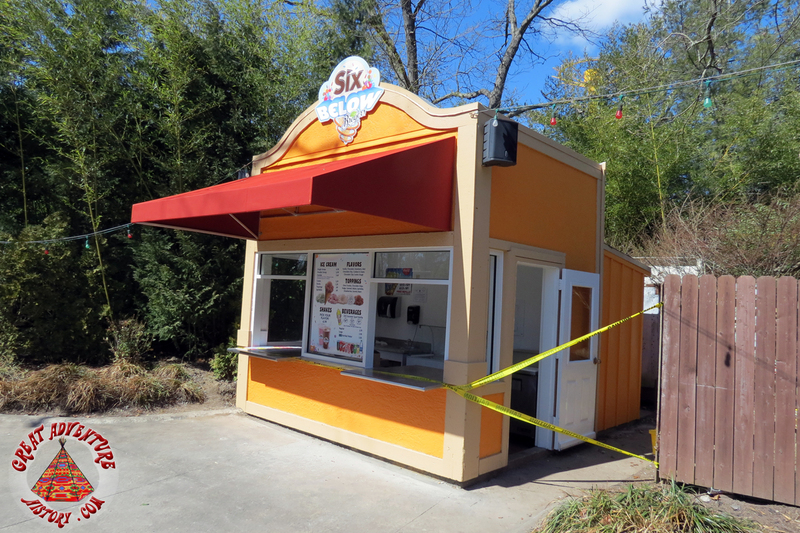 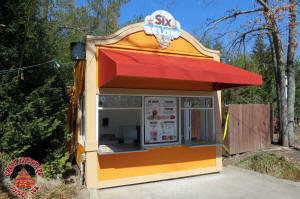 Breyer's is now the official ice cream of Six Flags. 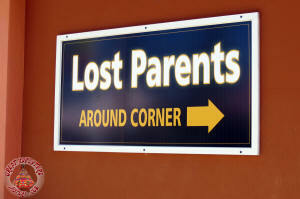 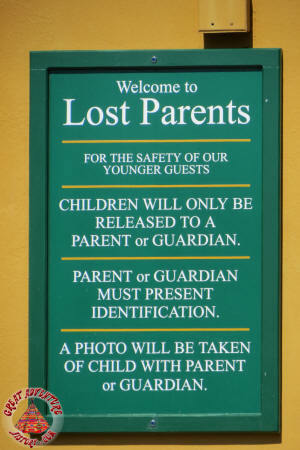 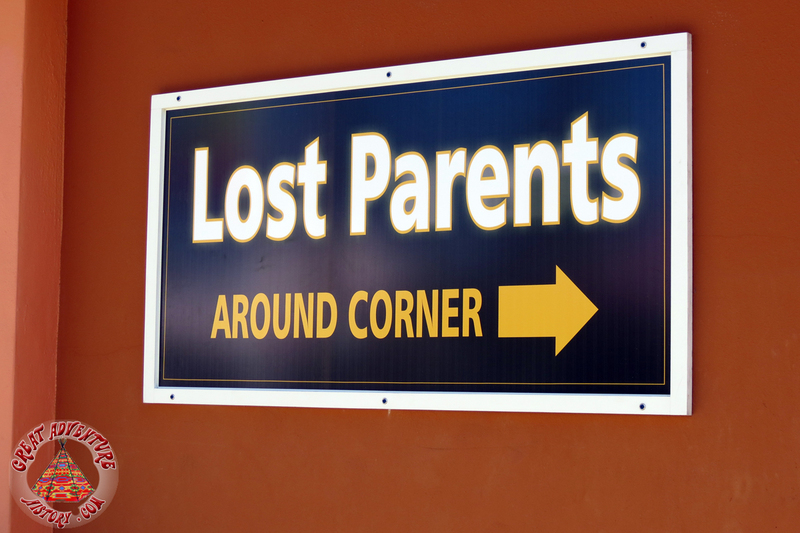 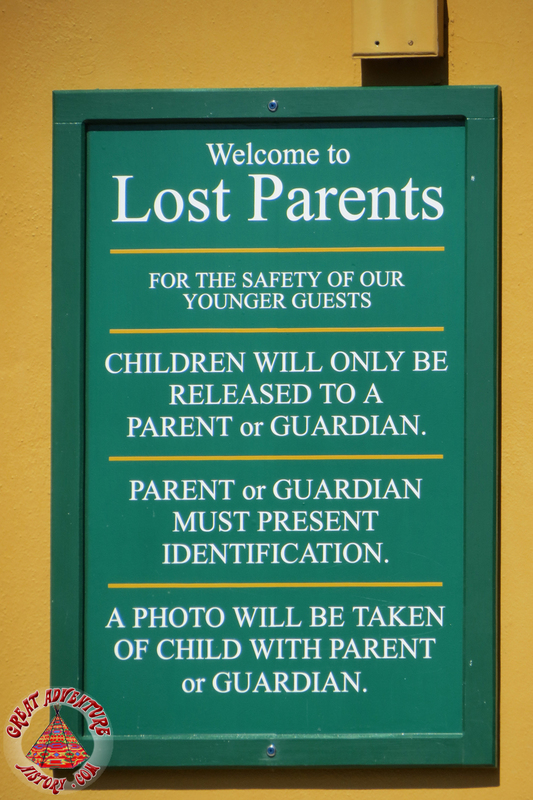 Lost Parents has returned to the park. 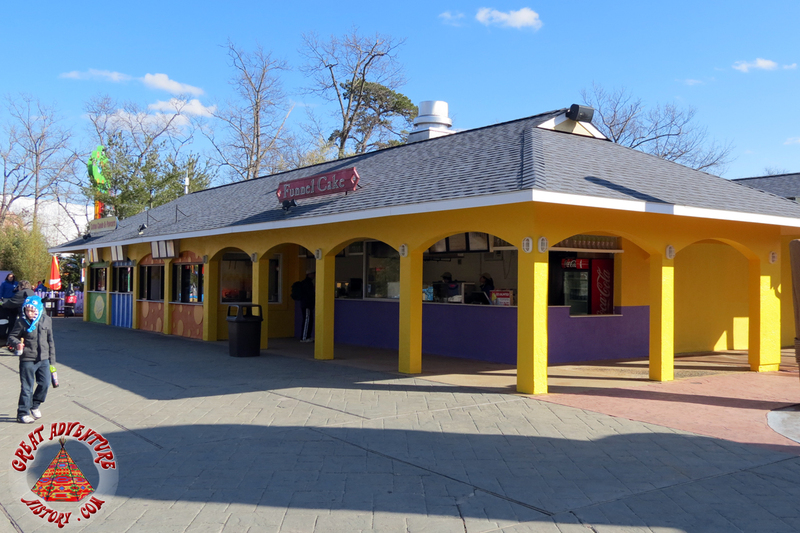 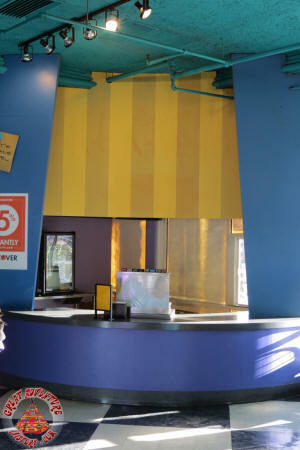 The Great Character Cafe is in the process of getting a new paint job! 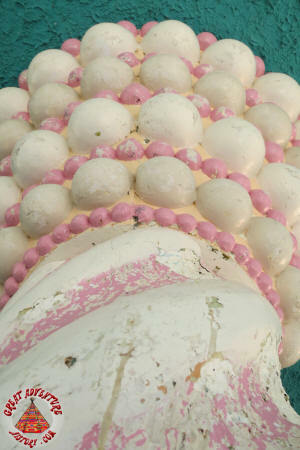 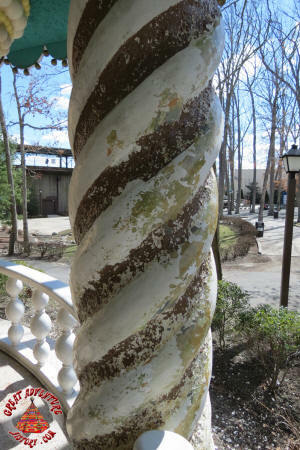 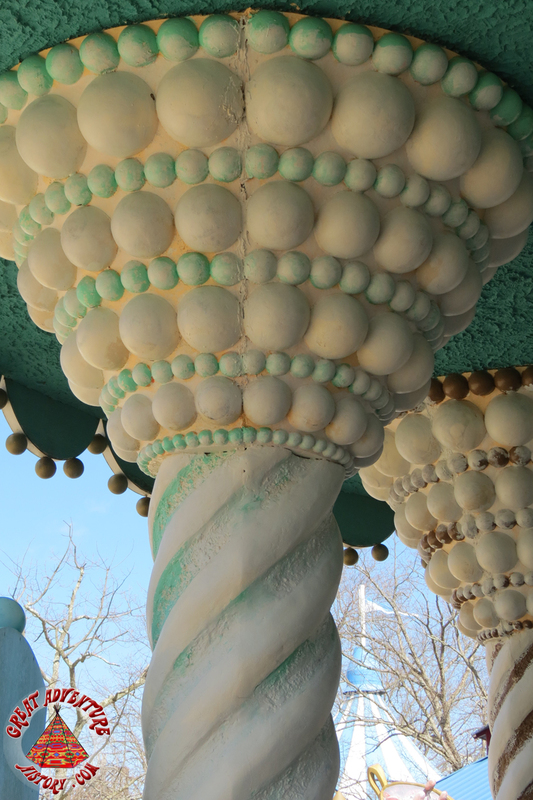 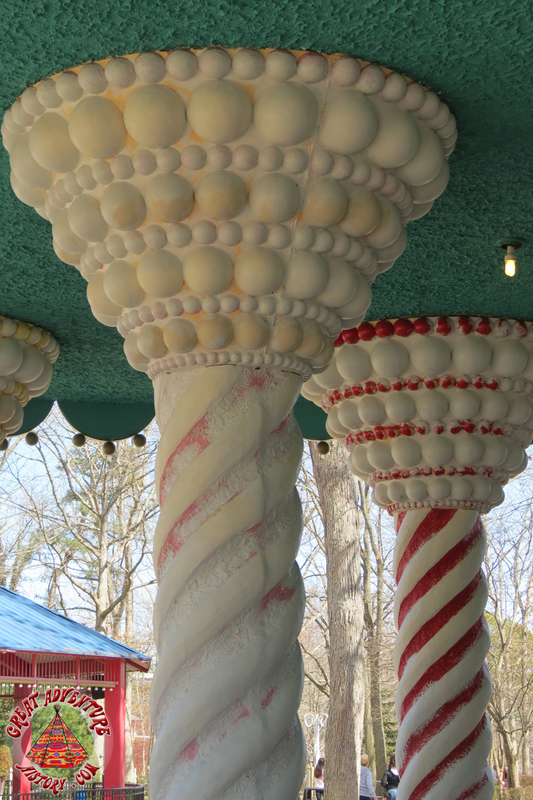 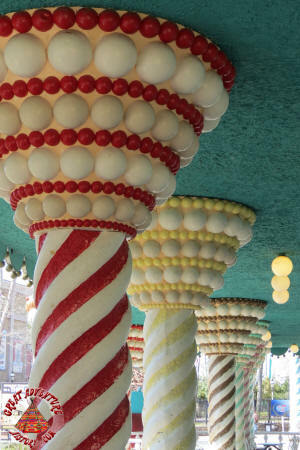 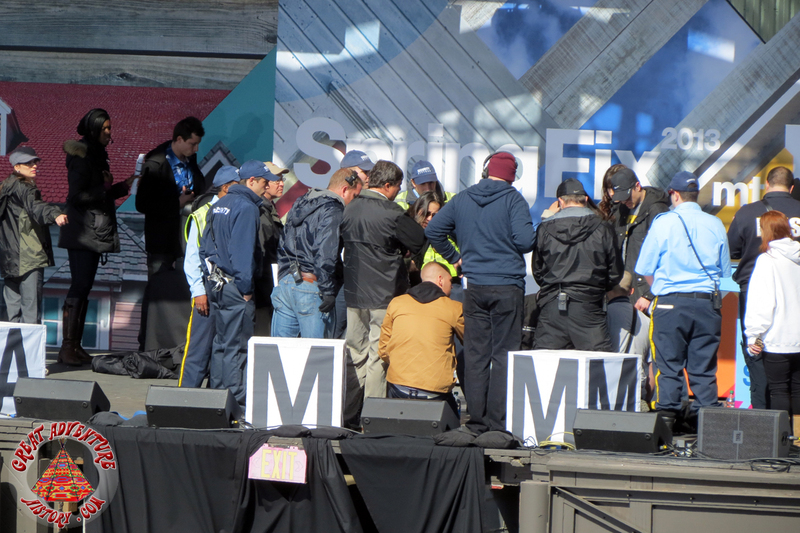 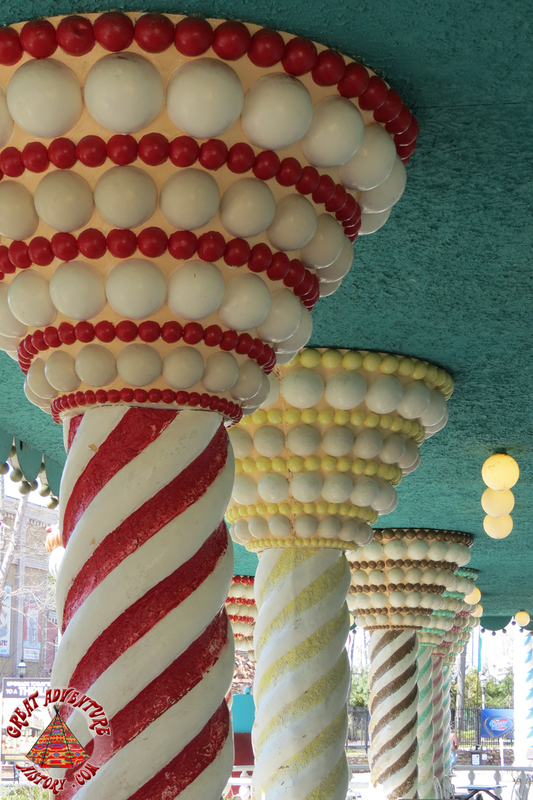 Several columns have already been stripped down of the older layers of paint. 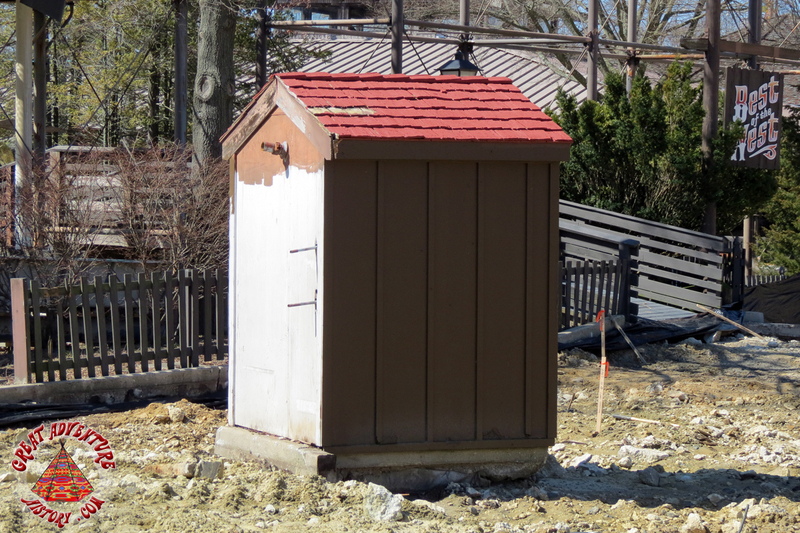 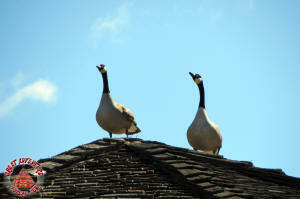 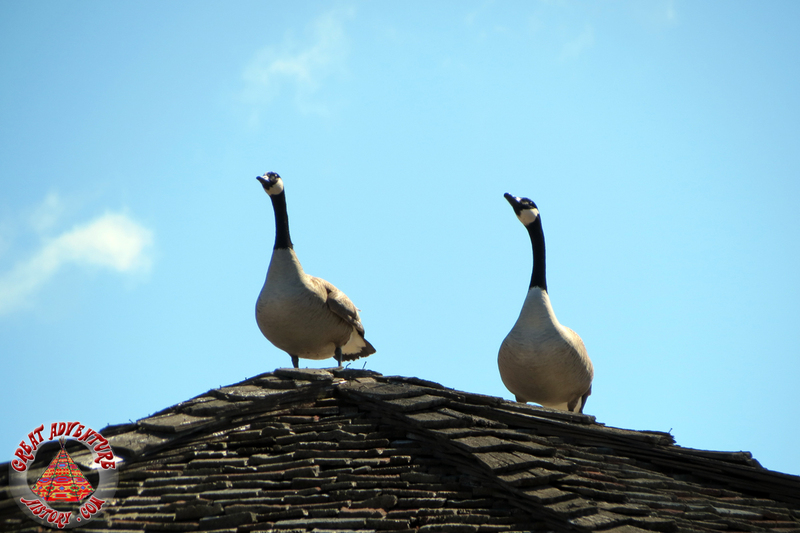 In addition, it appears that new air conditioning units have been installed on the roof. 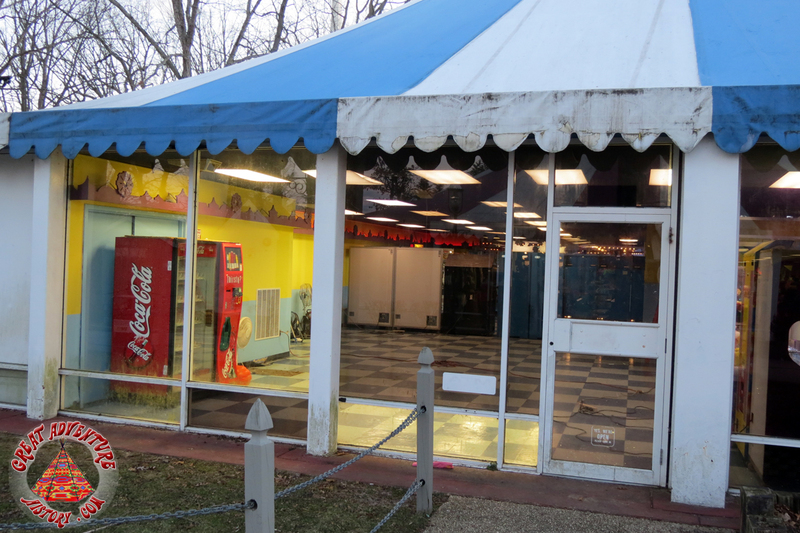 Oddly, they no longer sell ice cream. 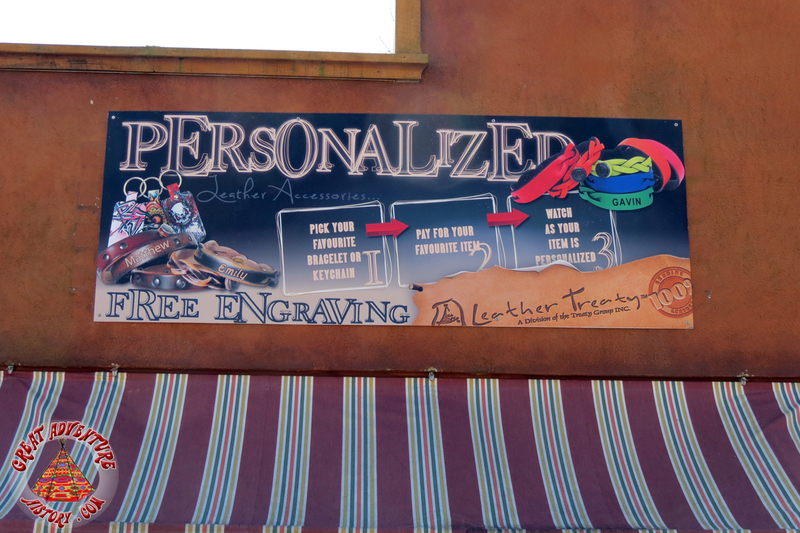 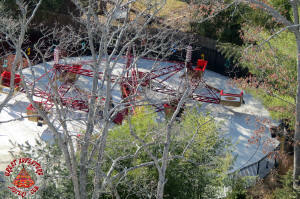 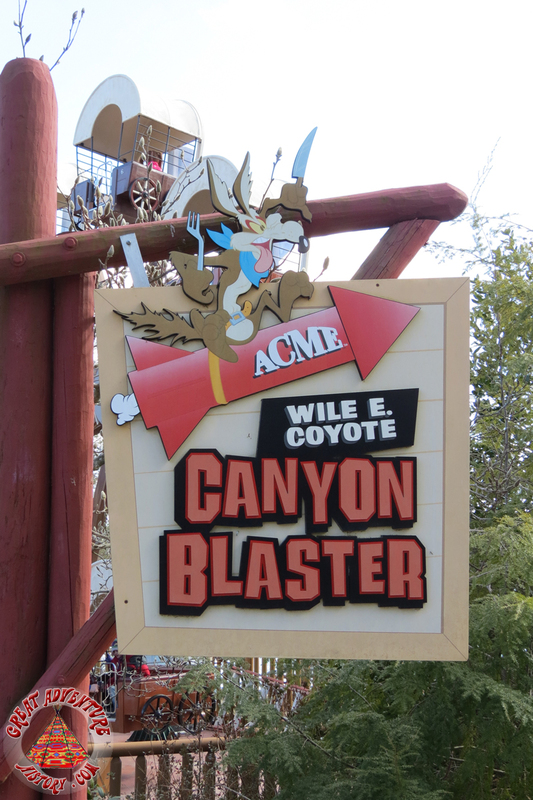 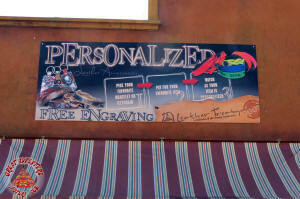 Canyon Blasters are still being refurbished. 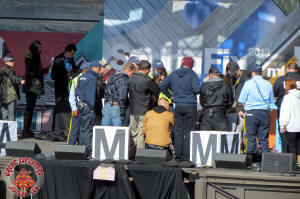 There's a new show at the aqua stadium. Sadly, we didn't hit the timing right to see it. 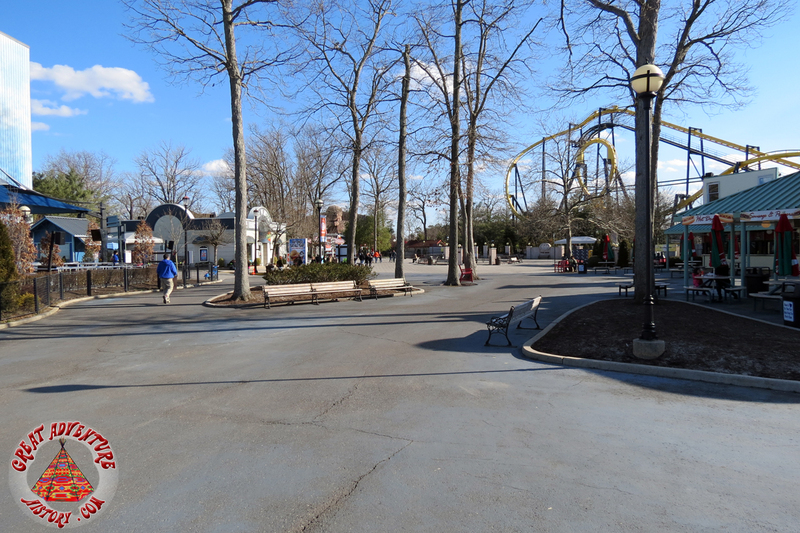 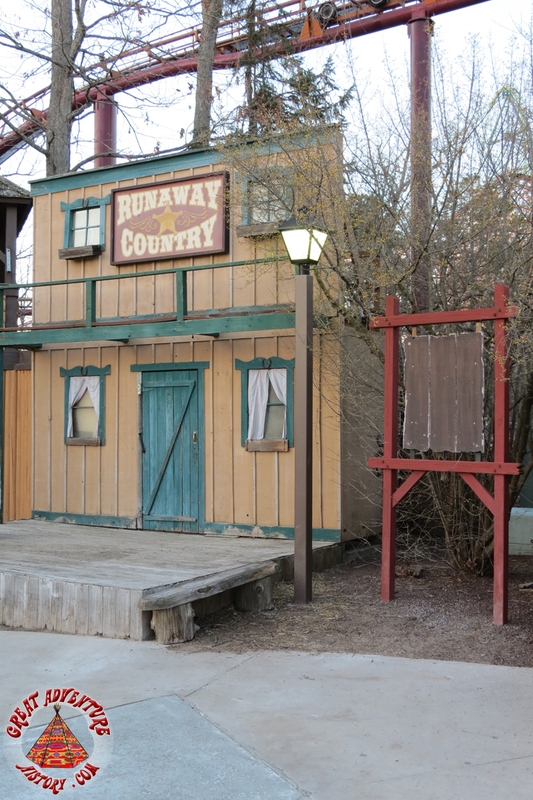 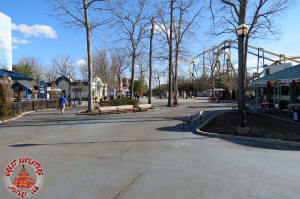 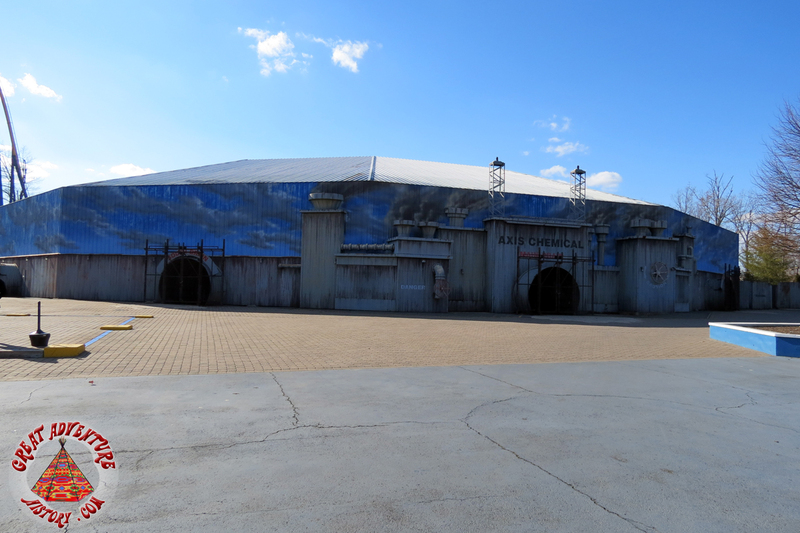 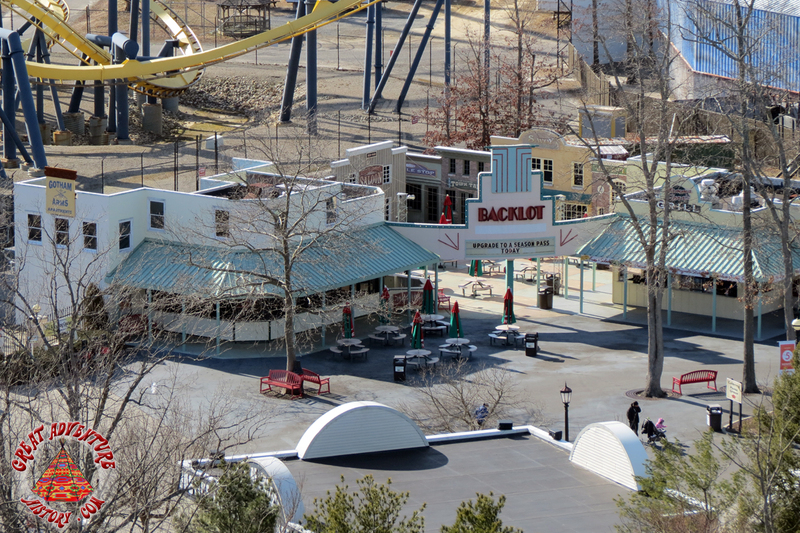 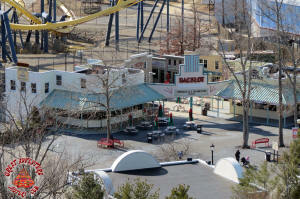 Movie Town is still a very quiet section of the park. 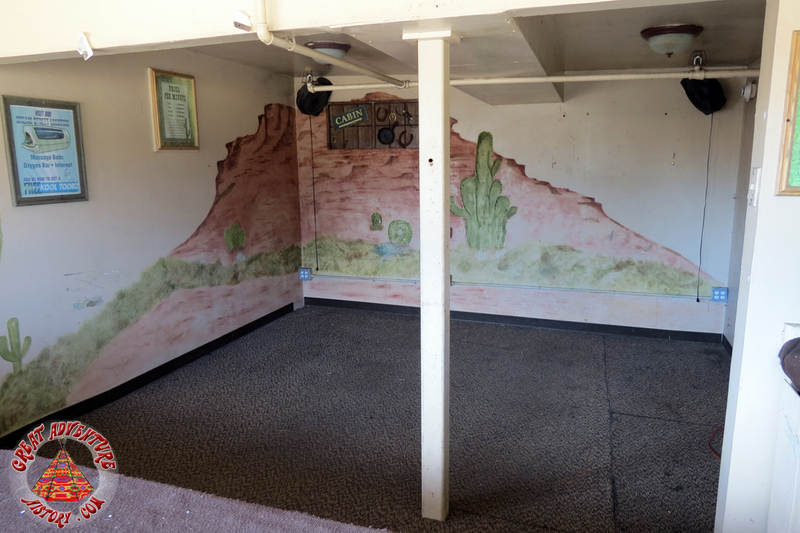 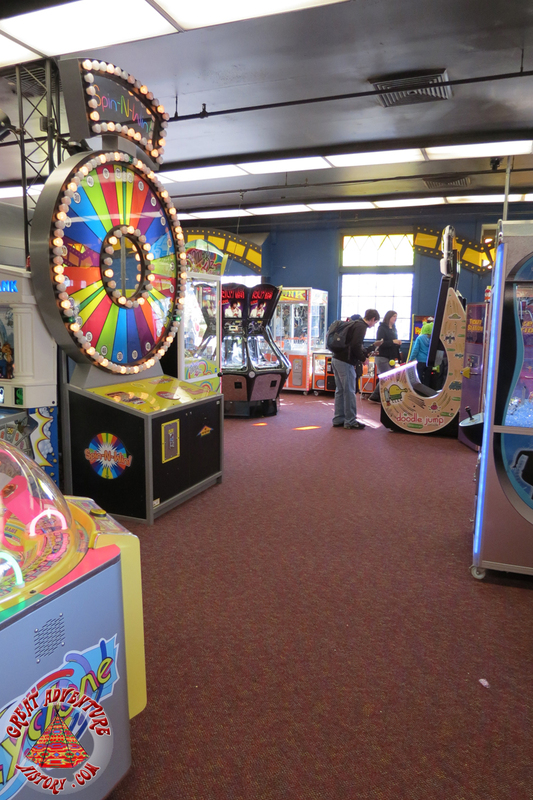 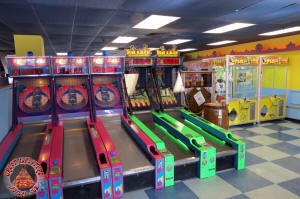 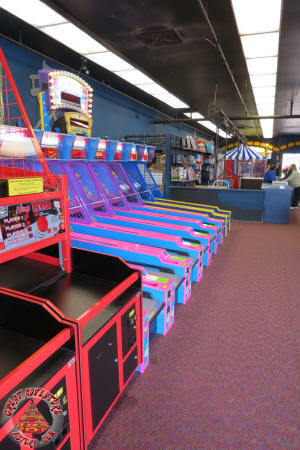 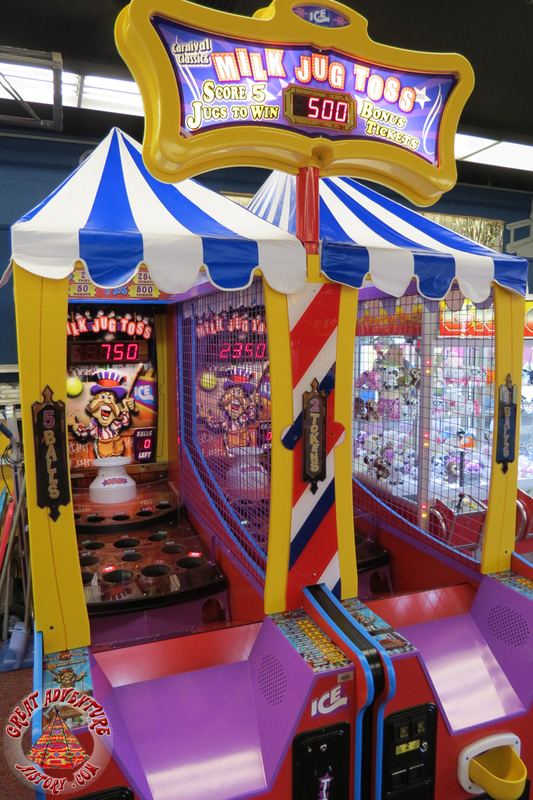 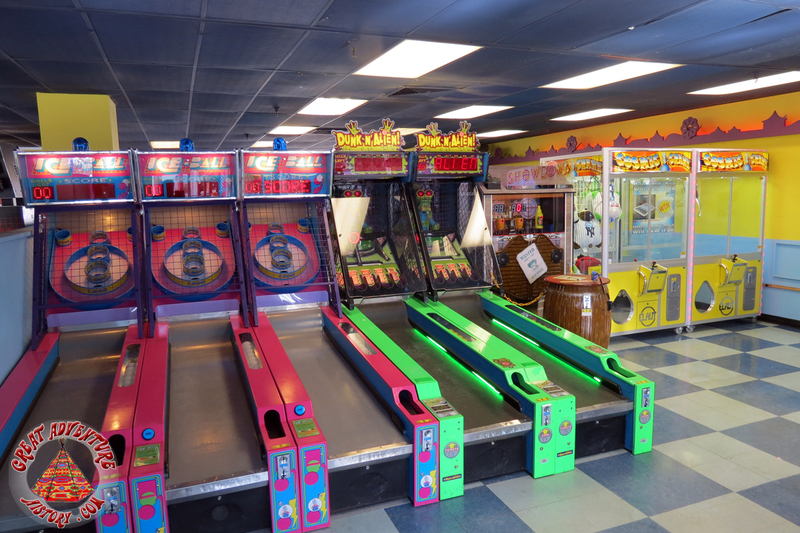 The Studio 28 Arcade has received new carpeting. New England Hot Dogs is now Load It Up nachos. 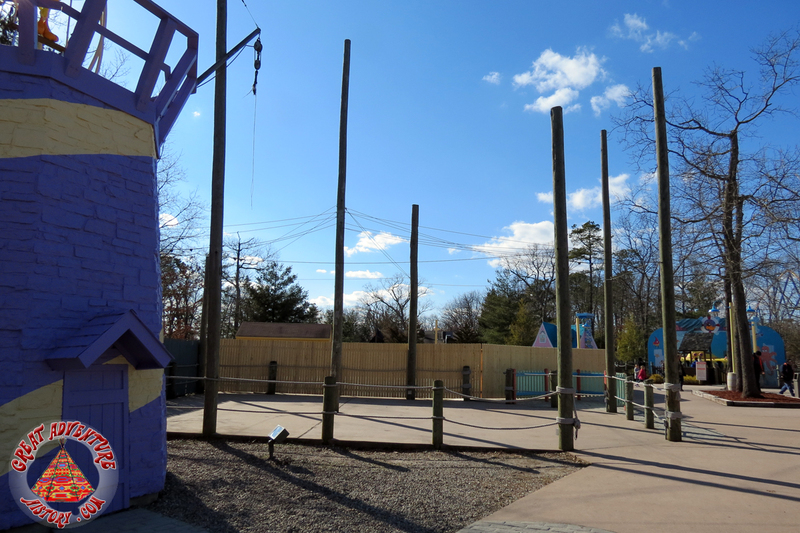 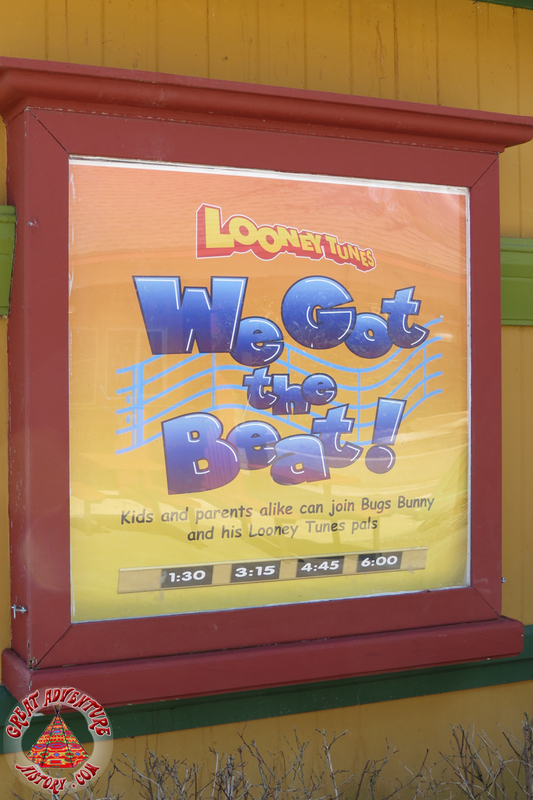 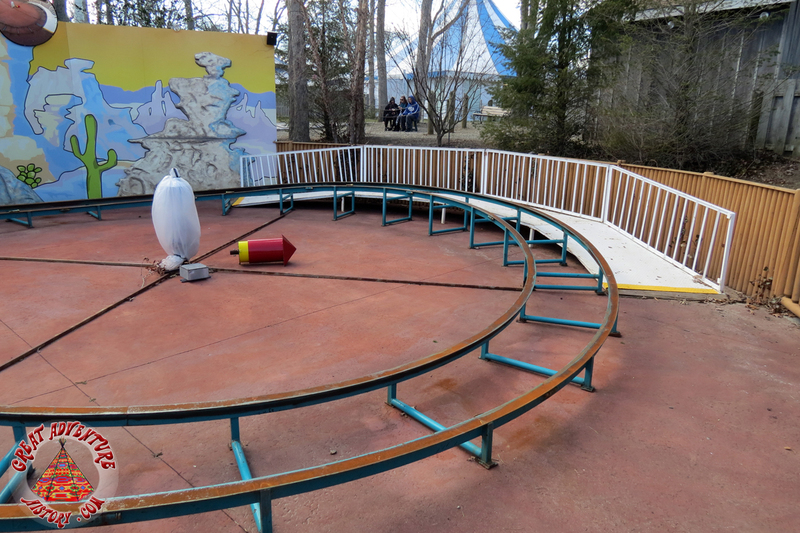 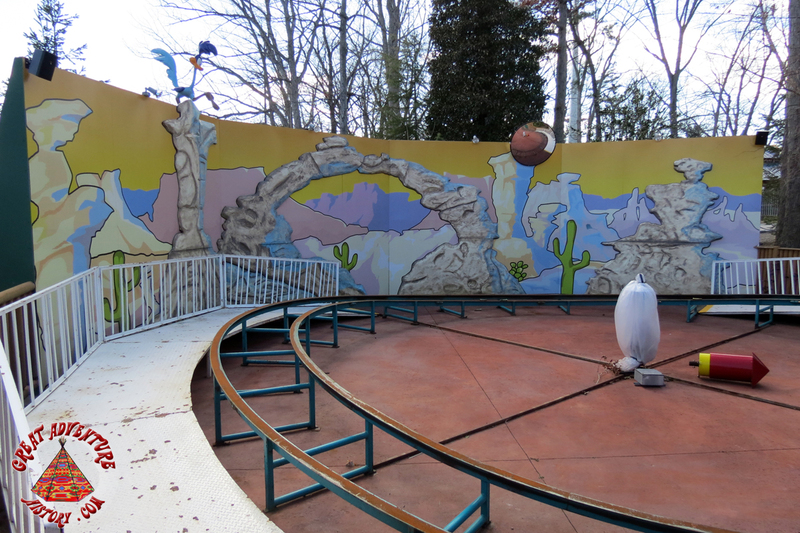 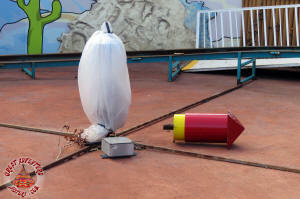 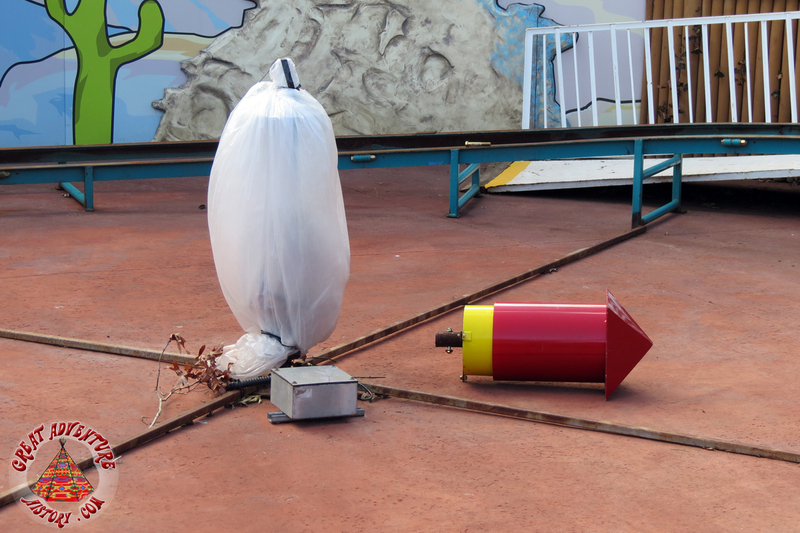 This season's big surprise - Bugs Bunny Fun Factory has been removed. As the sun sets, the SkyScreamer shines in the darkness. 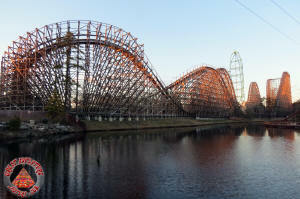 What a site!